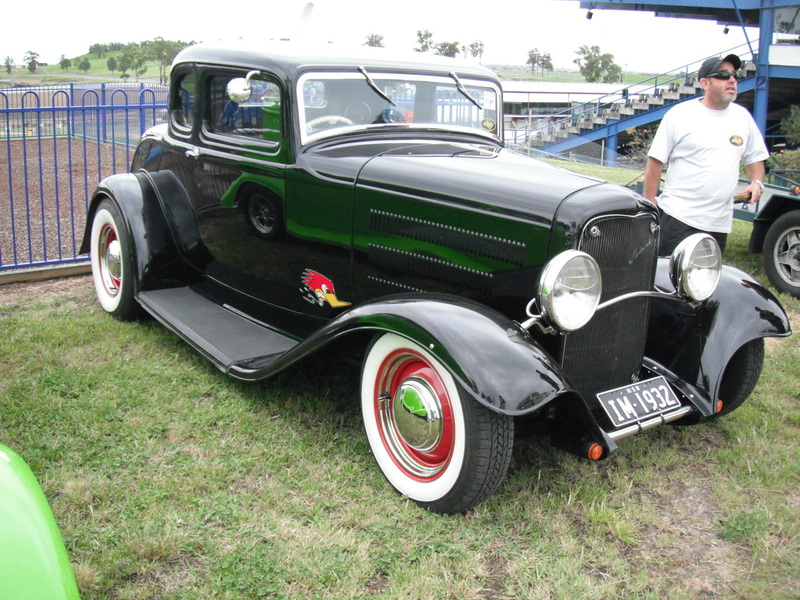 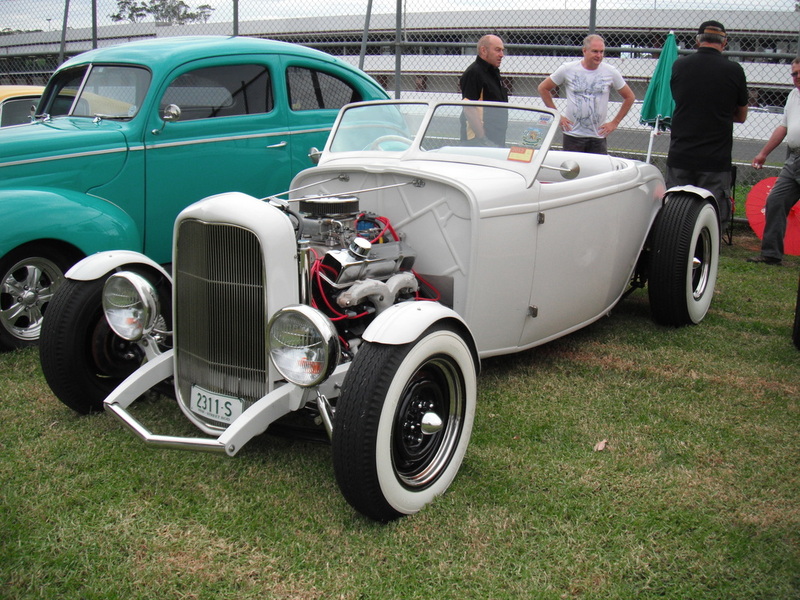 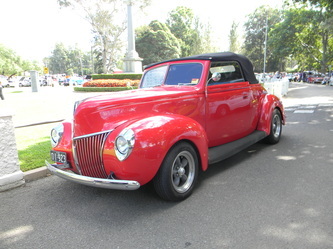 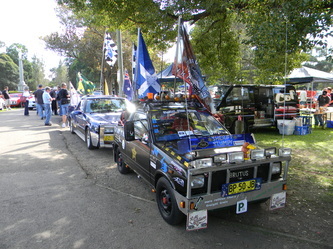 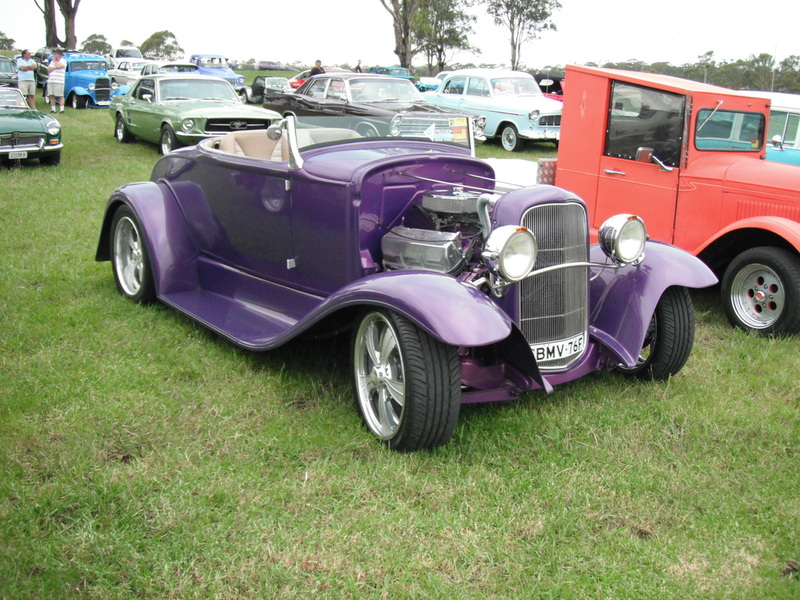 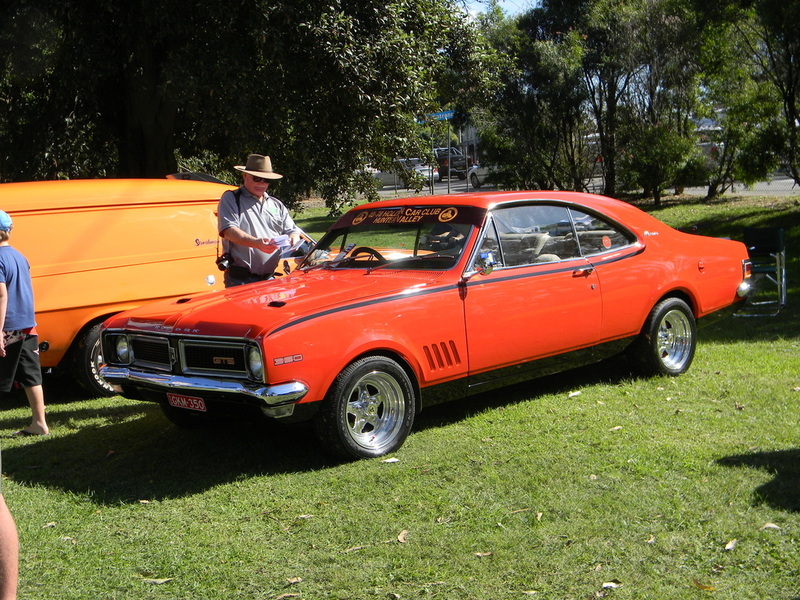 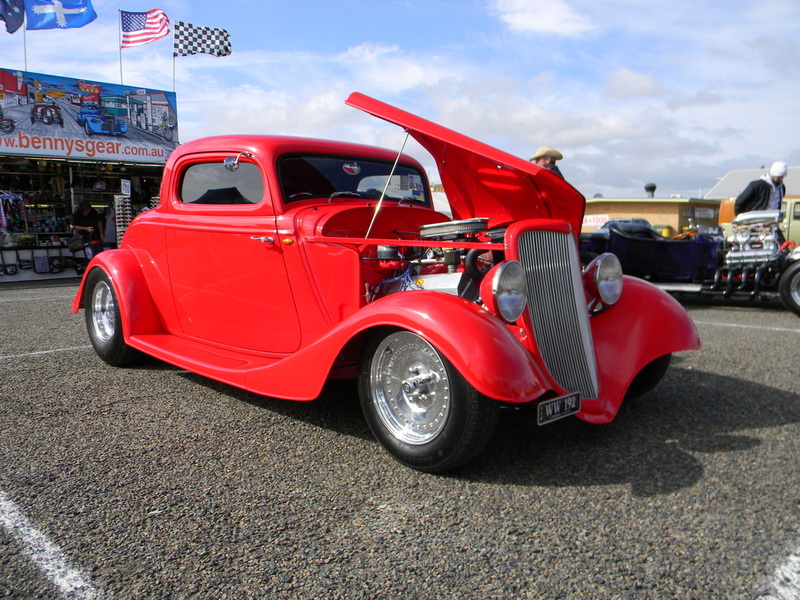 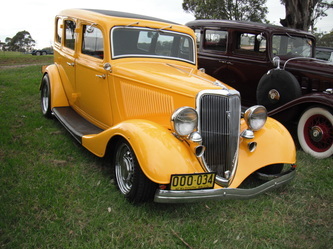 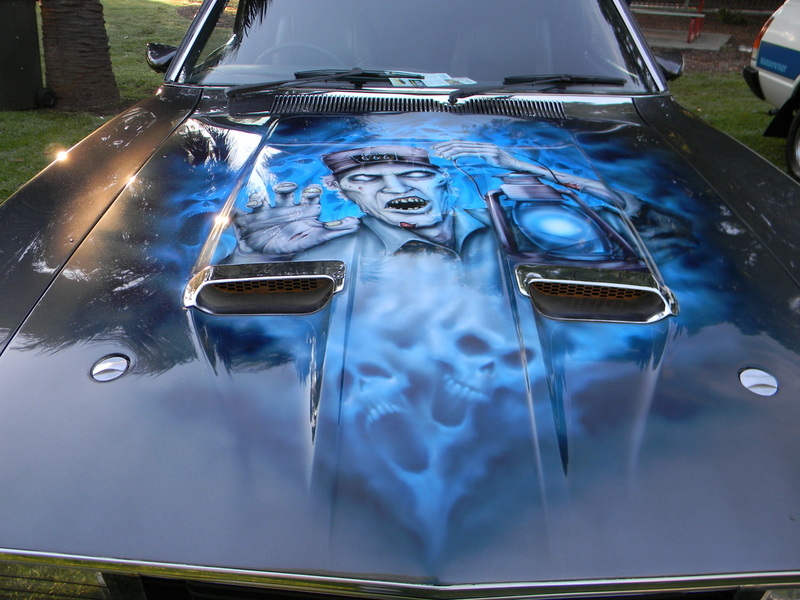 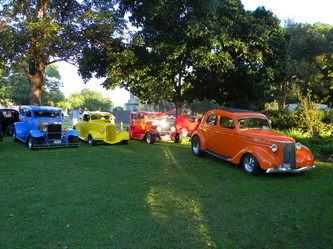 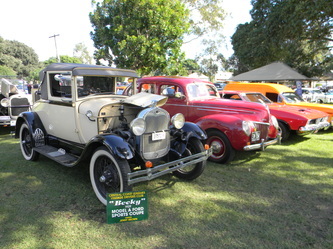 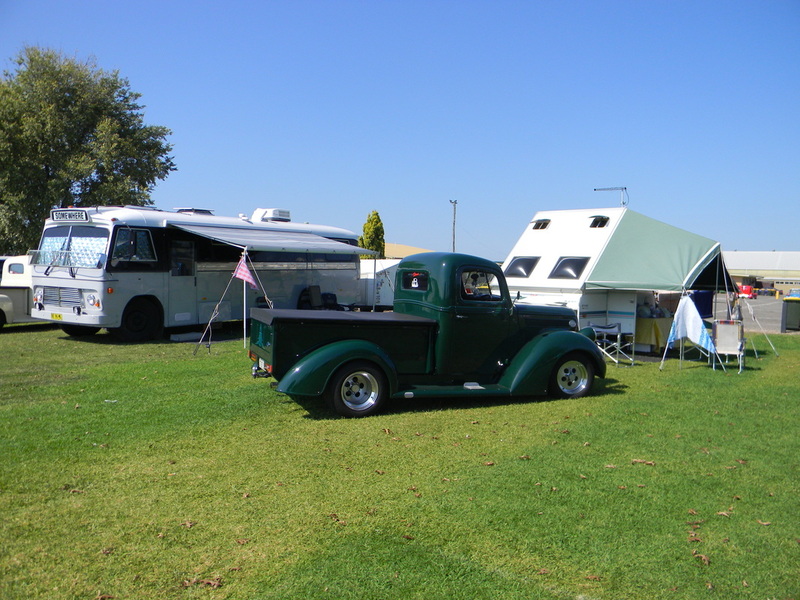 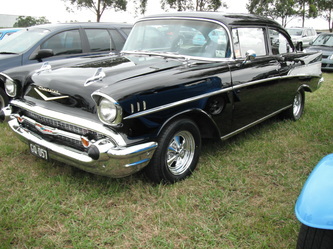 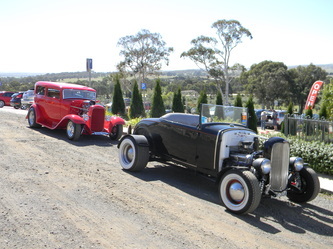 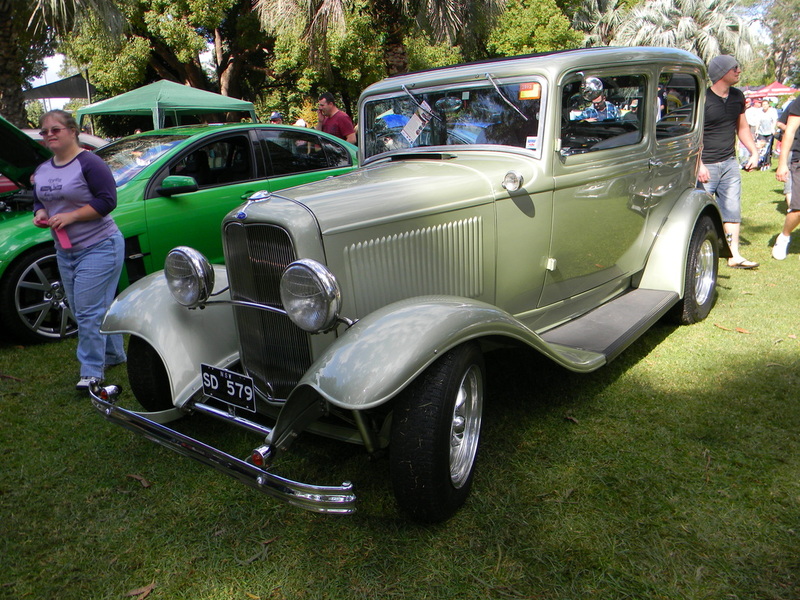 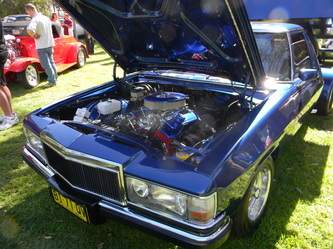 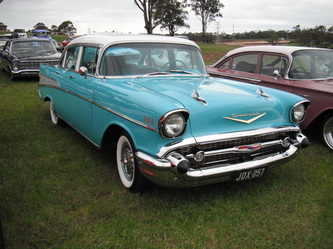 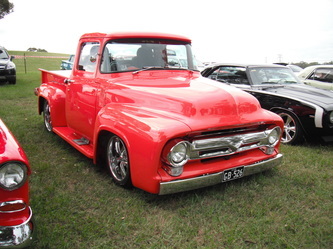 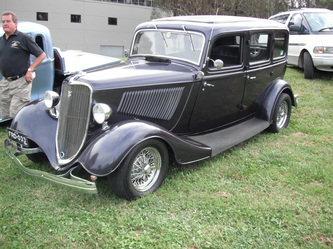 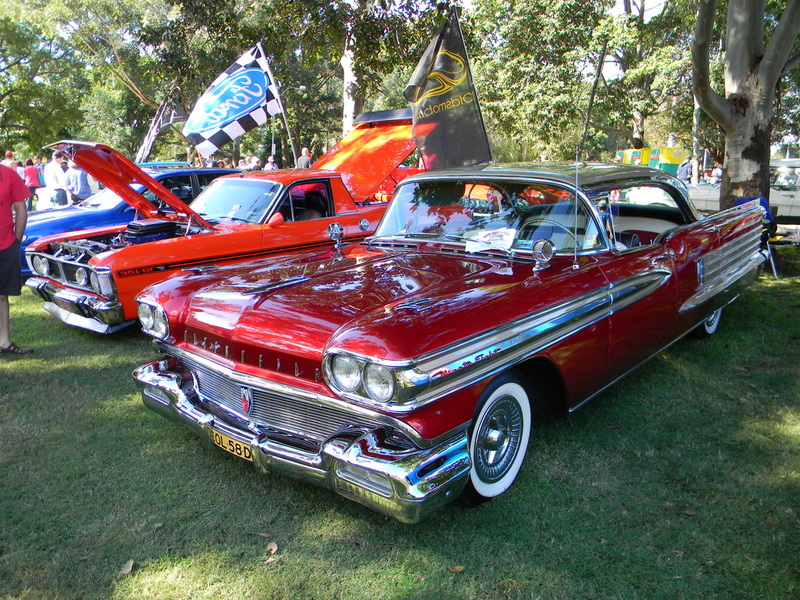 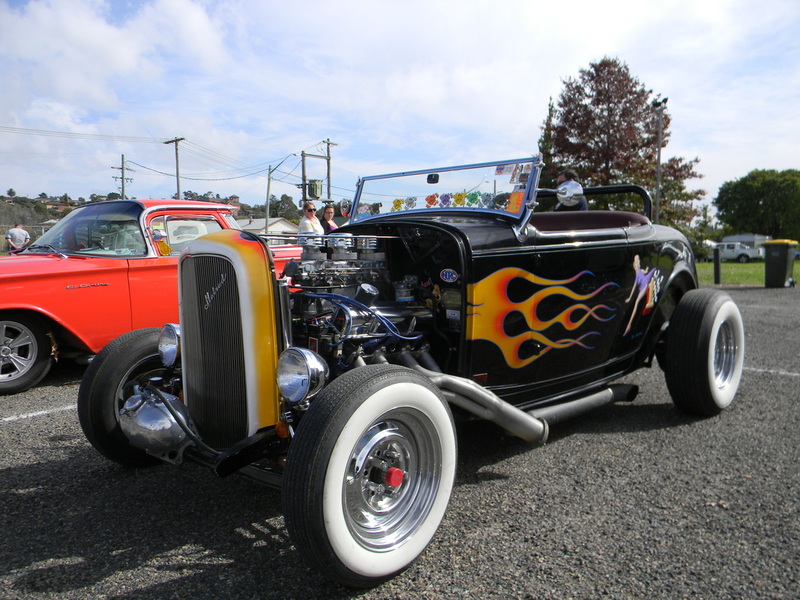 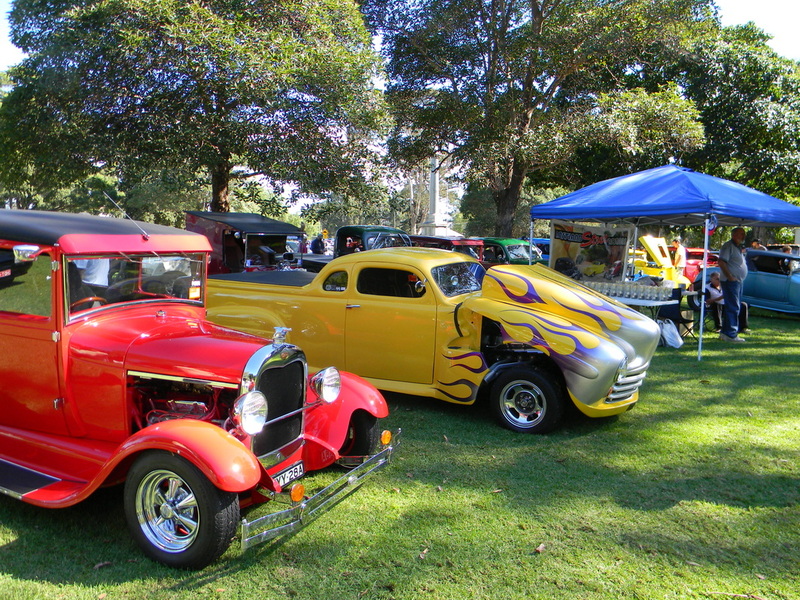 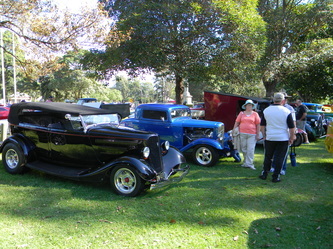 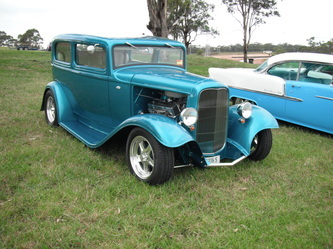 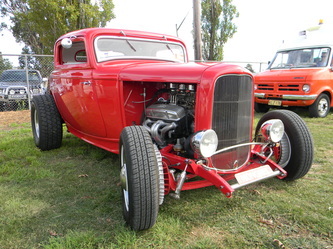 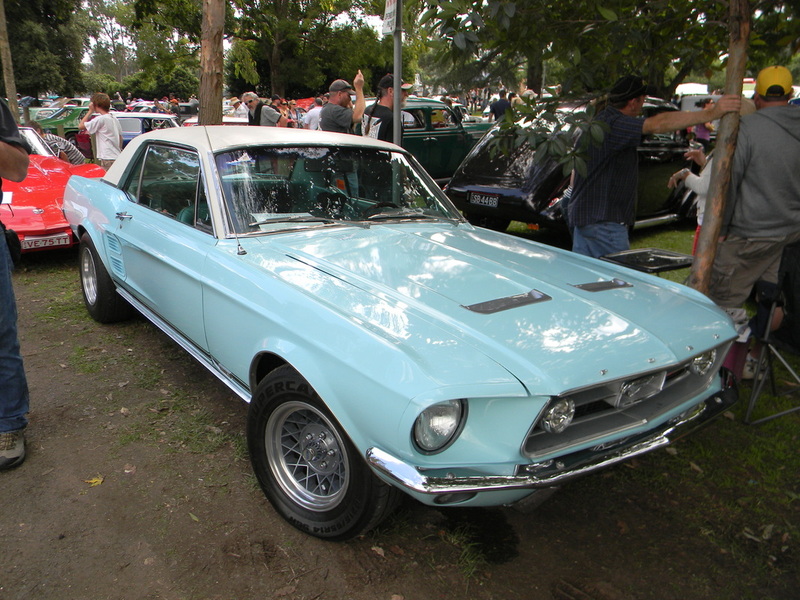 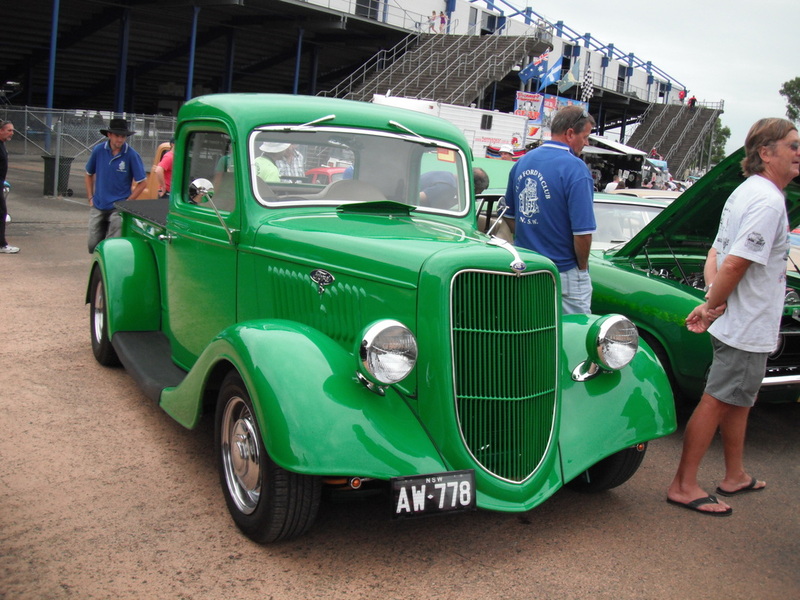 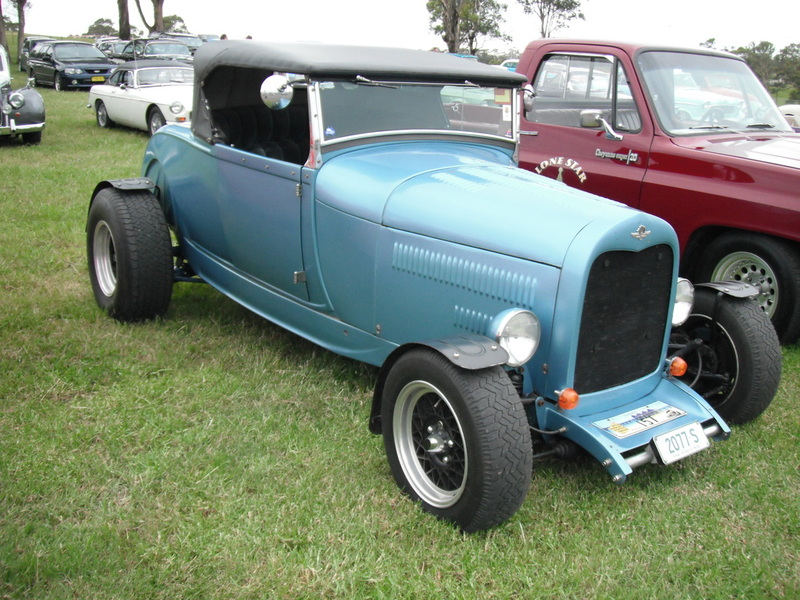 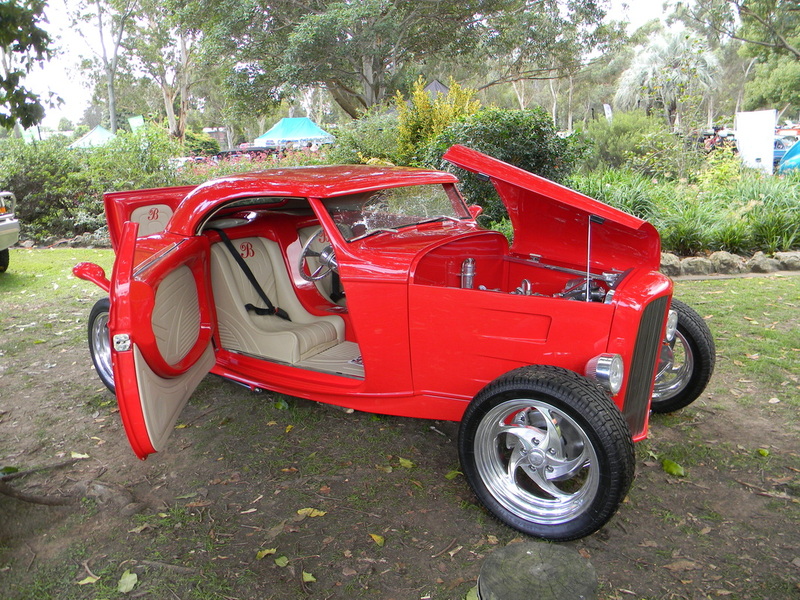 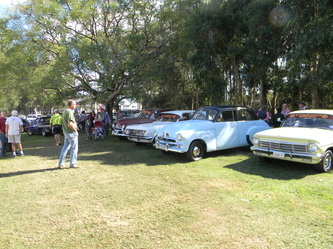 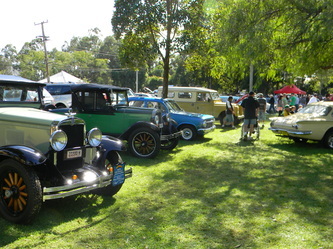 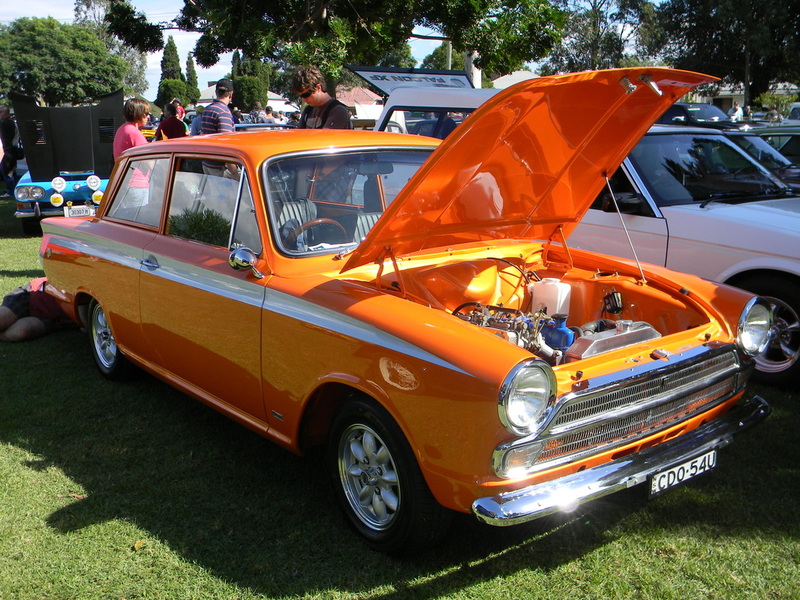 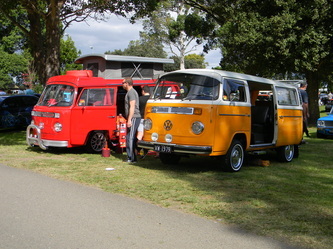 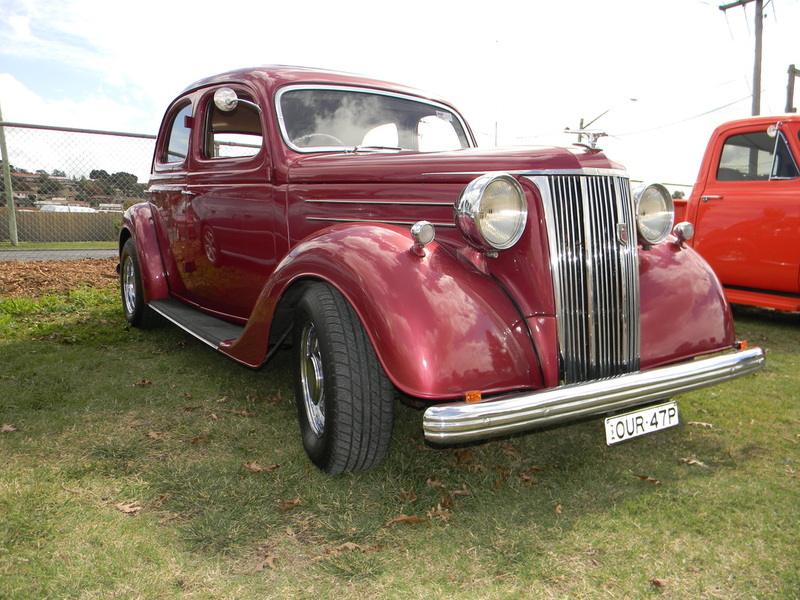 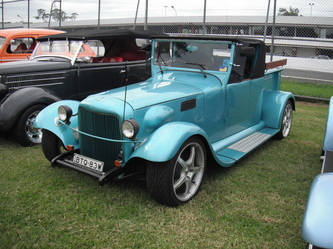 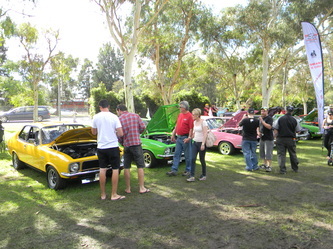 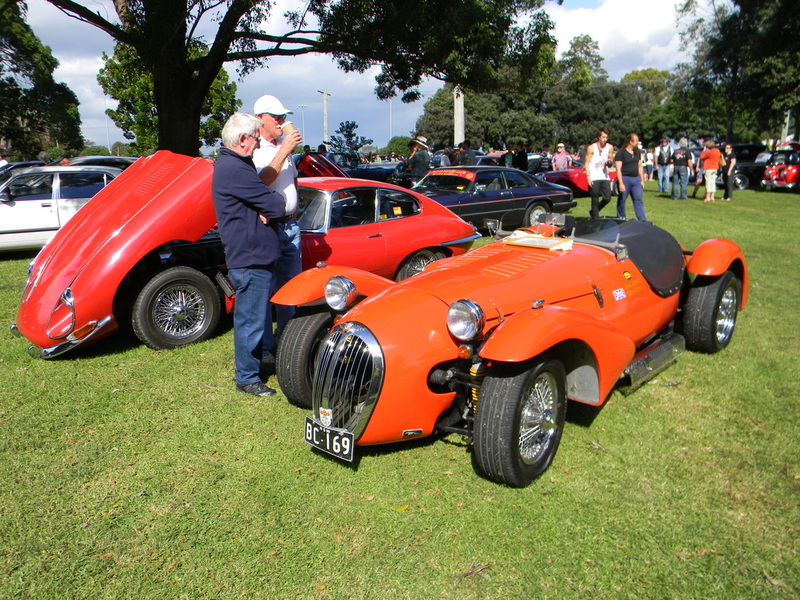 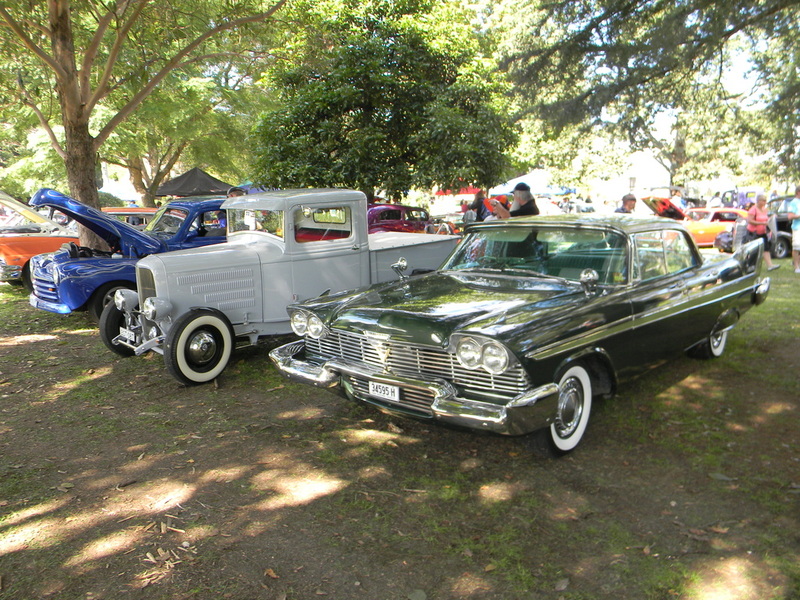 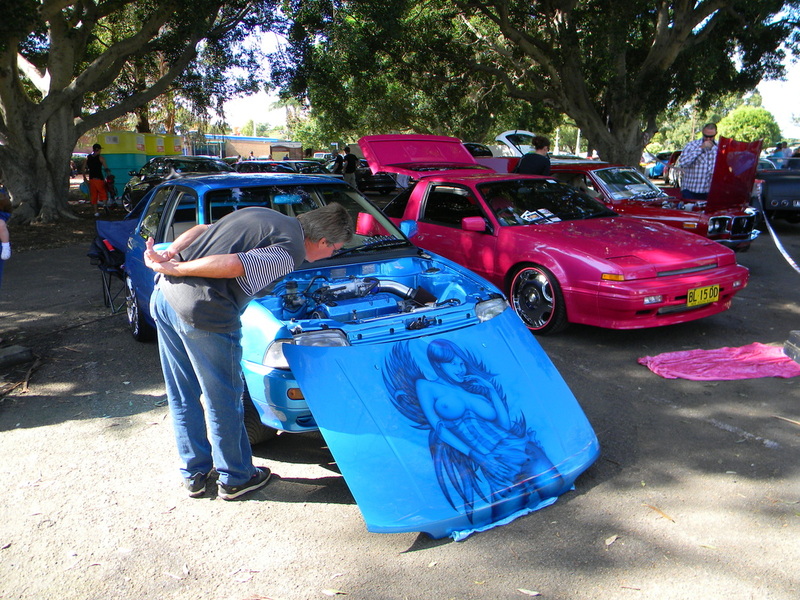 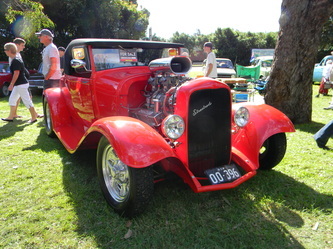 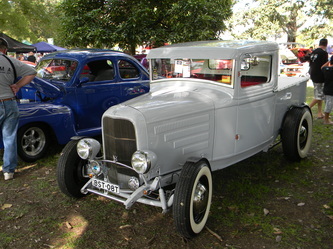 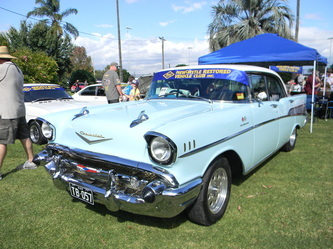 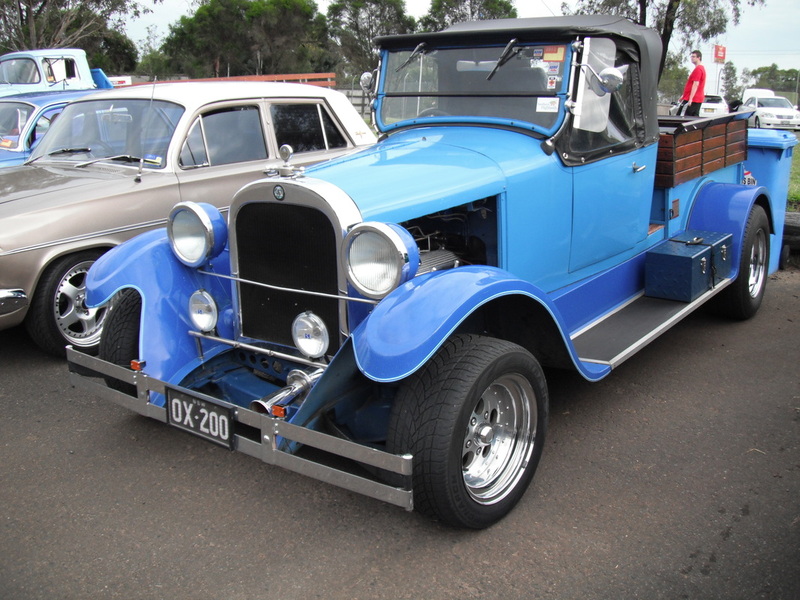 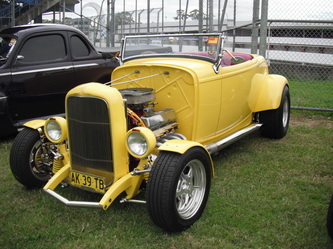 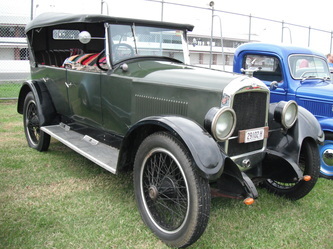 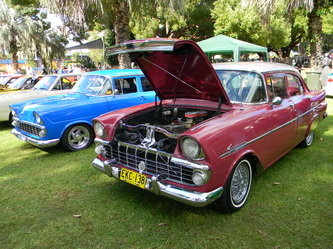 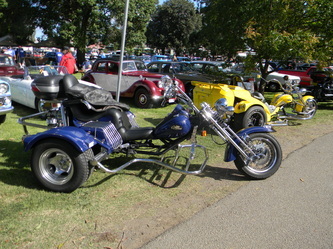 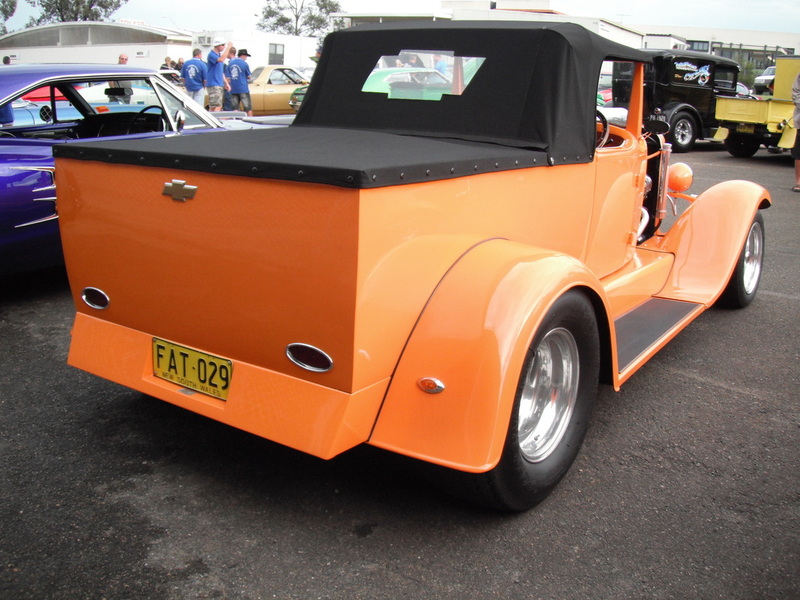 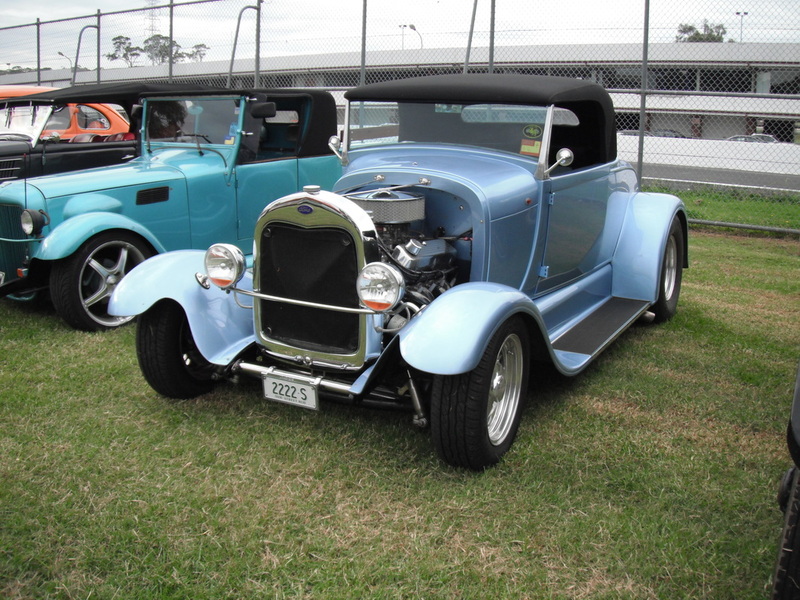 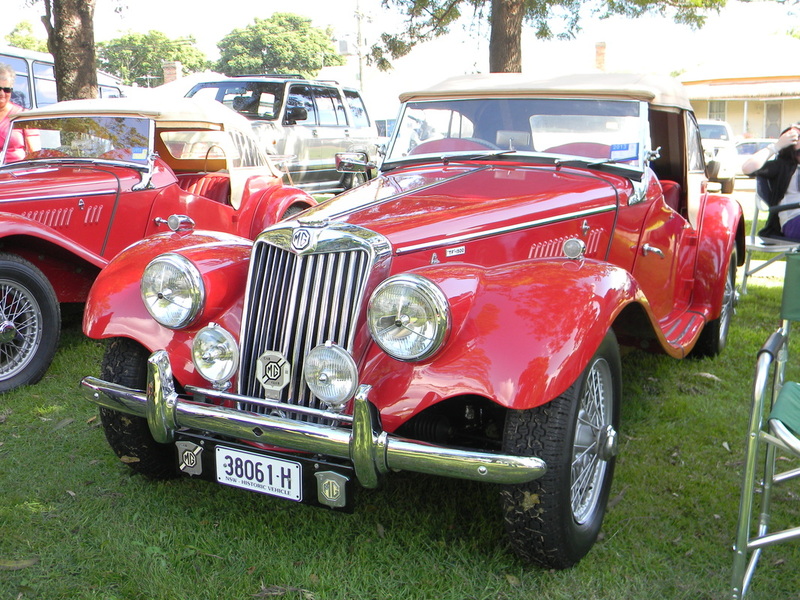 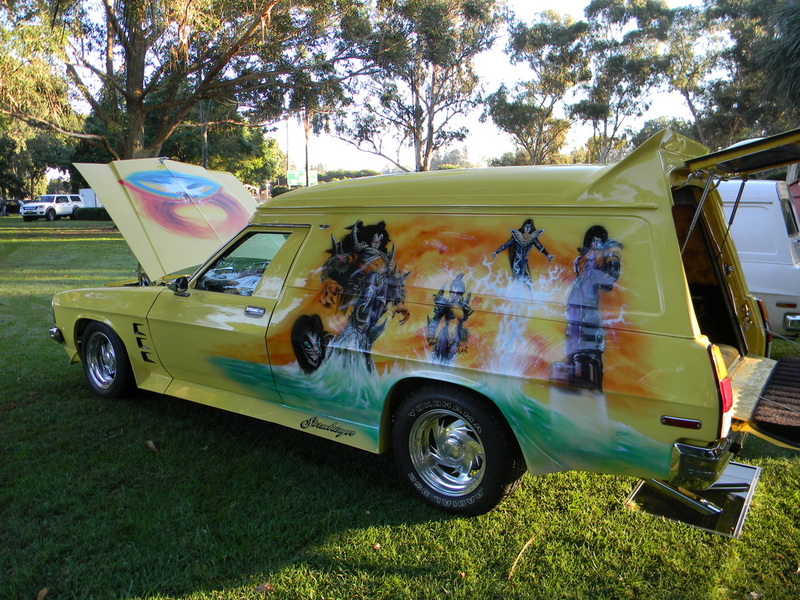 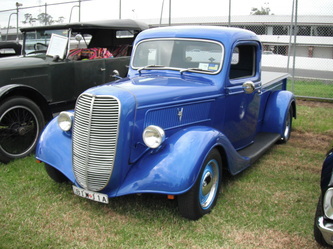 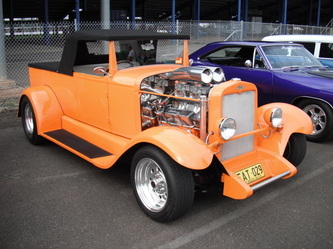 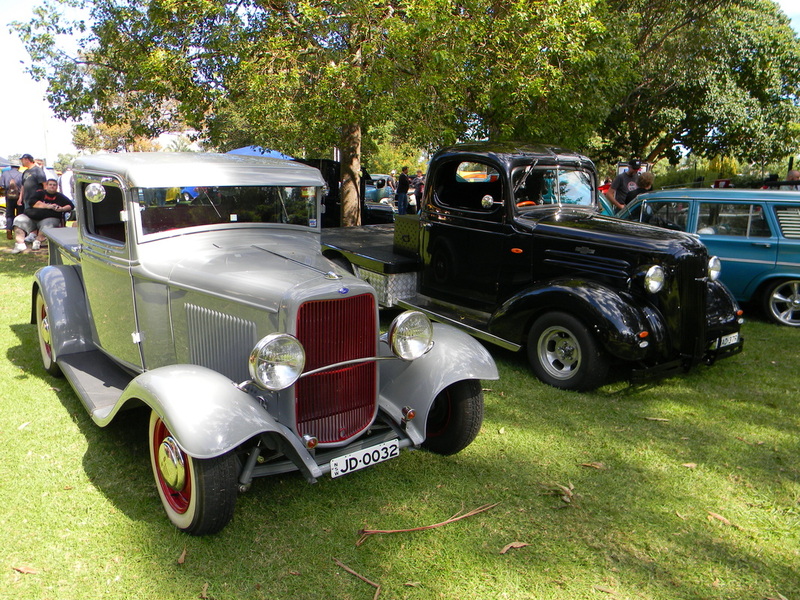 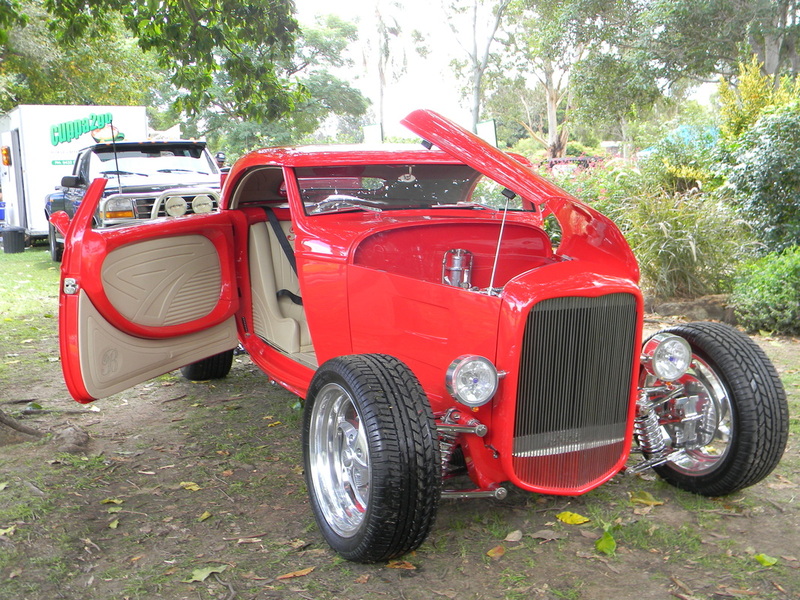 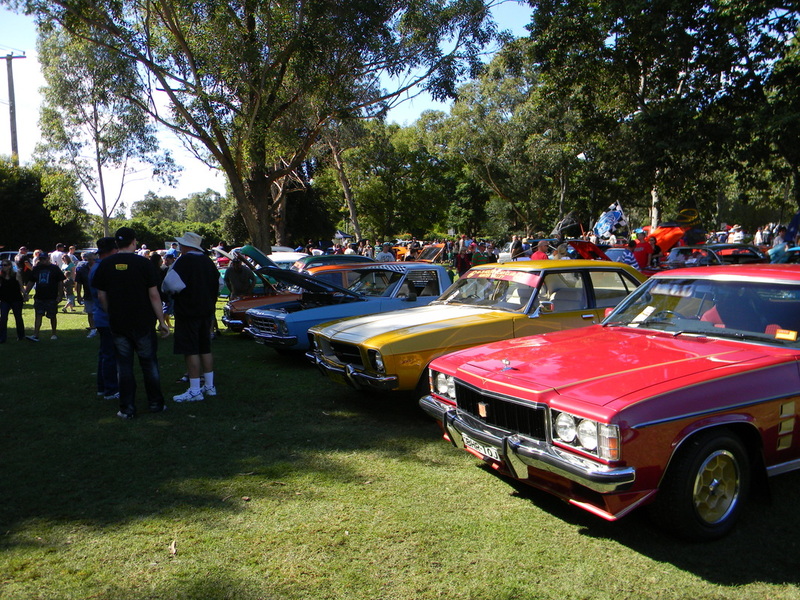 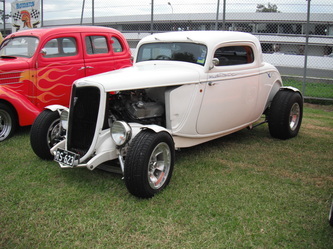 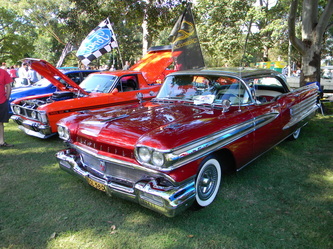 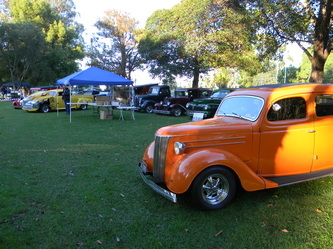 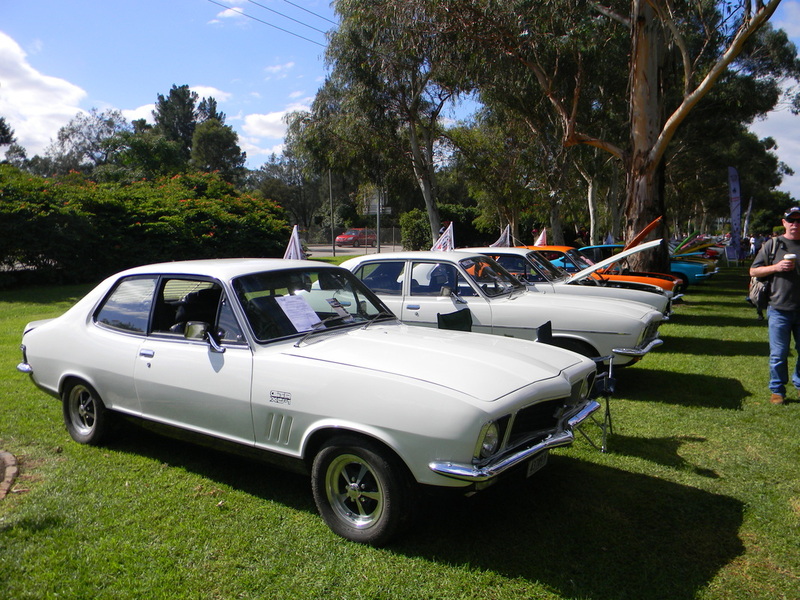 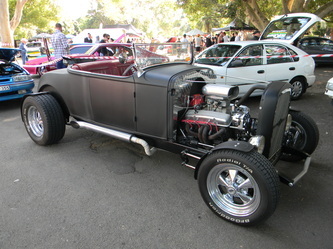 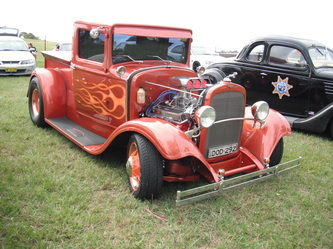 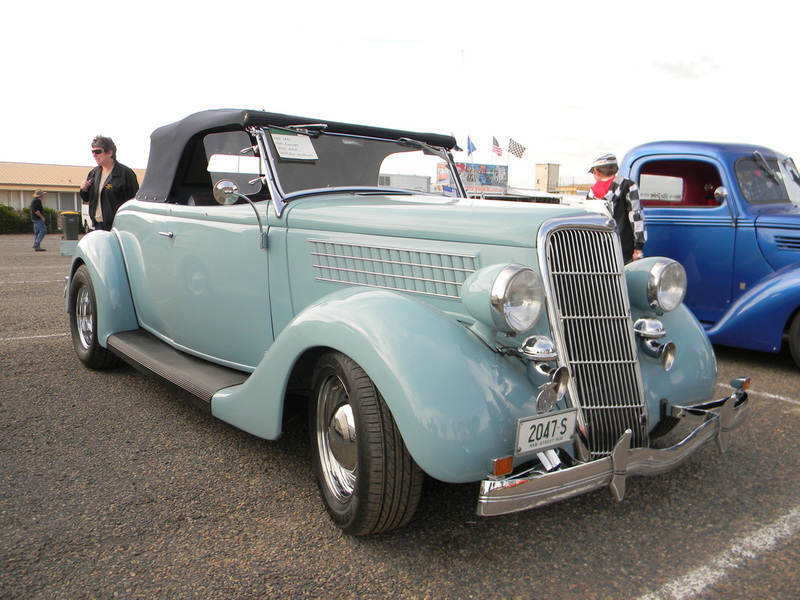 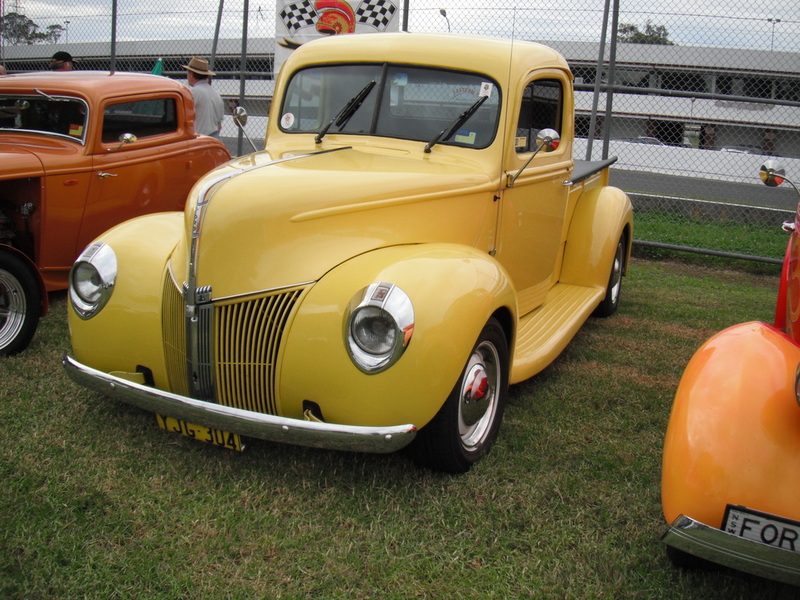 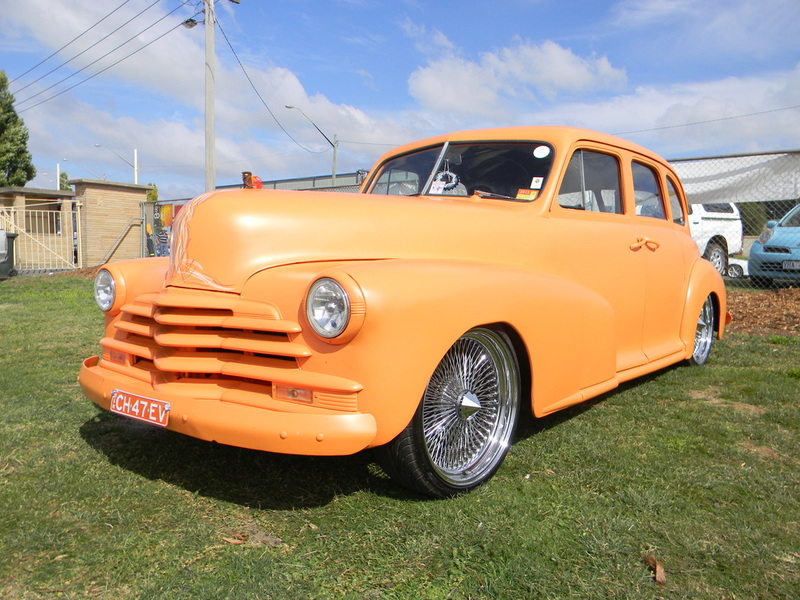 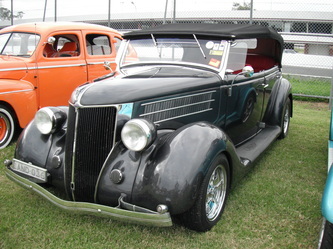 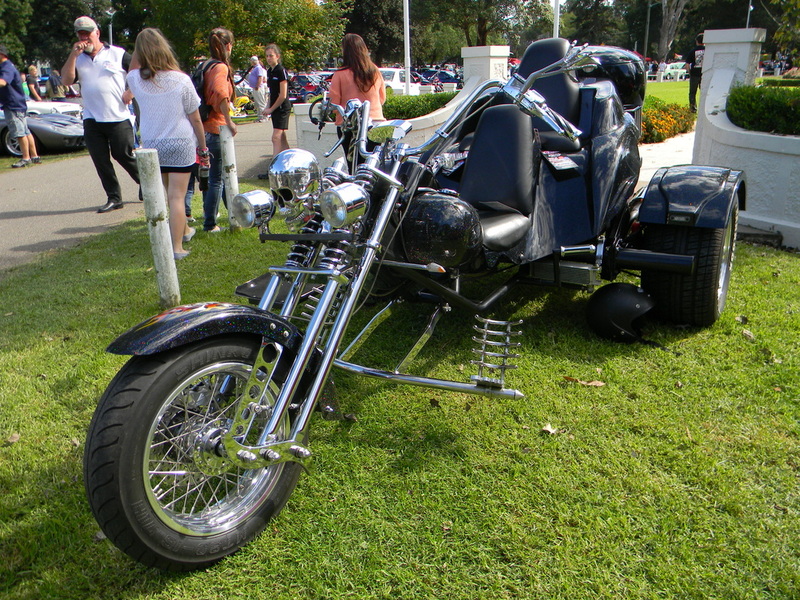 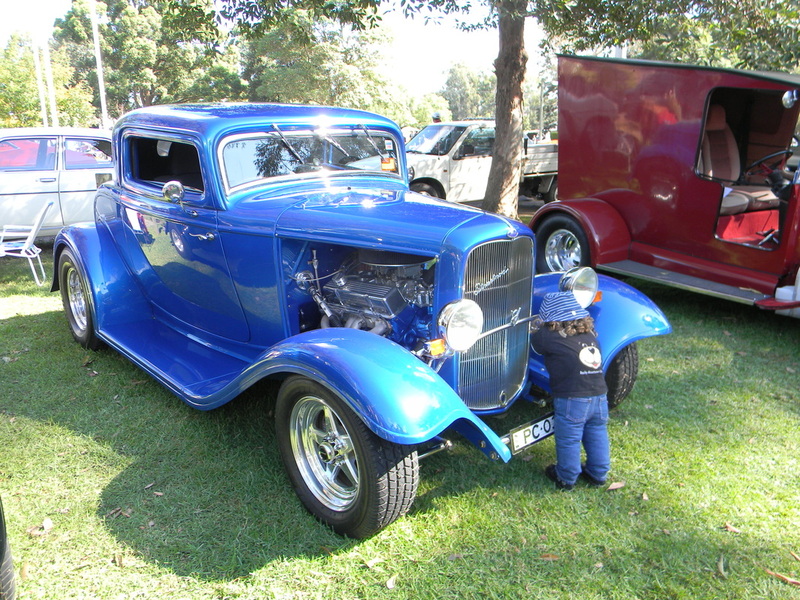 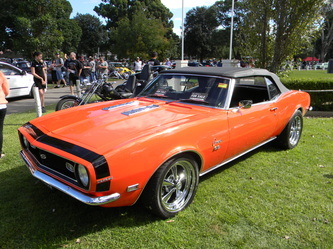 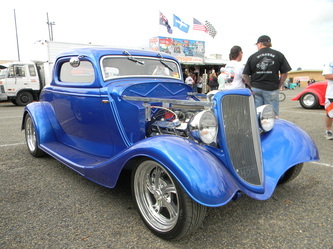 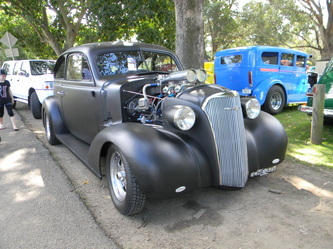 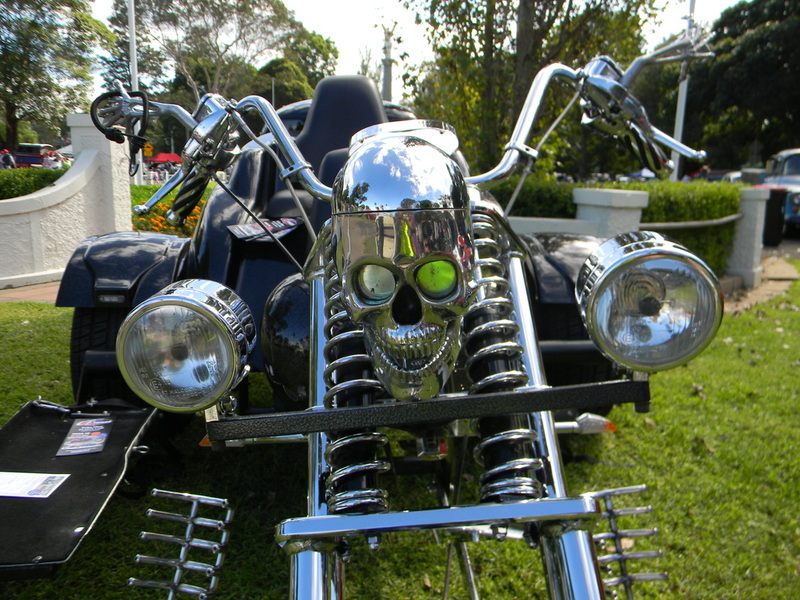 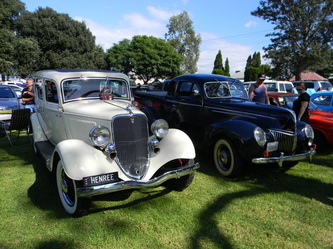 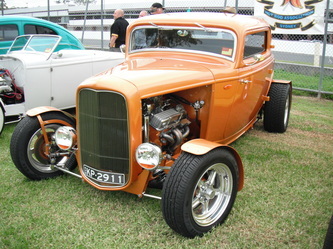 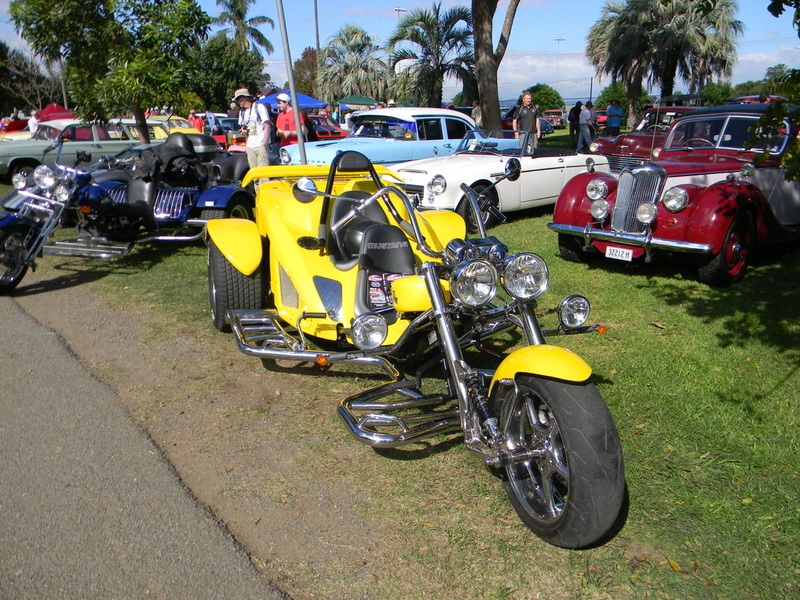 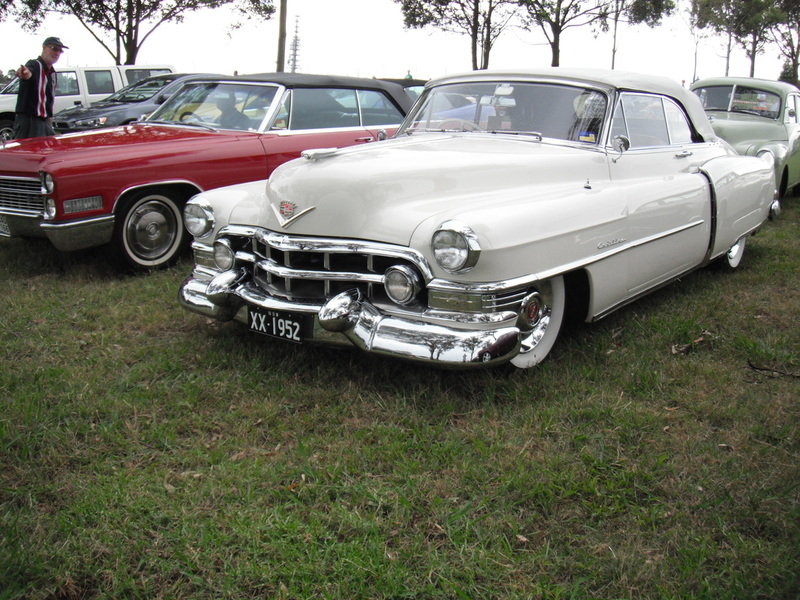 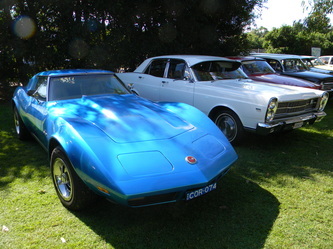 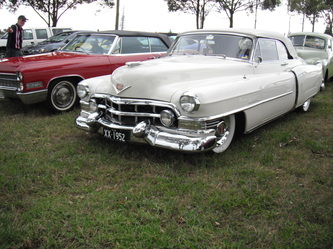 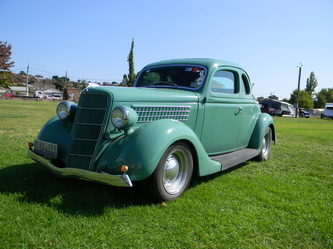 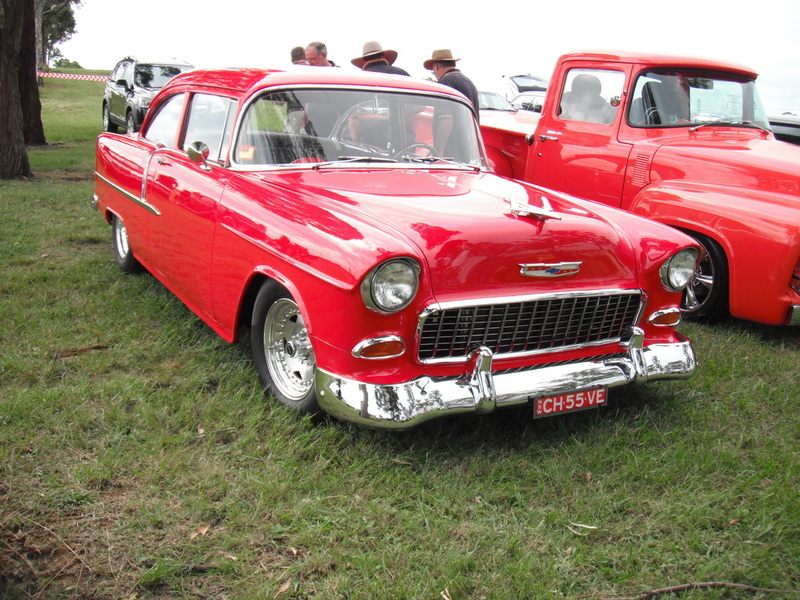 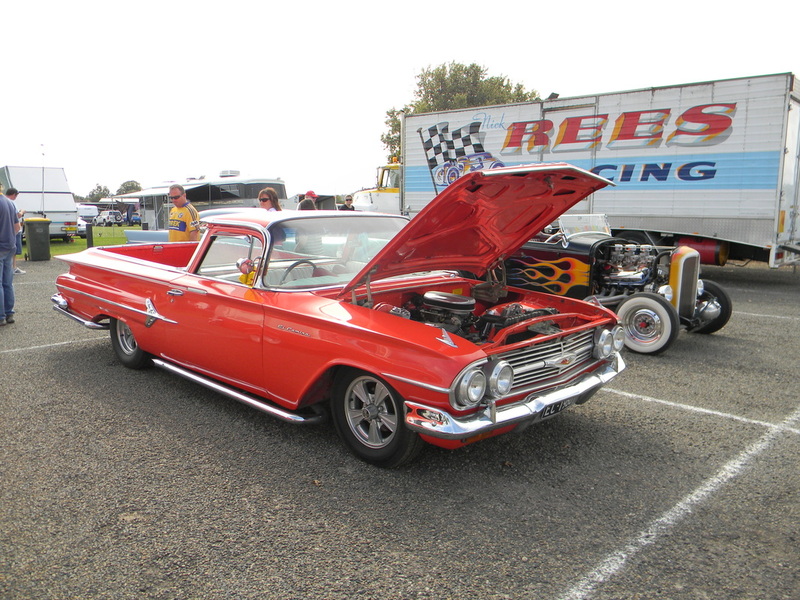 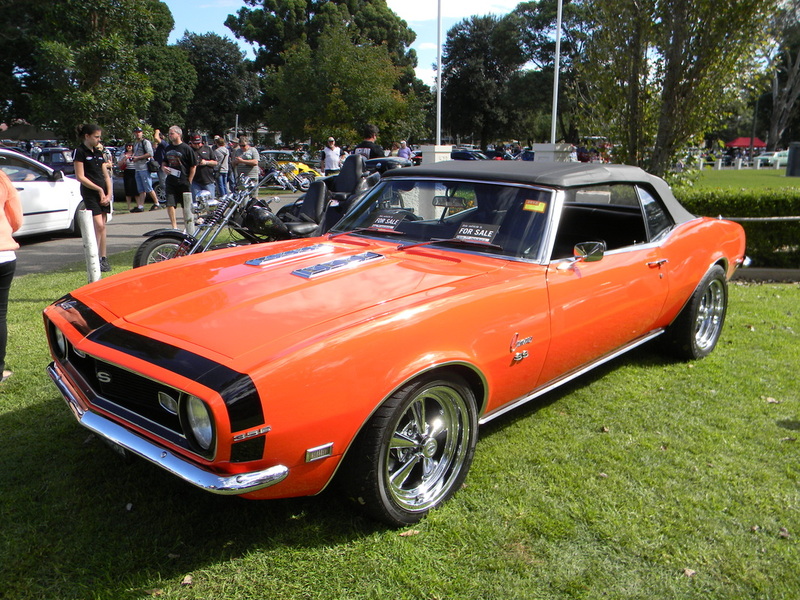 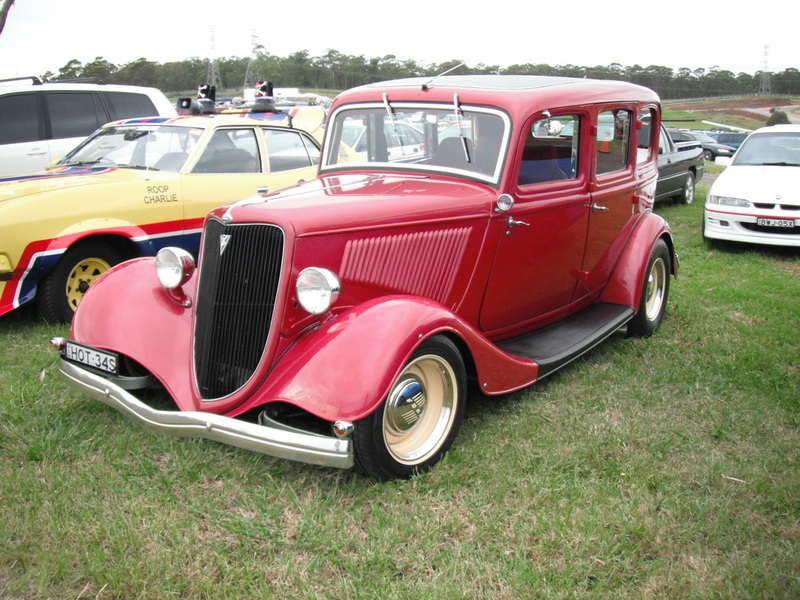 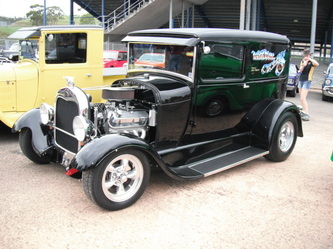 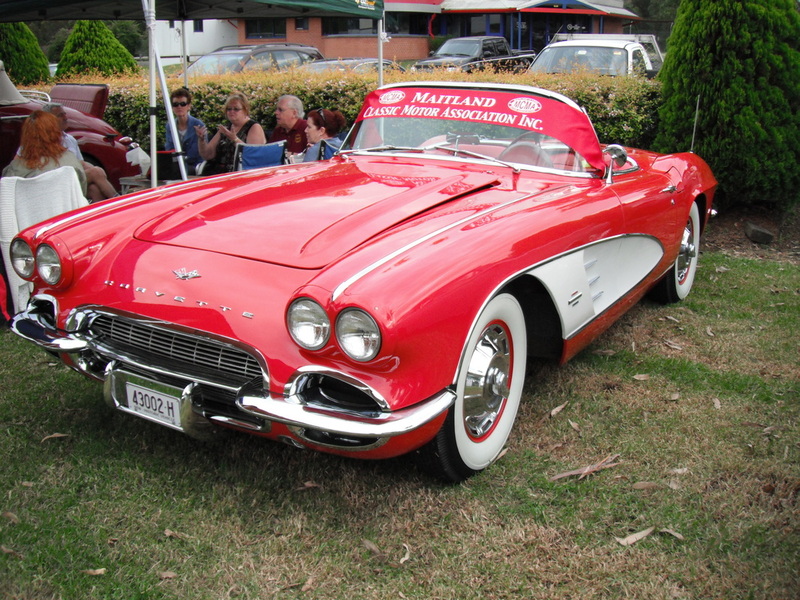 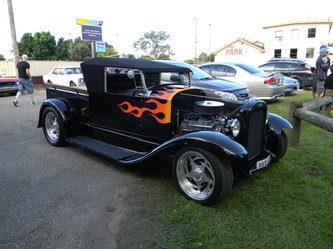 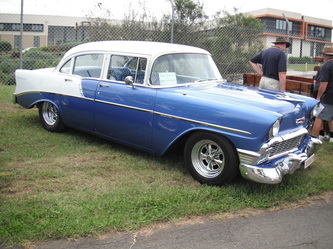 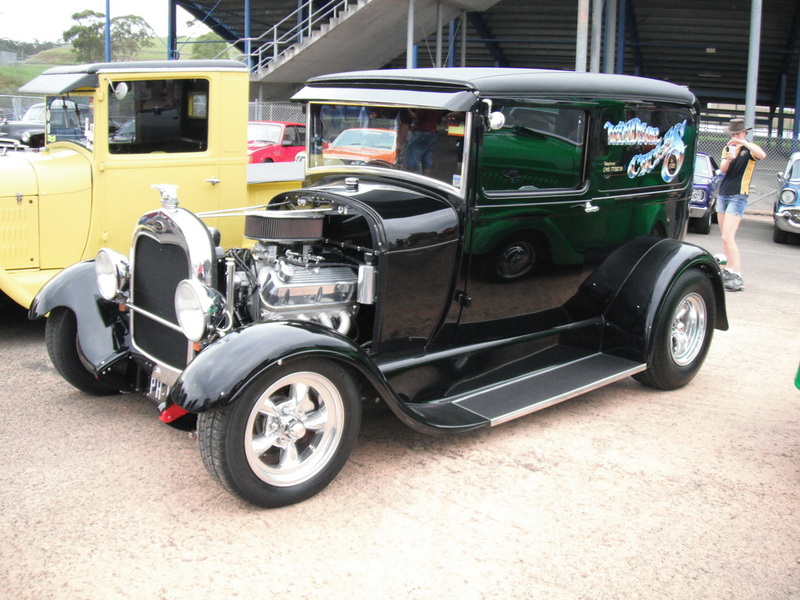 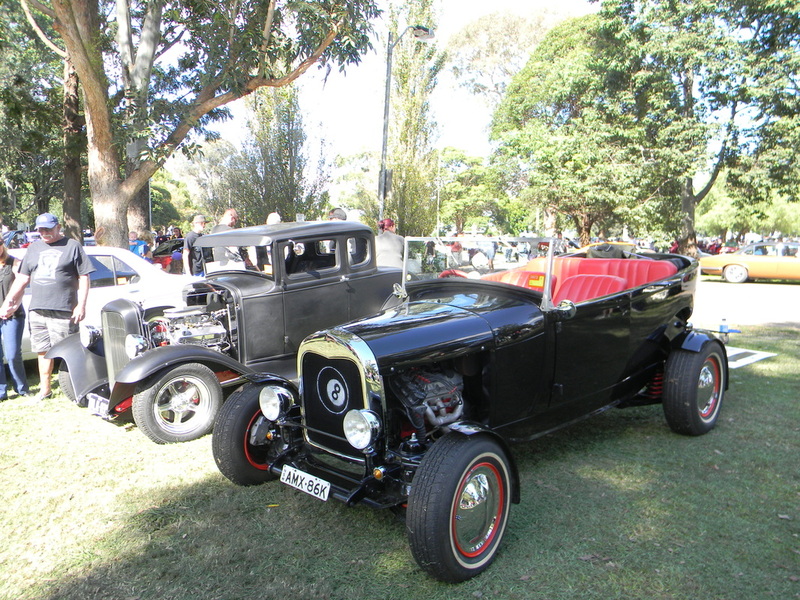 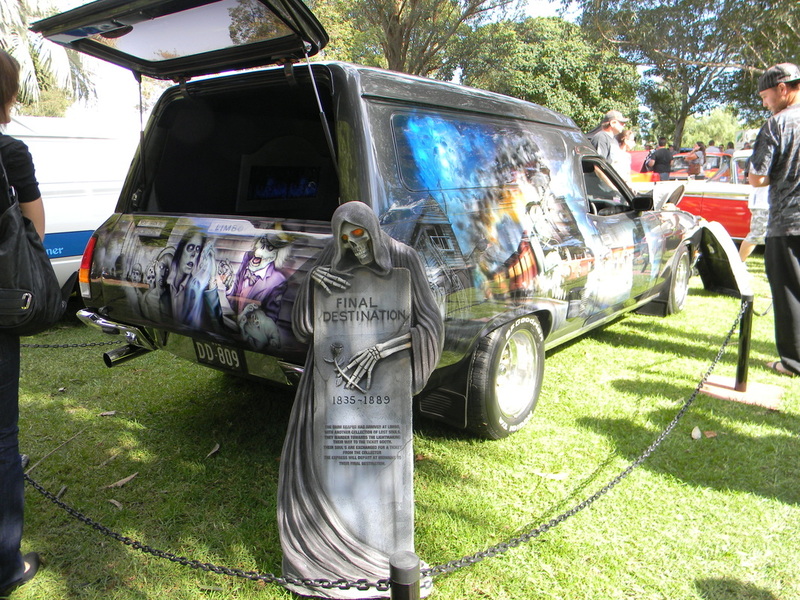 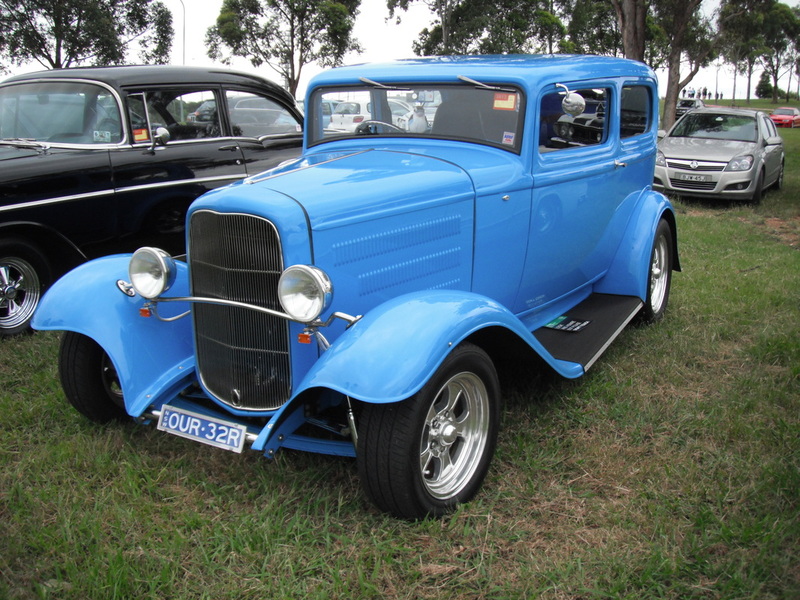 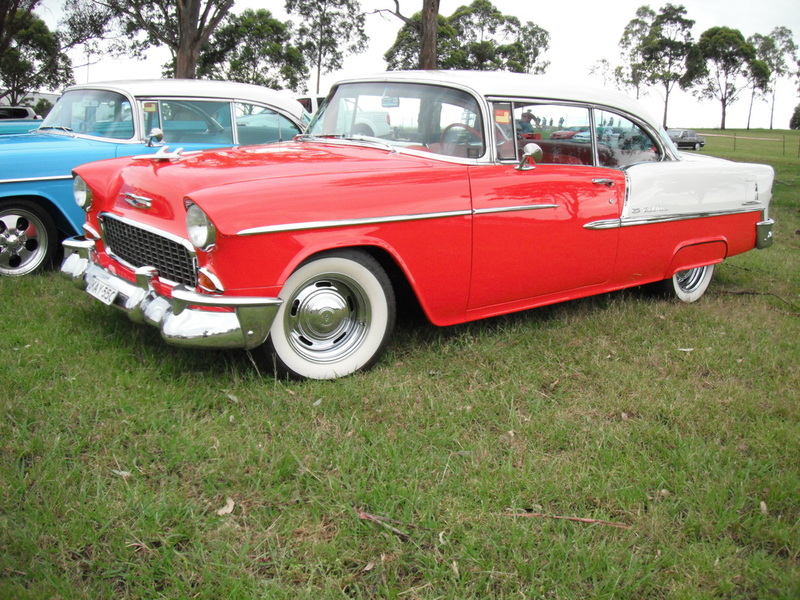 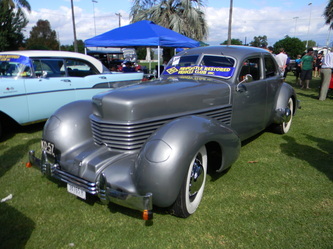 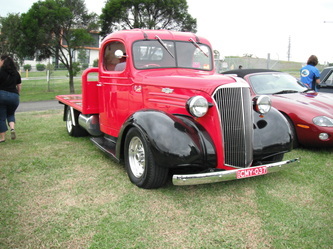 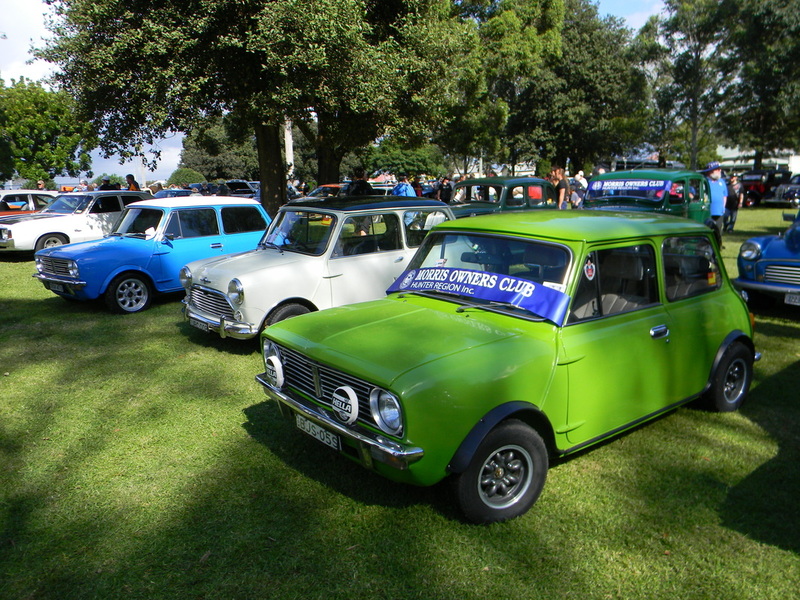 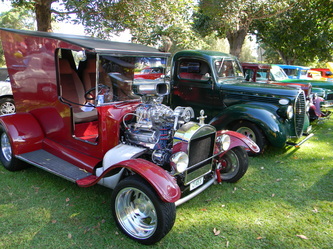 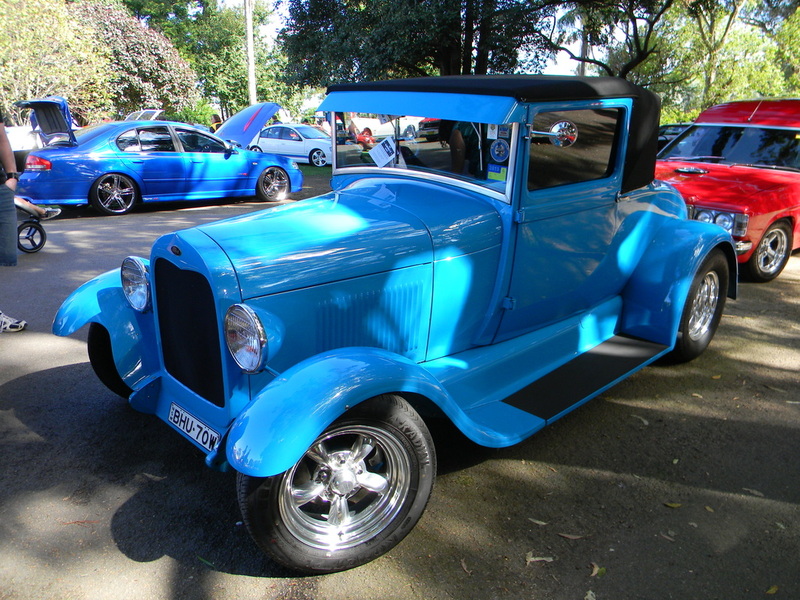 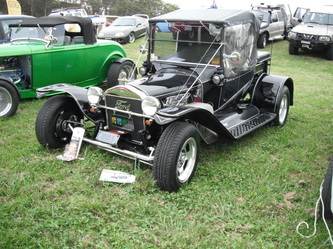 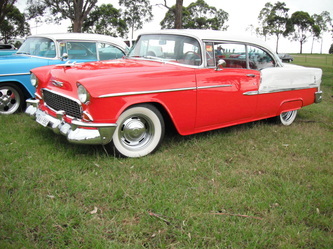 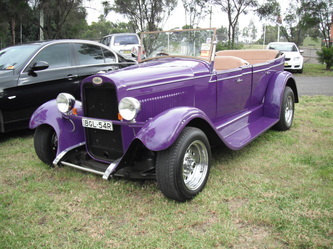 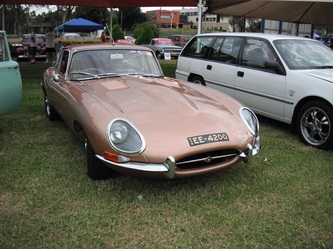 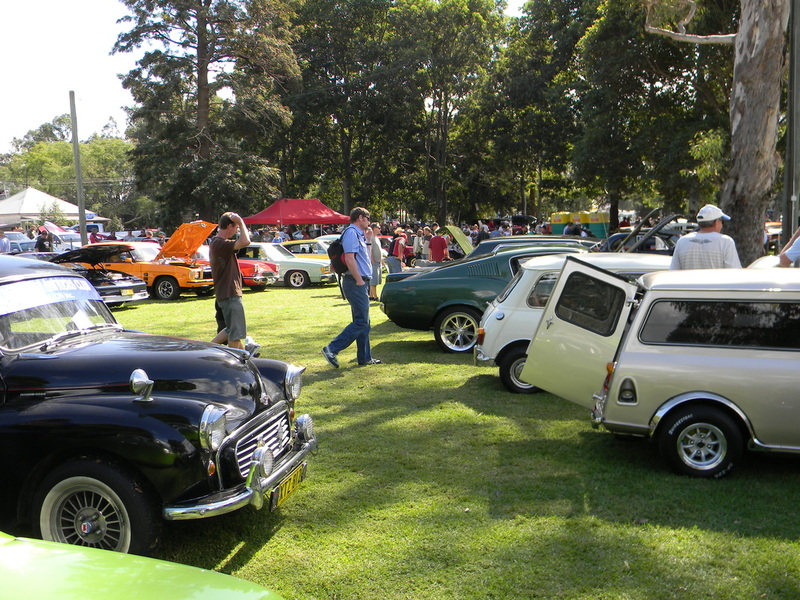 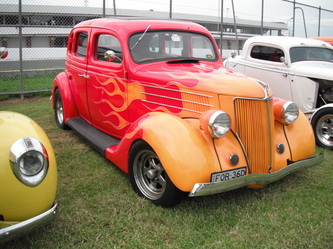 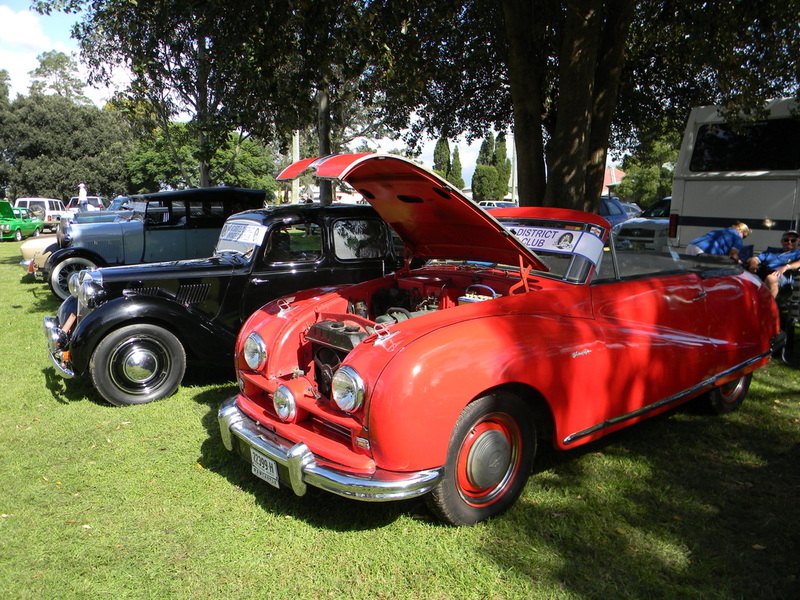 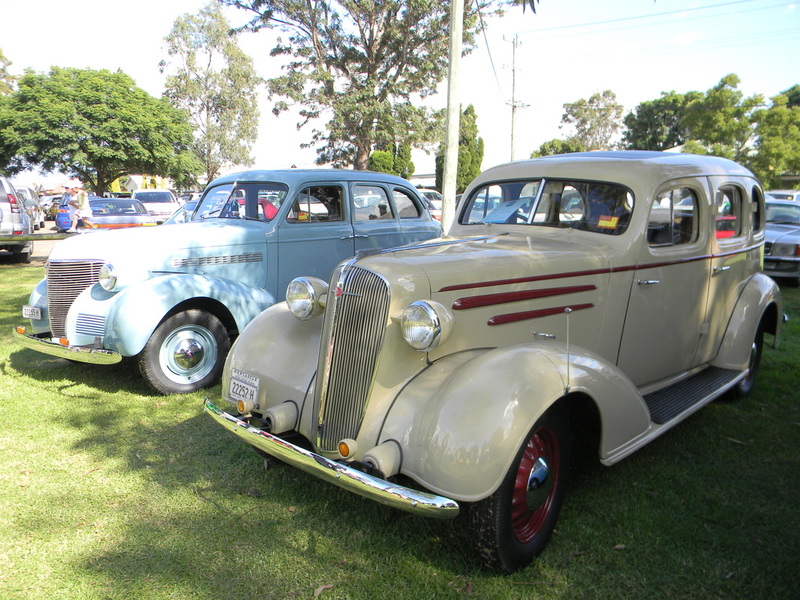 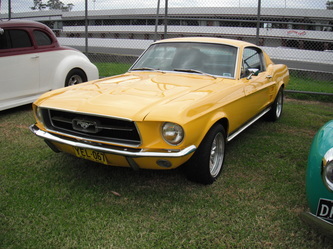 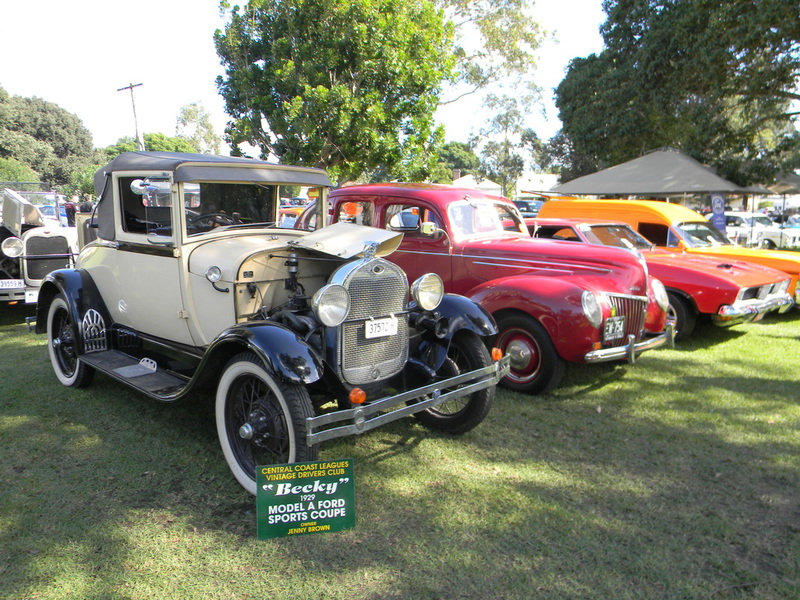 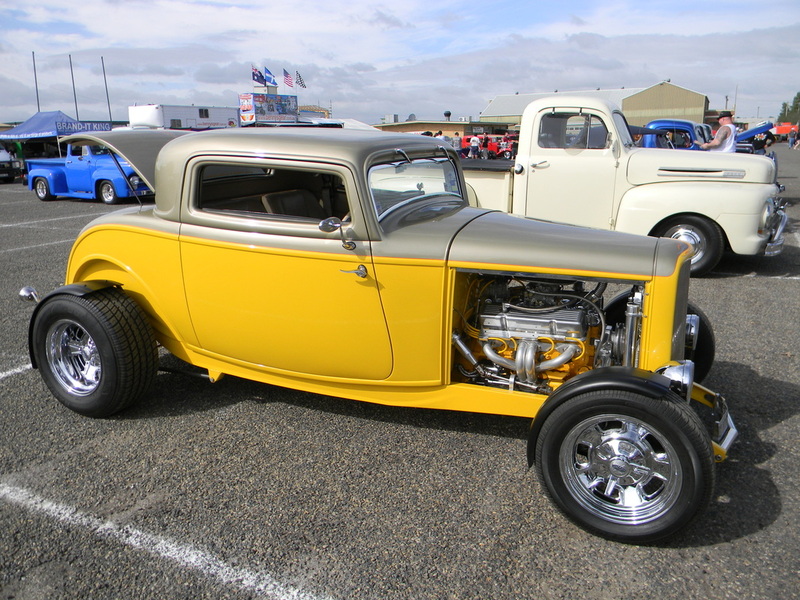 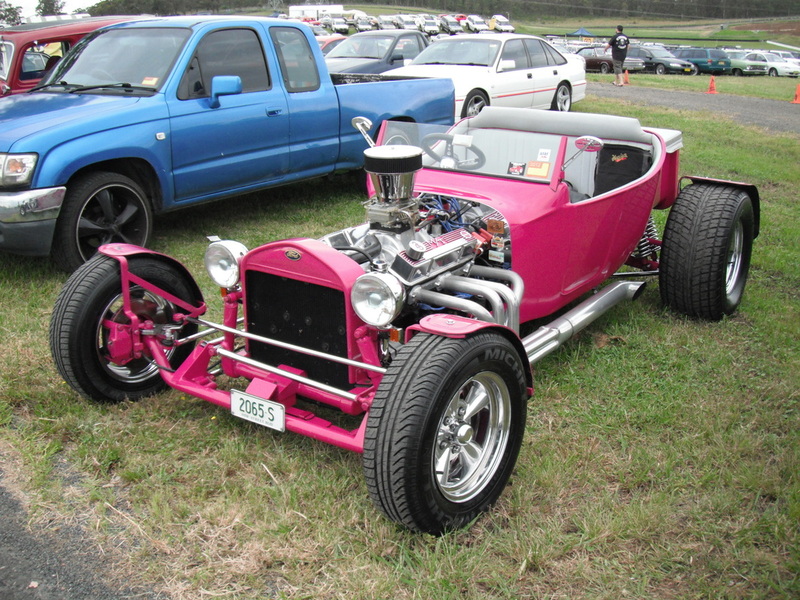 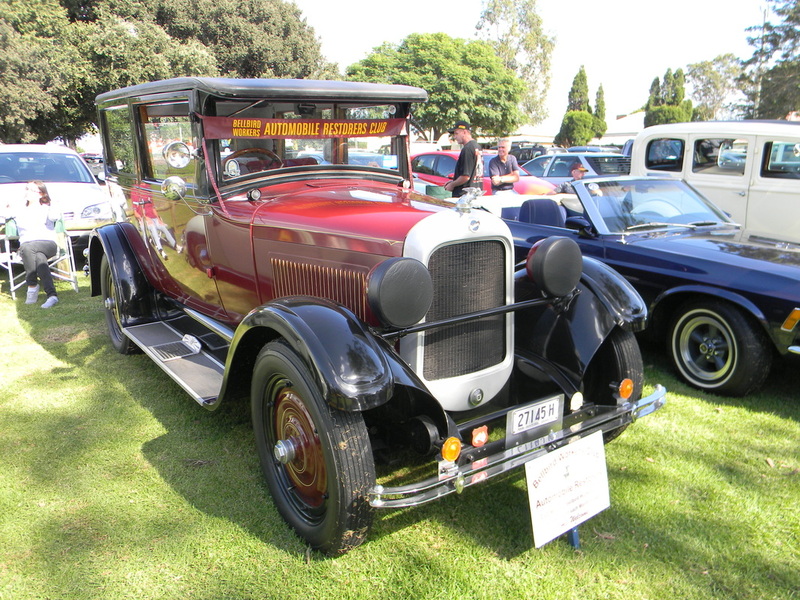 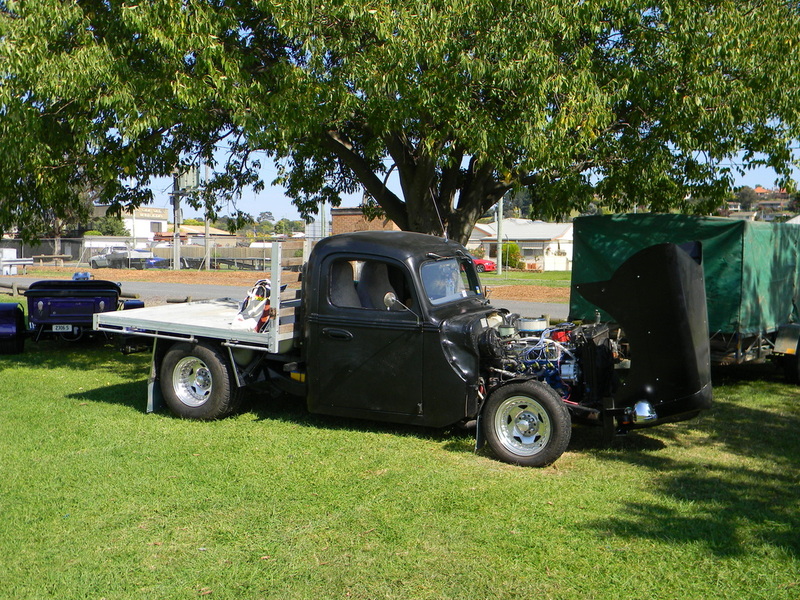 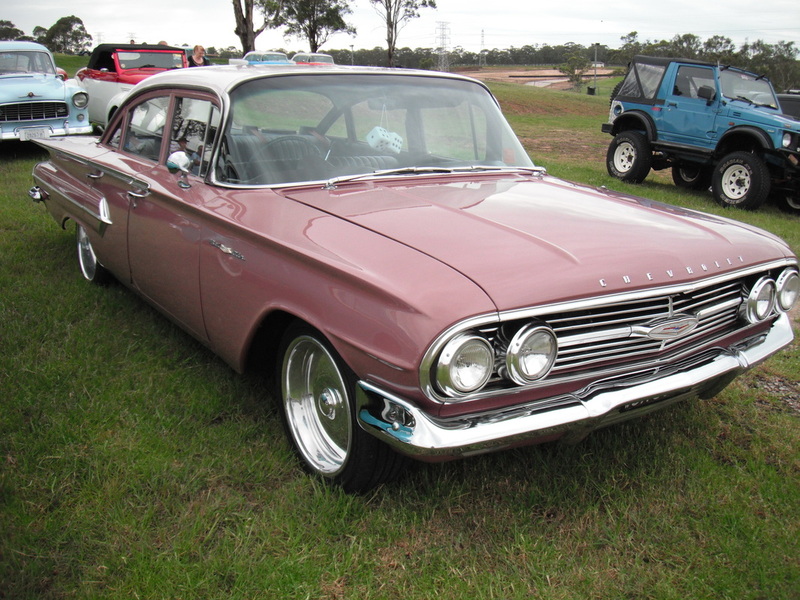 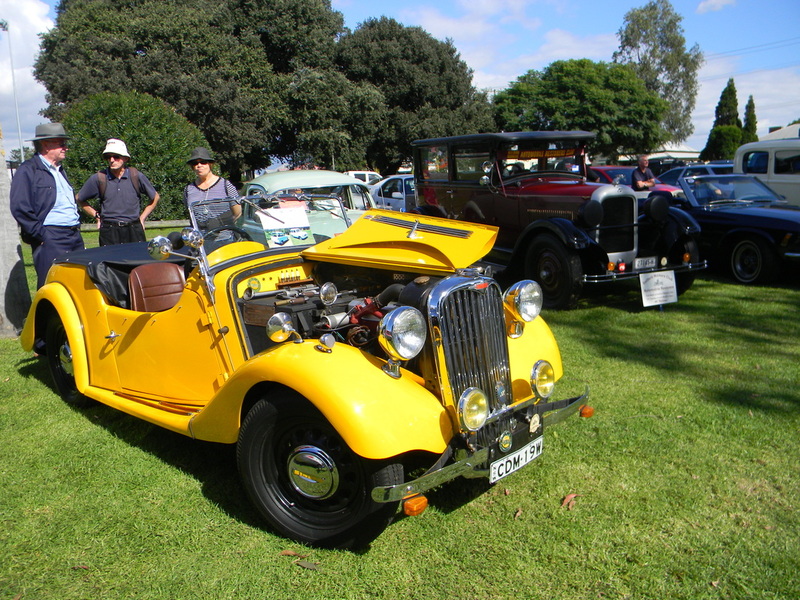 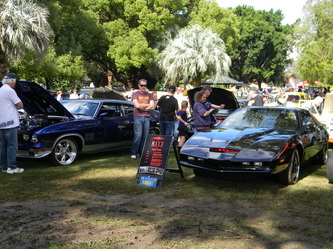 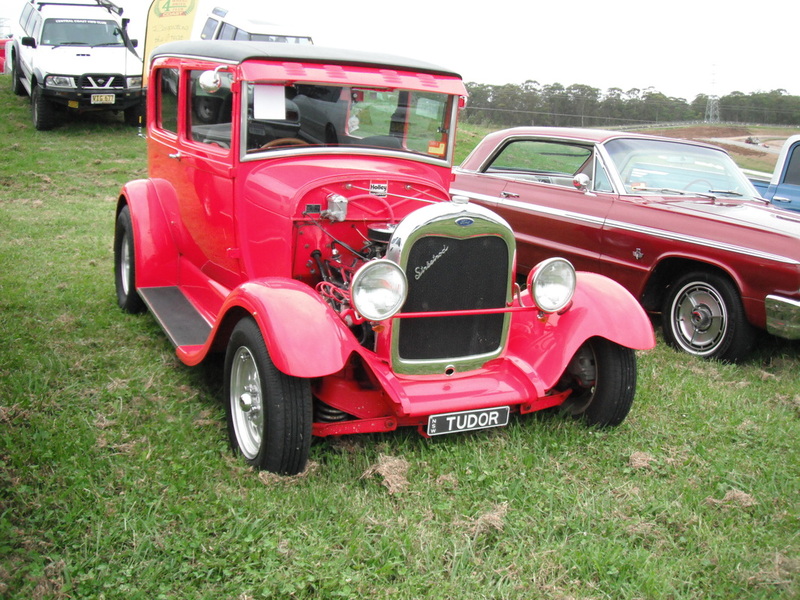 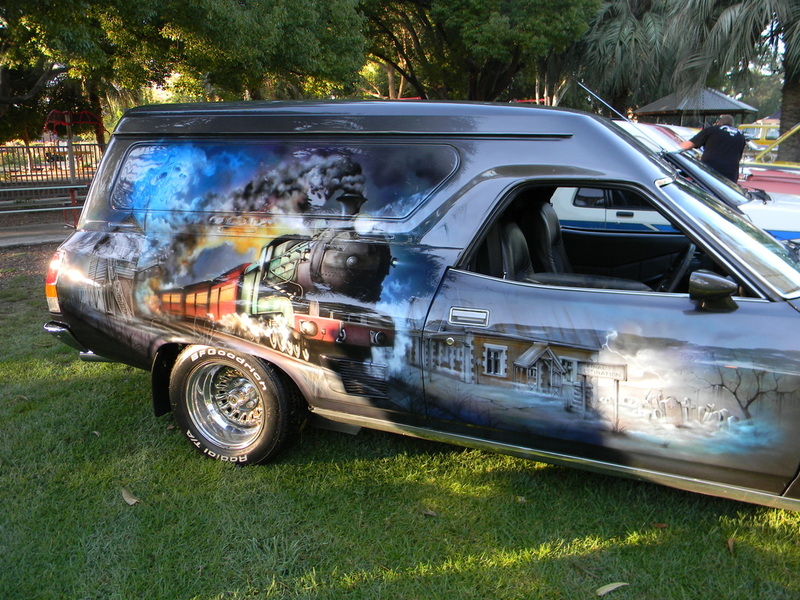 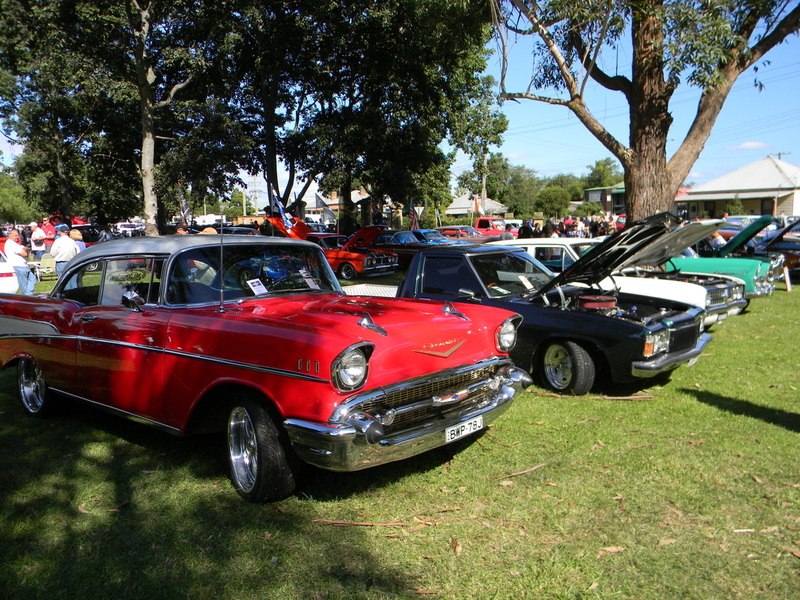 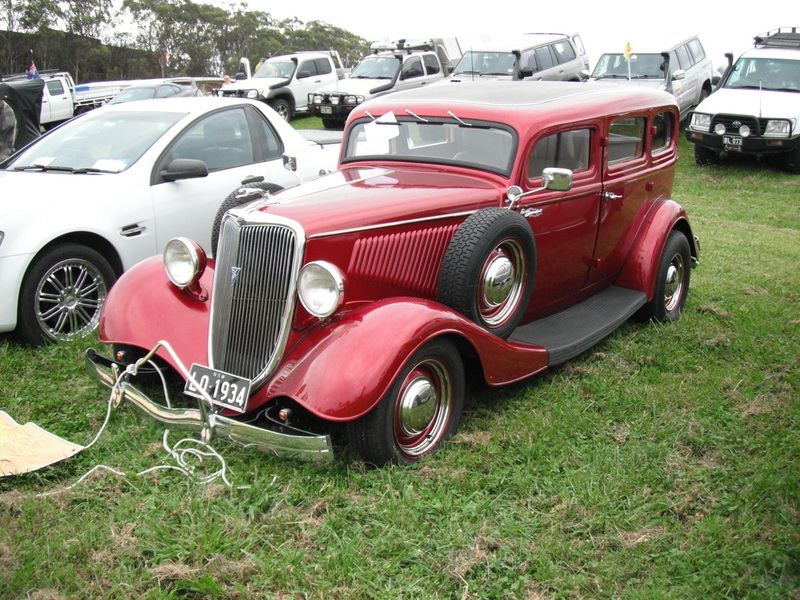 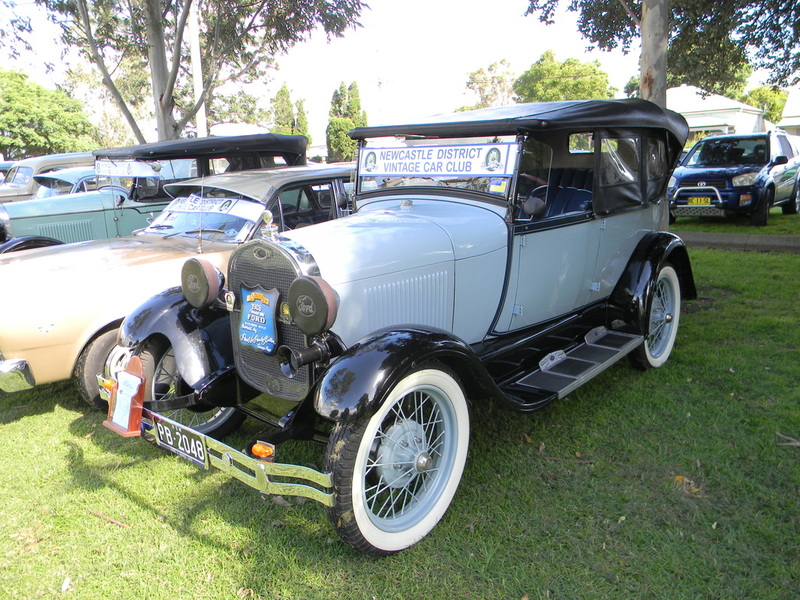 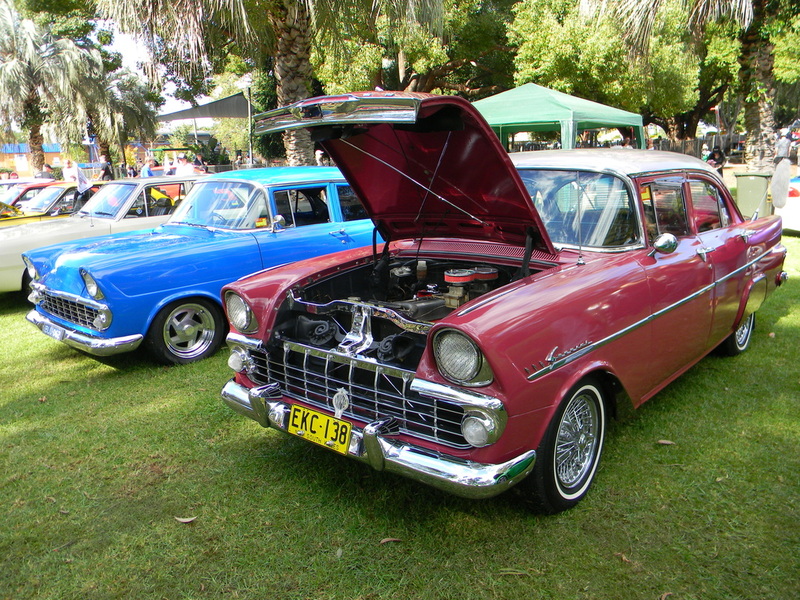 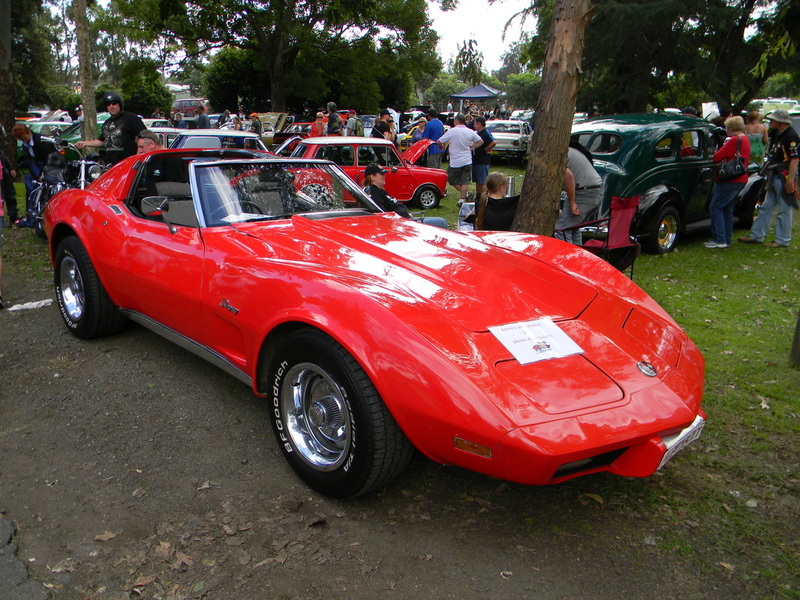 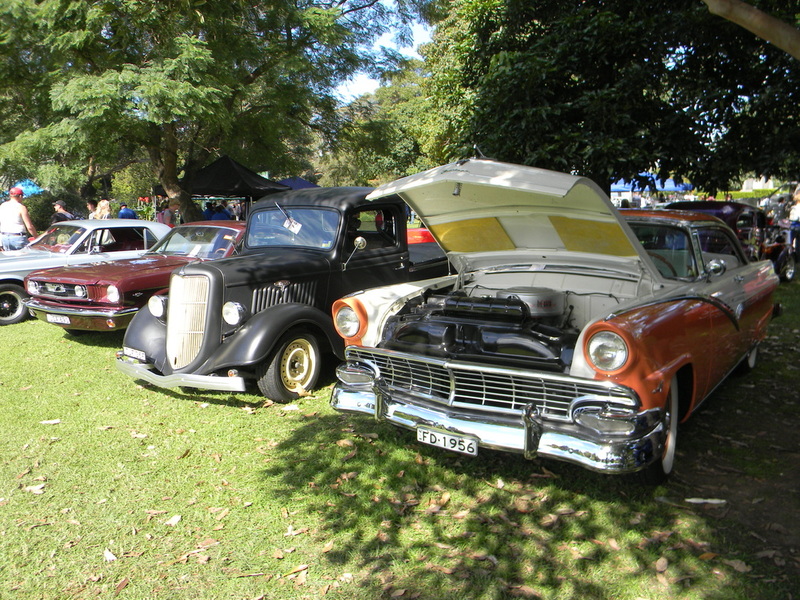 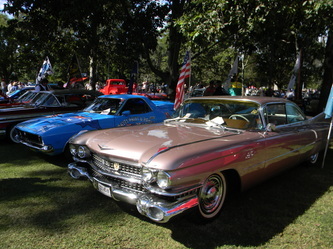 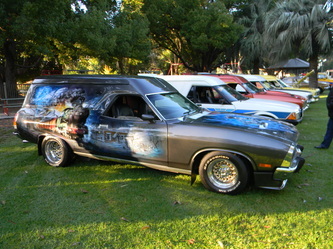 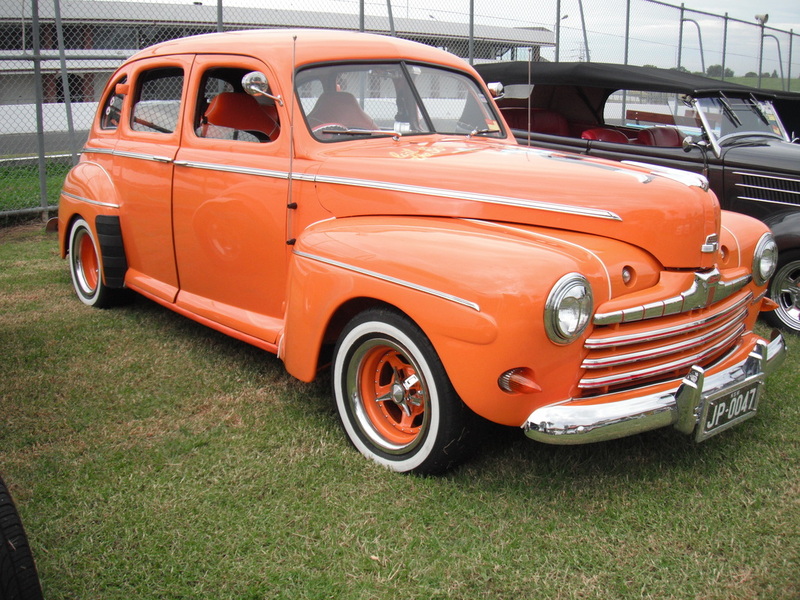 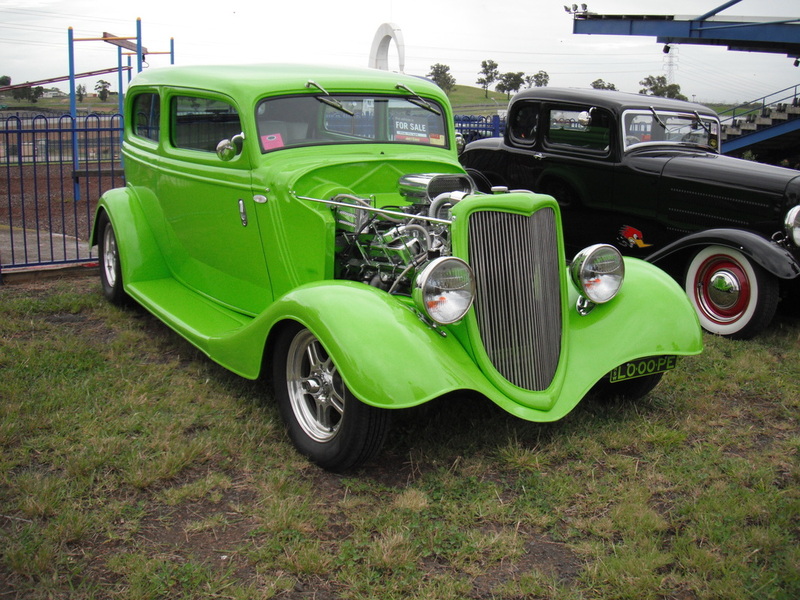 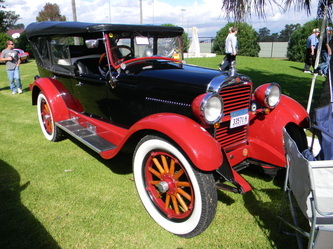 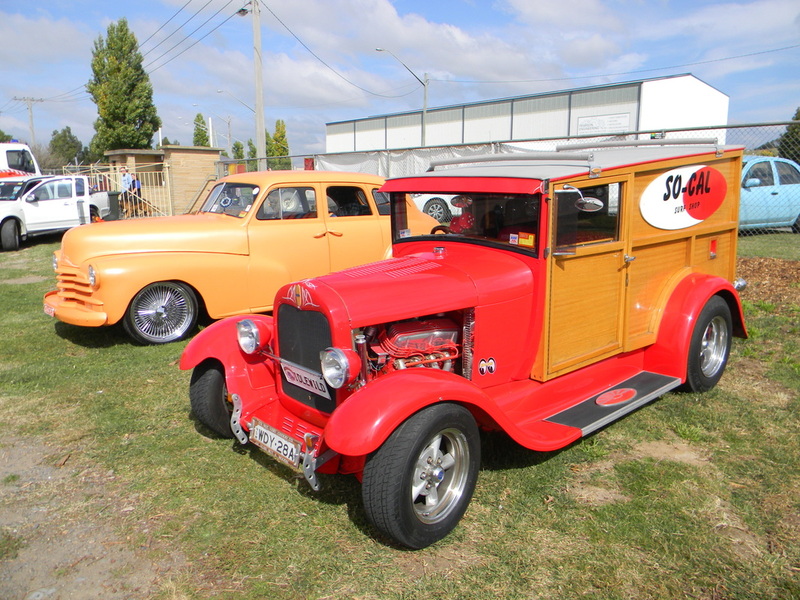 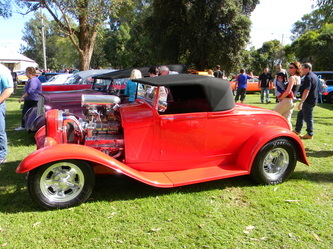 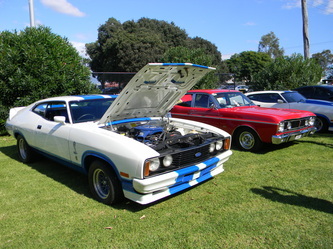 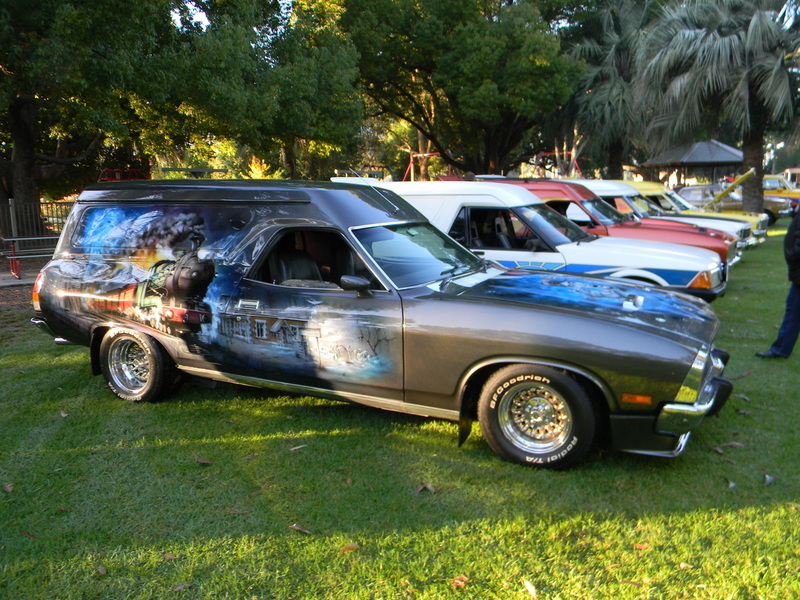 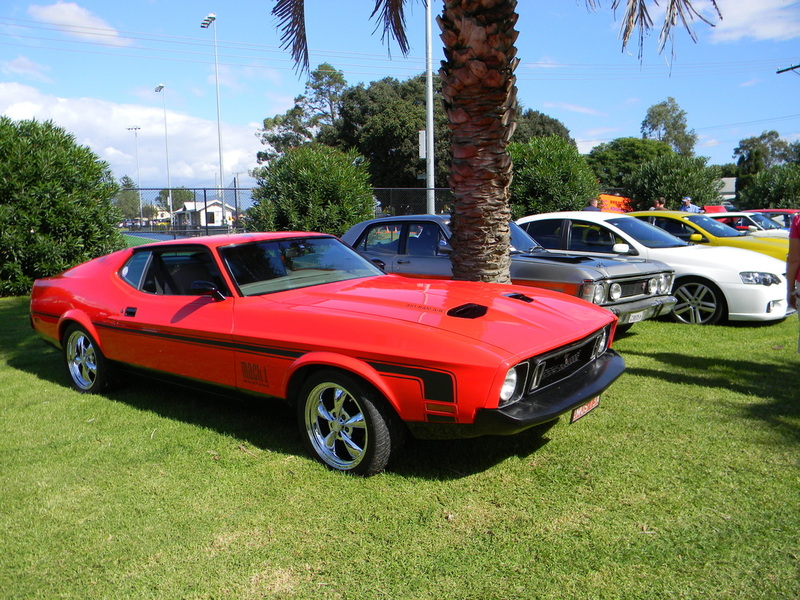 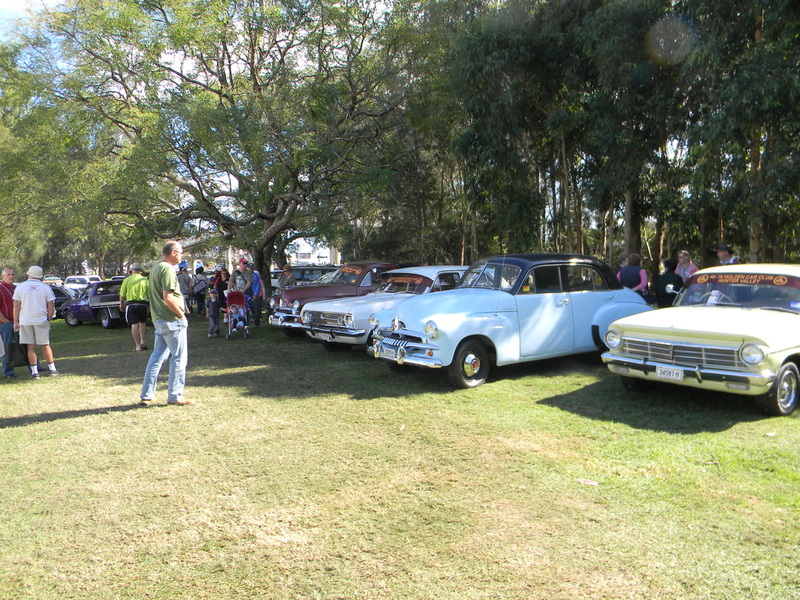 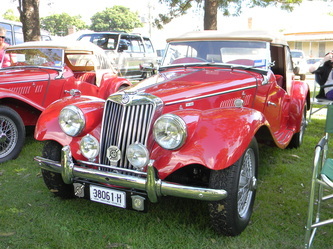 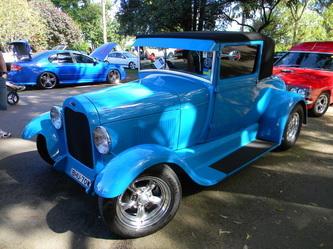 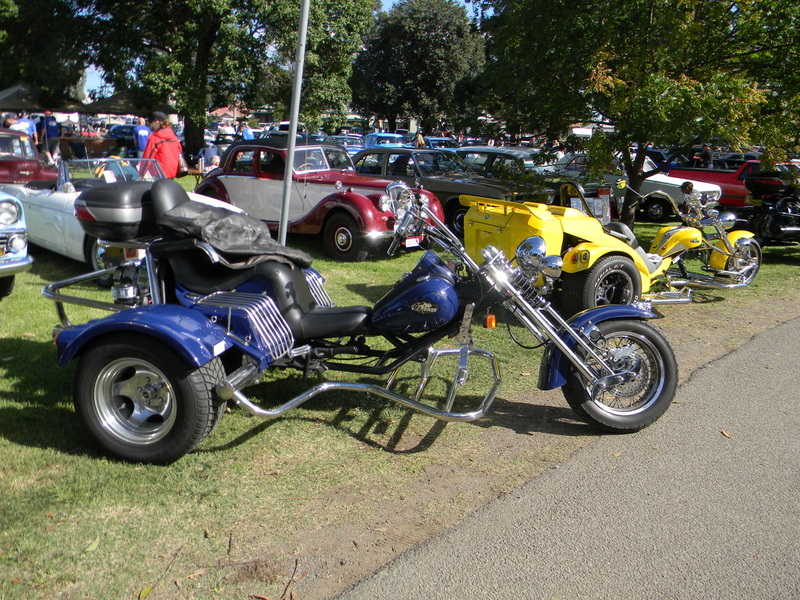 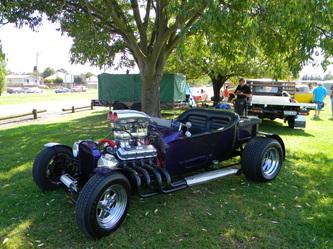 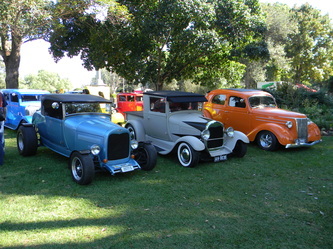 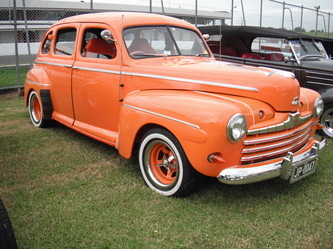 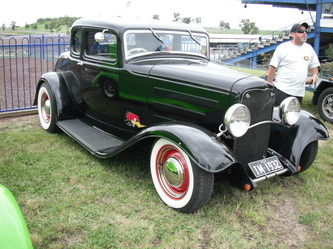 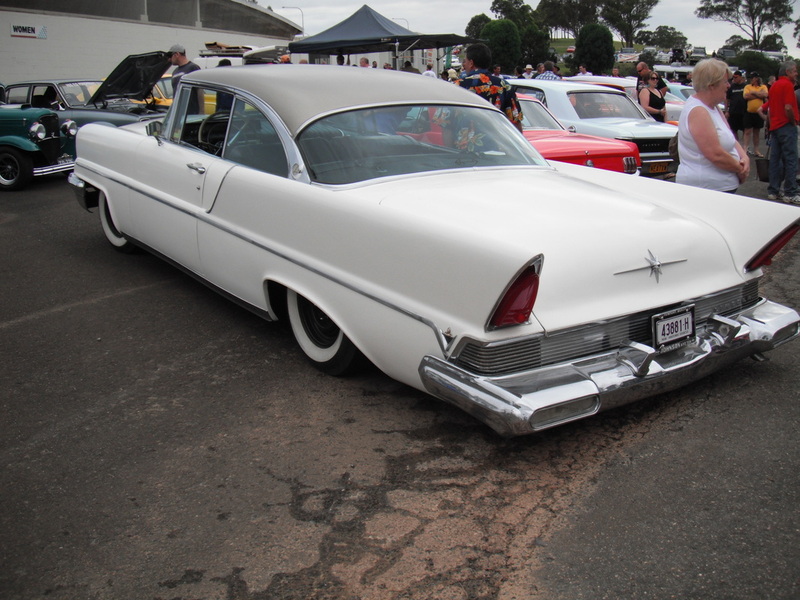 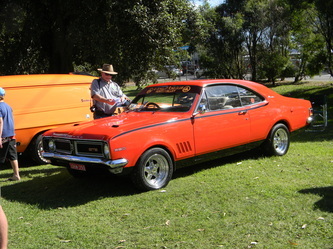 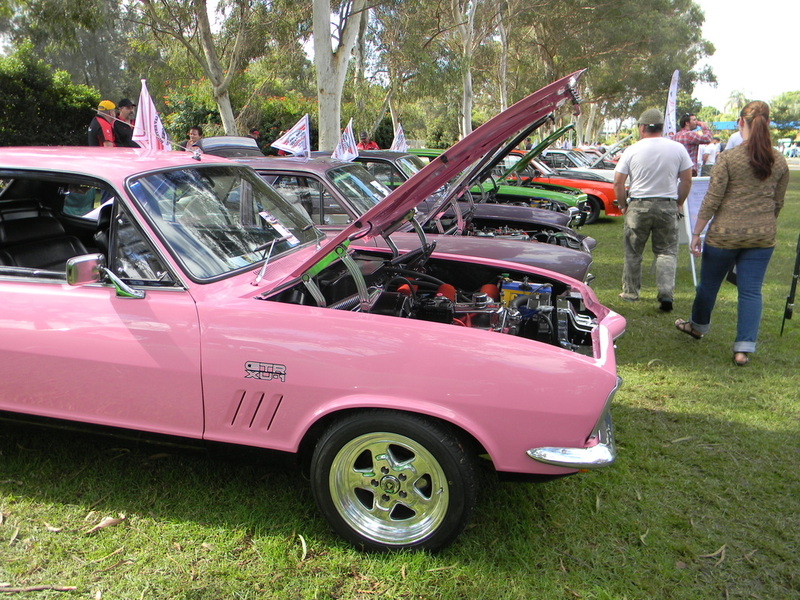 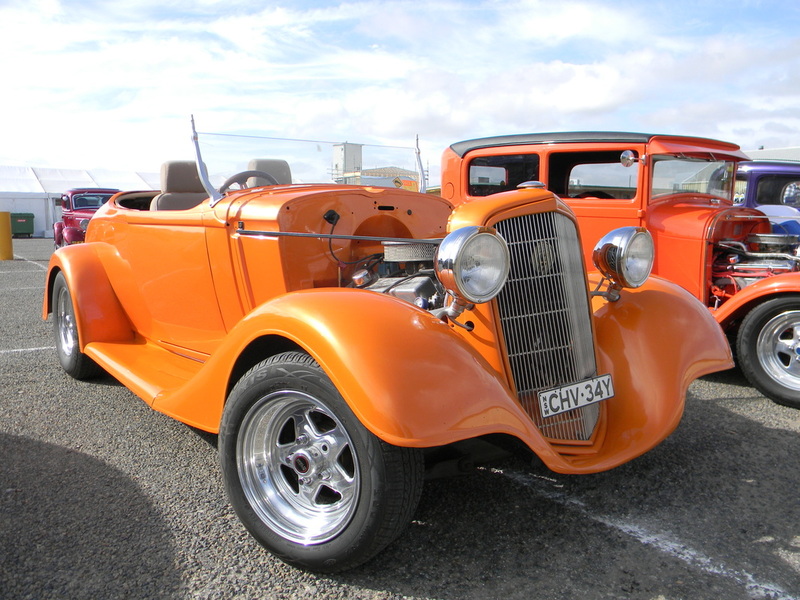 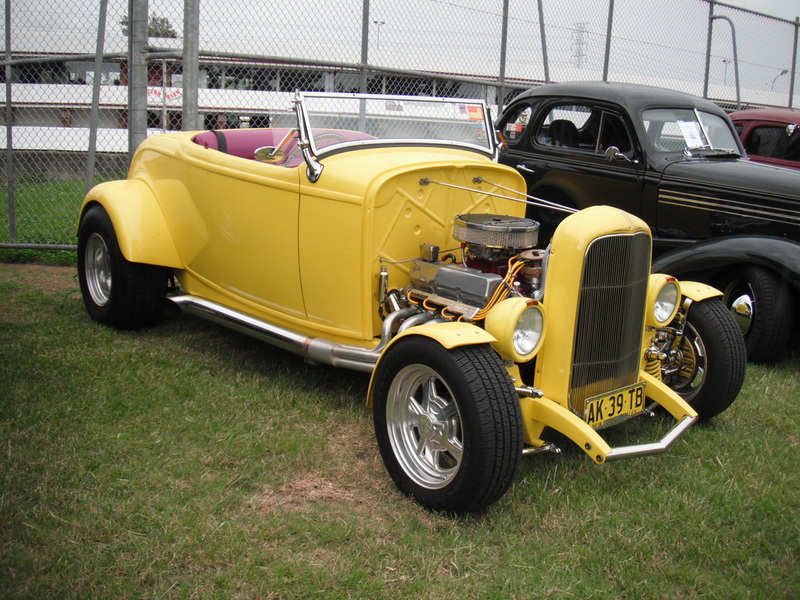 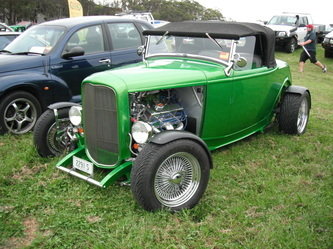 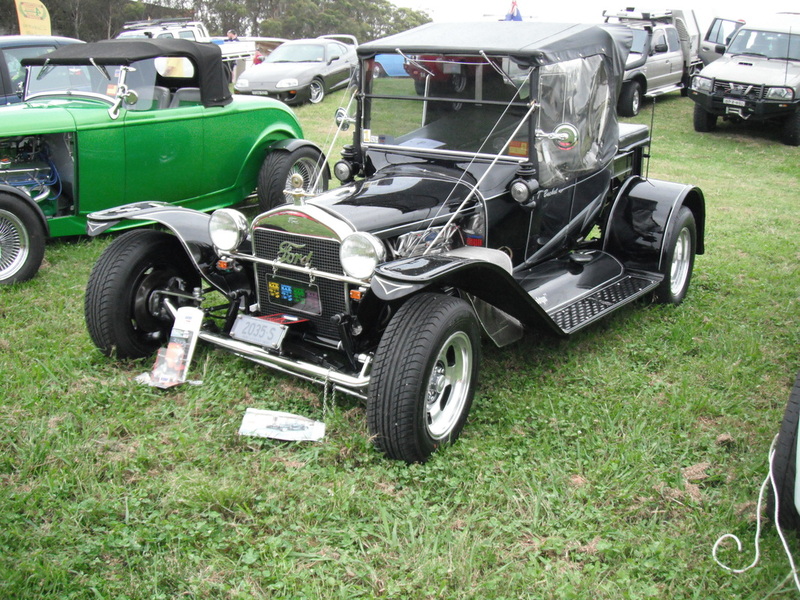 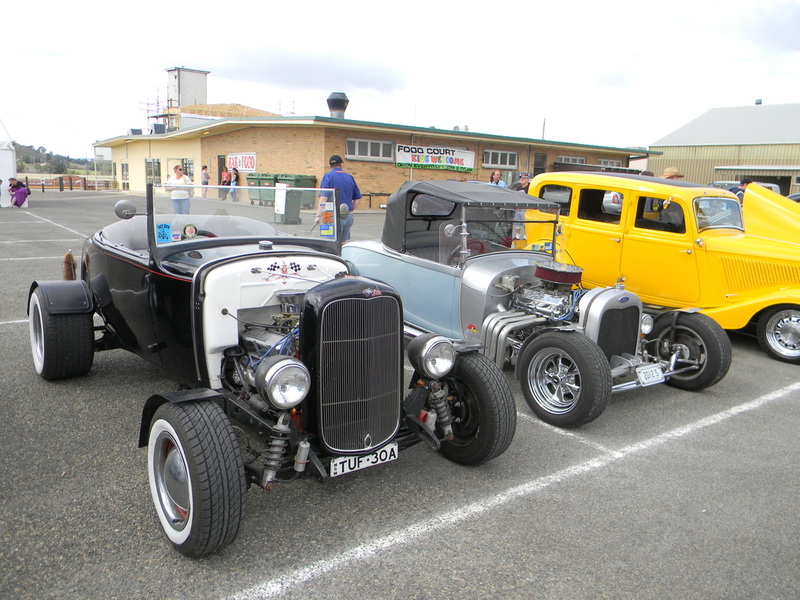 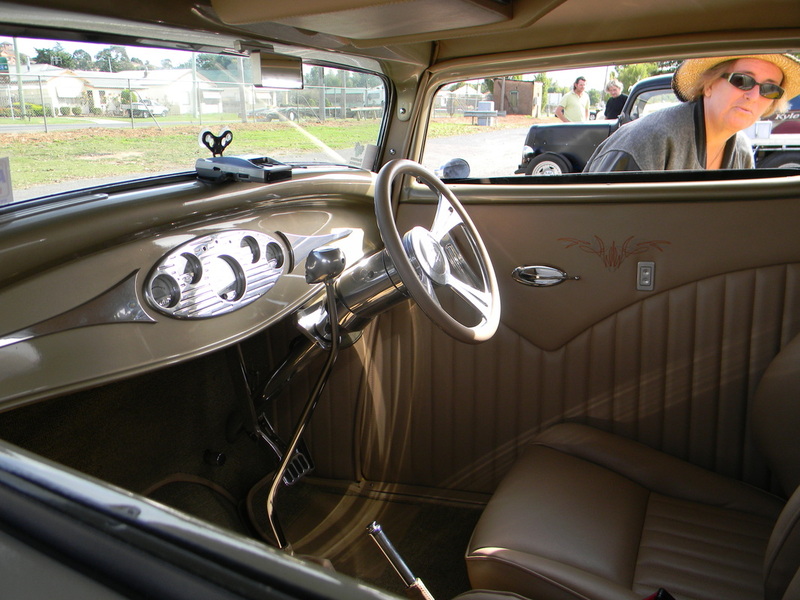 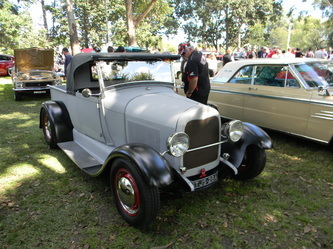 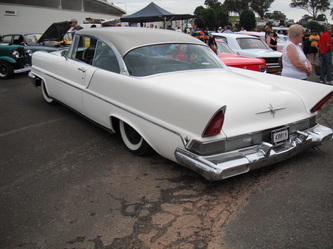 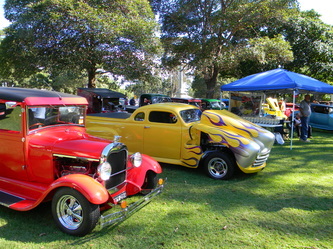 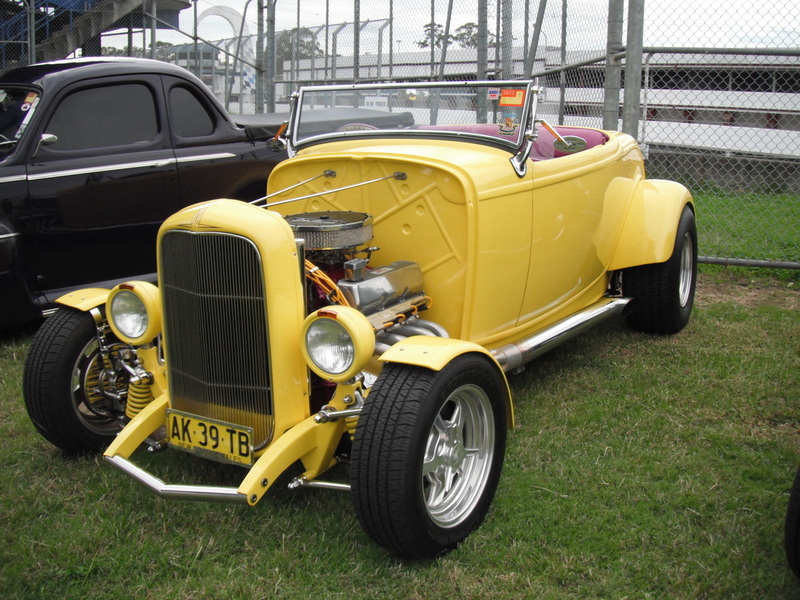 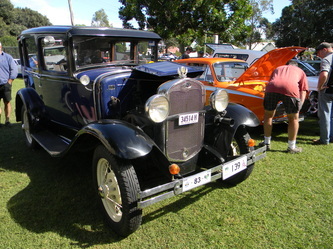 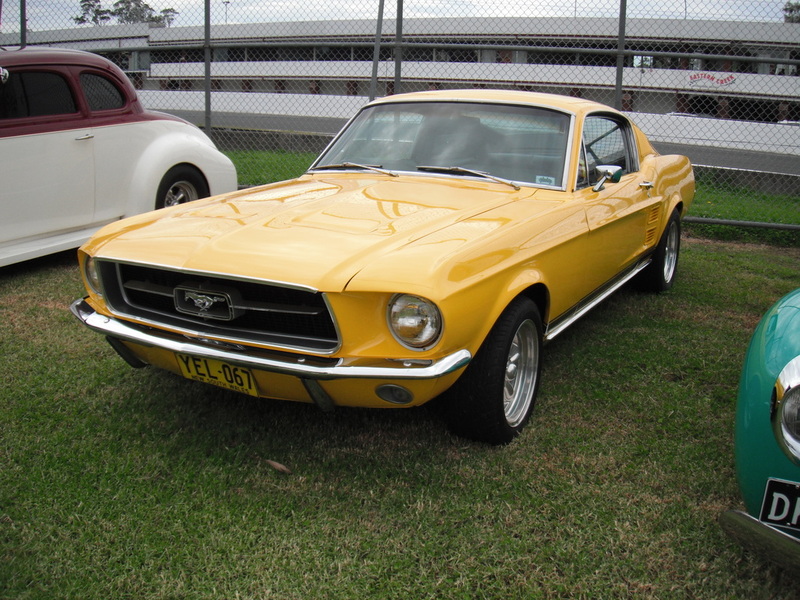 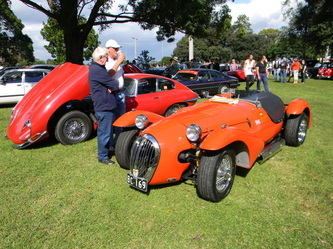 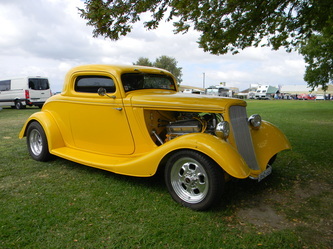 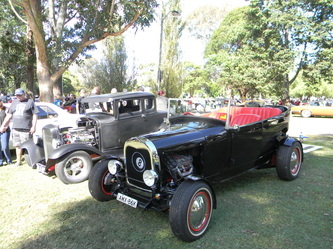 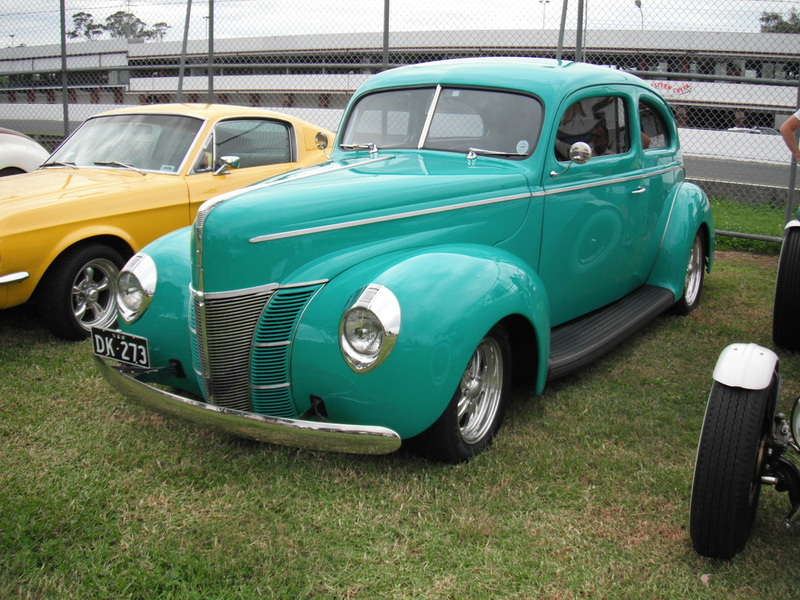 A perfect Sunday morning saw over 500 cars attend the Steamfest Show and Shine in Maitland Park. 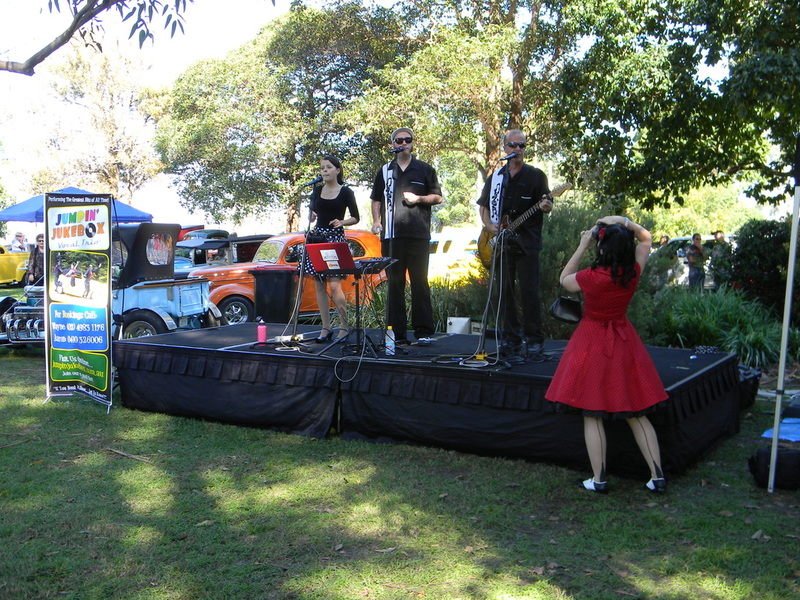 There was a good crowd in the park, Jumping Jukebox were playing great music when the dark clouds started to gather. 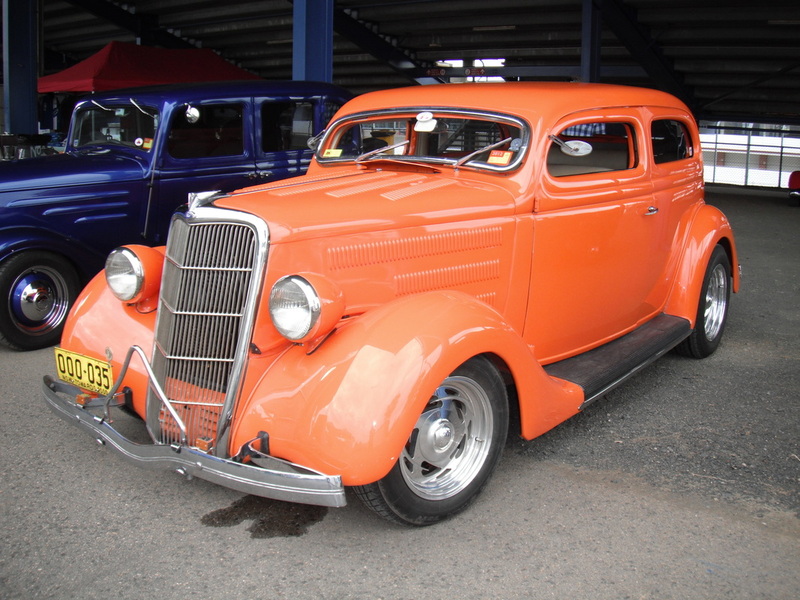 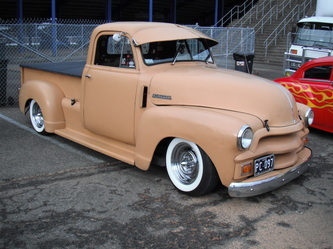 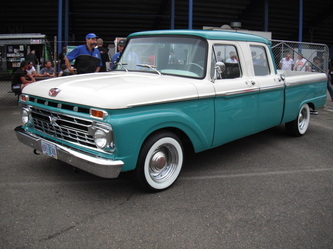 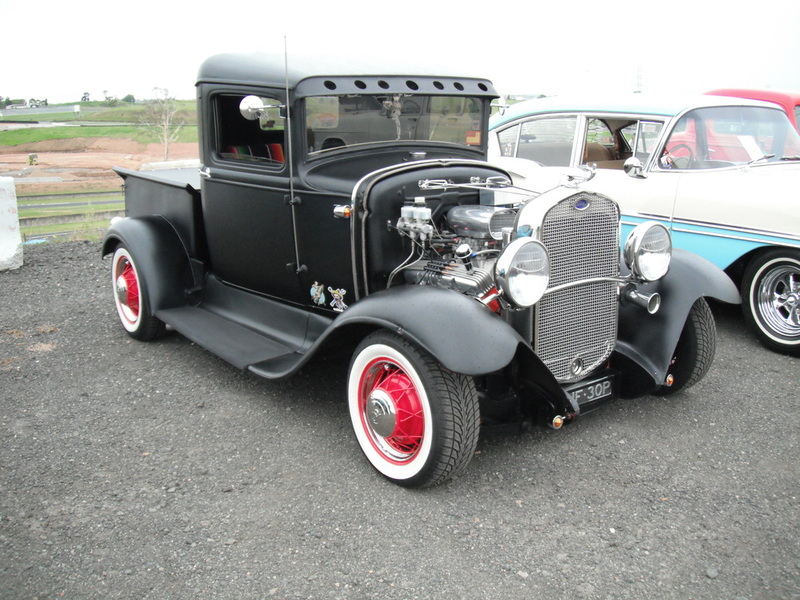 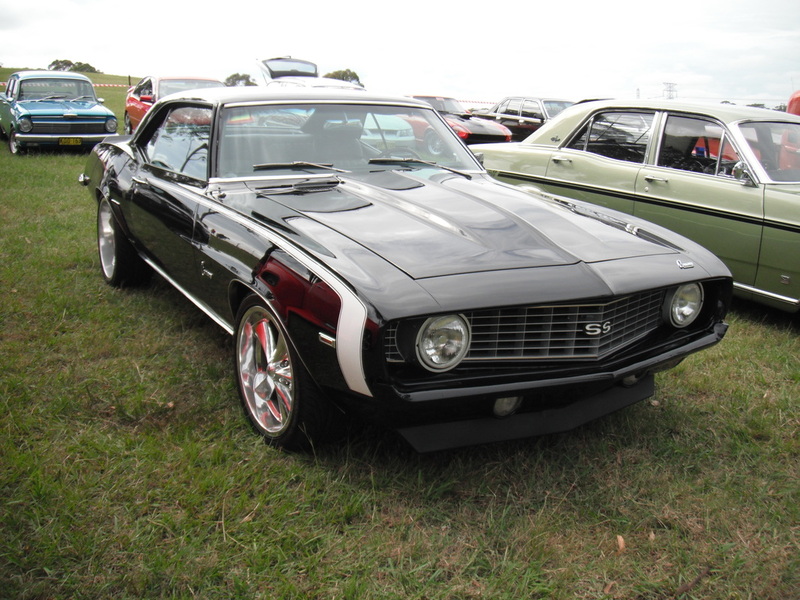 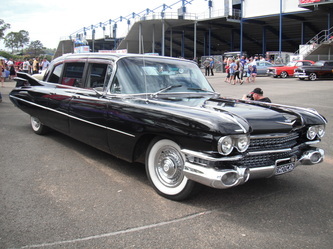 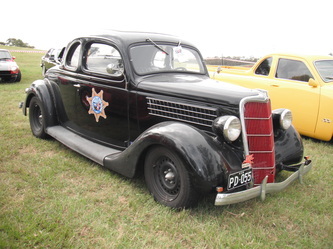 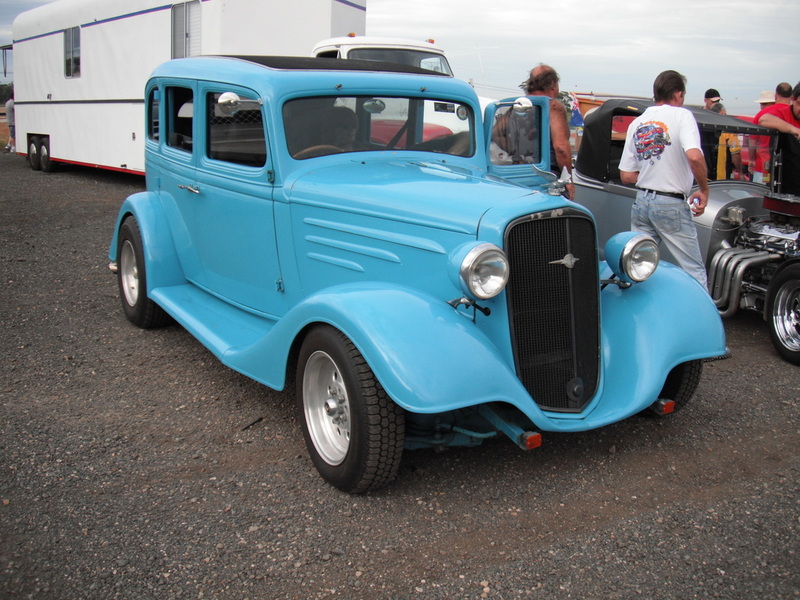 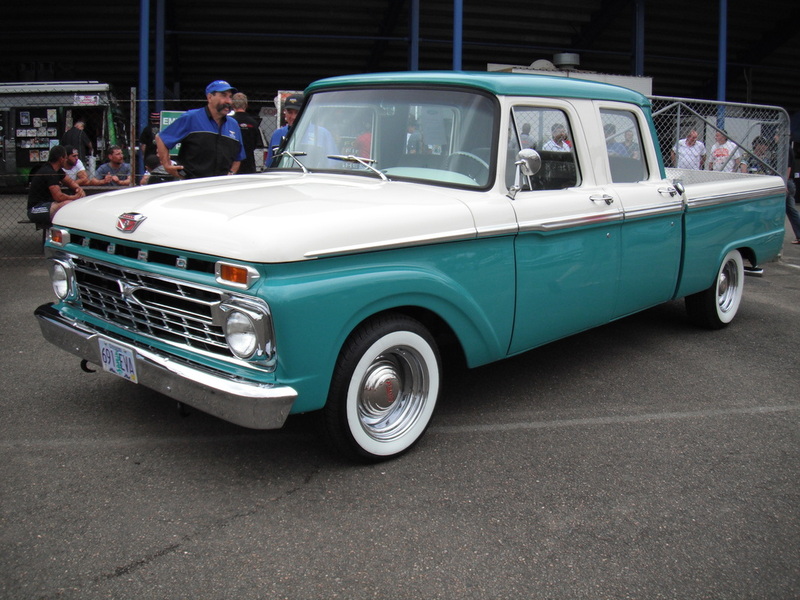 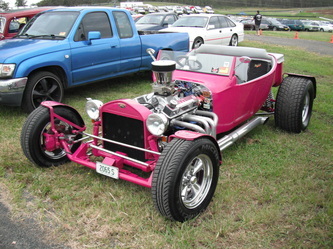 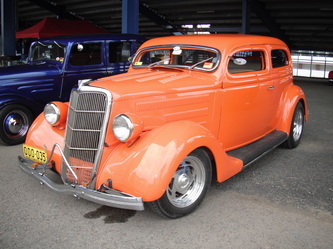 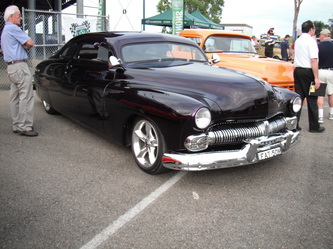 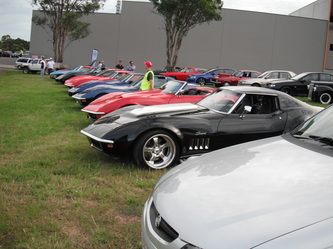 Just after mid-day the rain came down which cleared the crowd and most of the entrants in the Show and Shine. 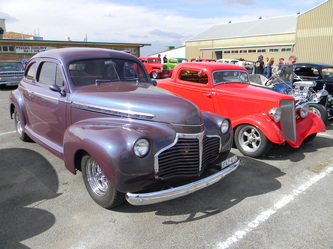 The presentation was brought forward to 1pm but thanks to Autobarn, who supplied fantastic lucky entrant prizes, this years presentation was the best attended despite the weather. While the weather may have shortened the day it was a great success and we have received very positive comments from two clubs who travelled from Sydney and who will return next year. 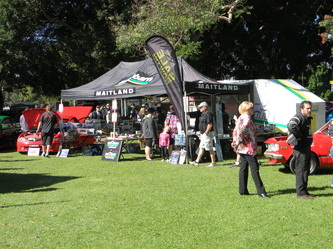 Seventeen of our member's rods were at the event and we thank all our members who helped on the day. We once again raised a considerable sum of money for our chosen charity, First Chance. 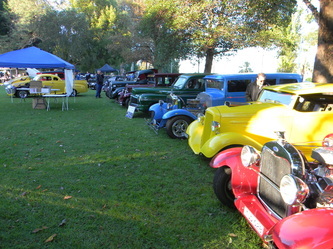 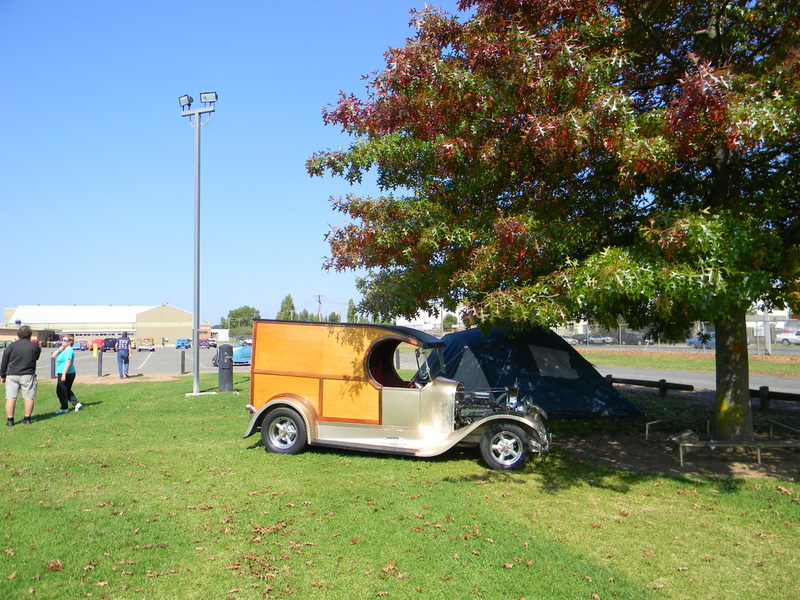 At Easter the Combined State Run held in Goulburn attracted 84 entrants. 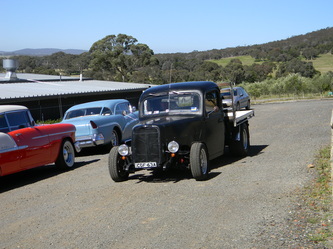 While the numbers may have been down on what was expected the run itself was friendly and we were looked after really well. The weather got a bit cool when the wind was blowing but when events were on it was as if we were blessed and the wind dropped. 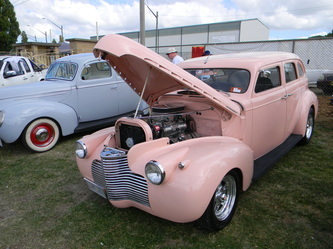 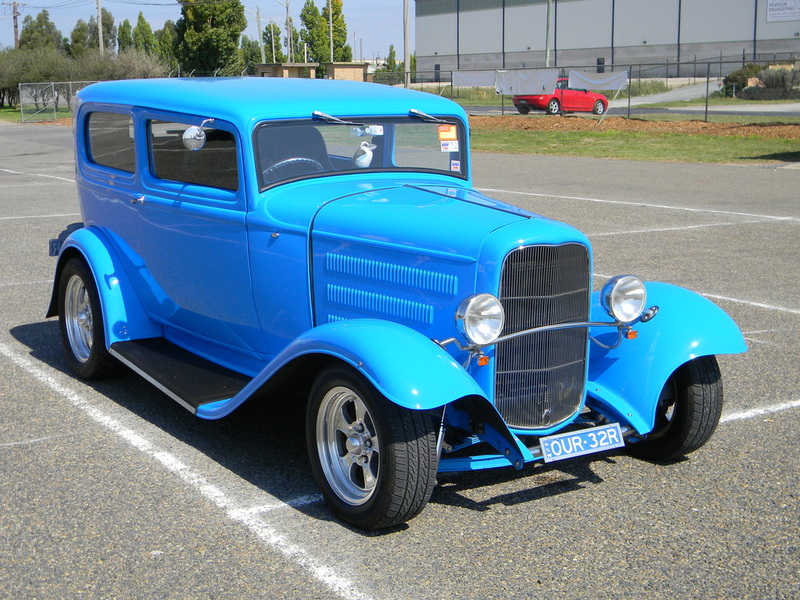 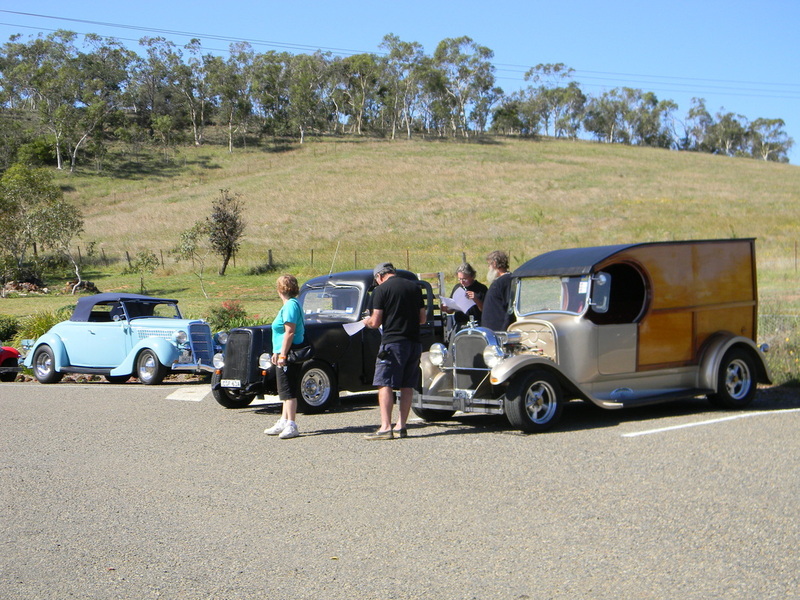 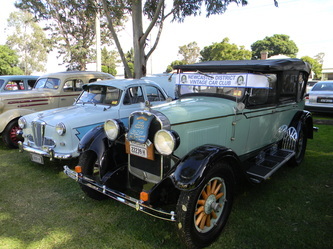 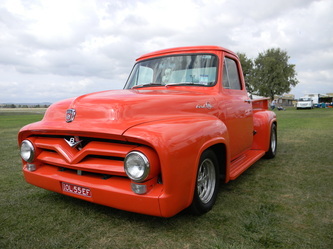 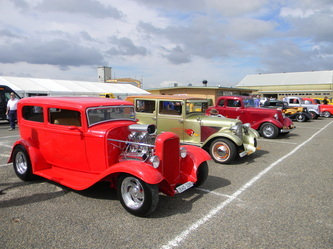 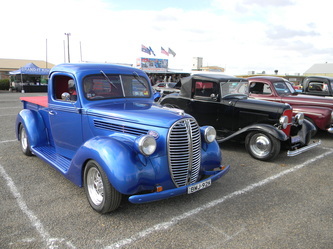 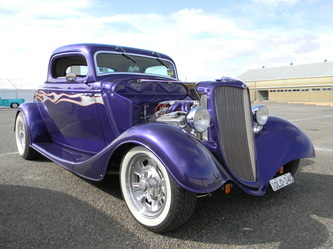 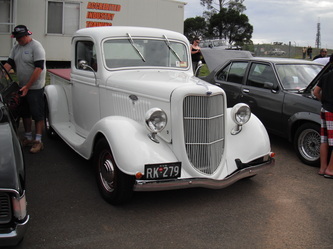 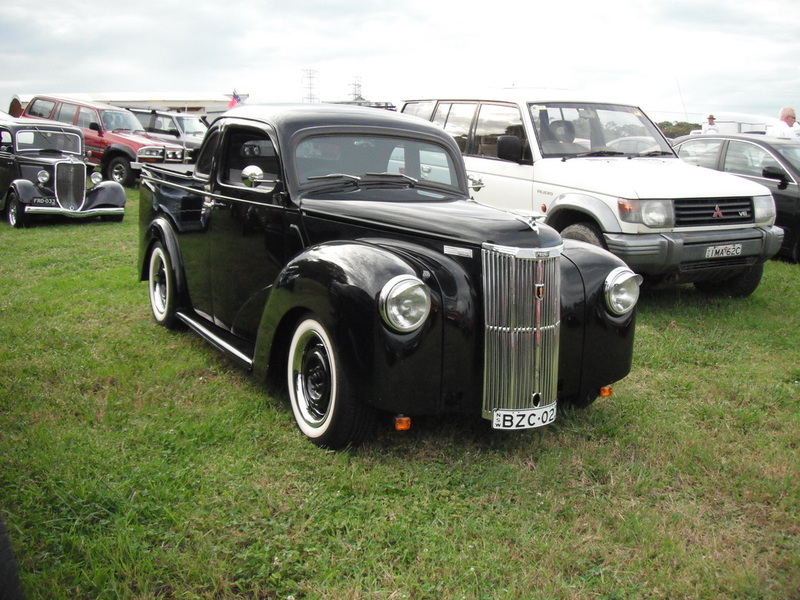 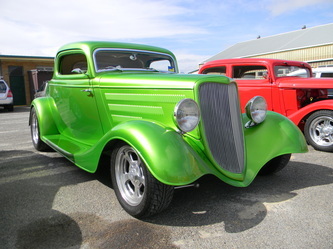 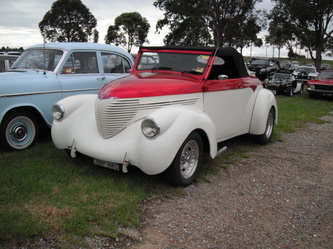 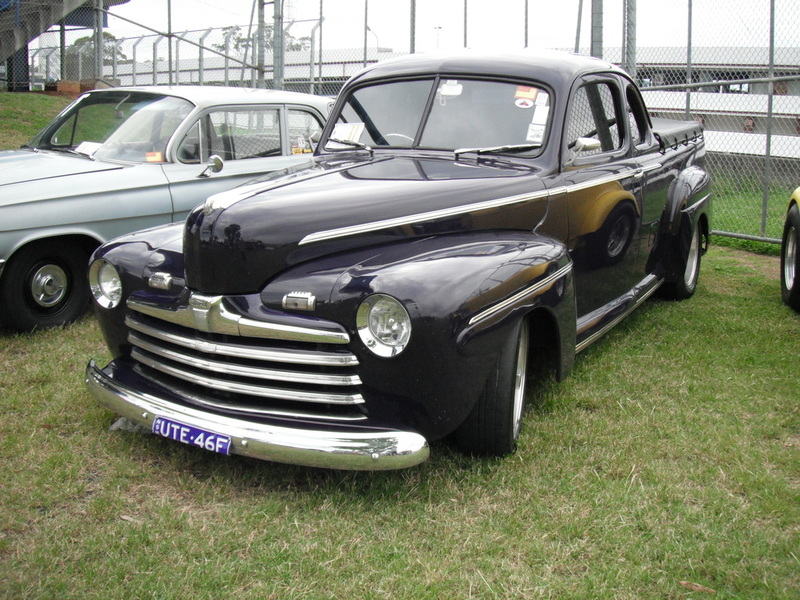 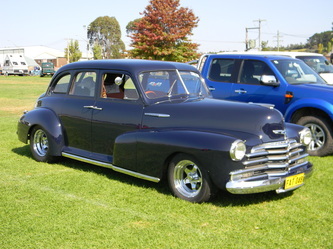 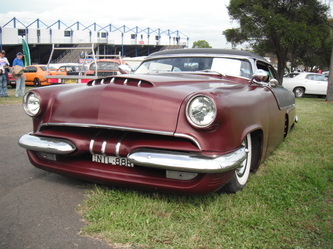 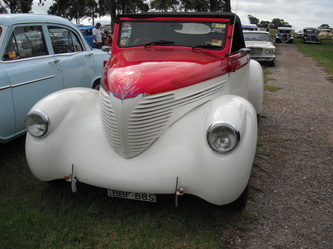 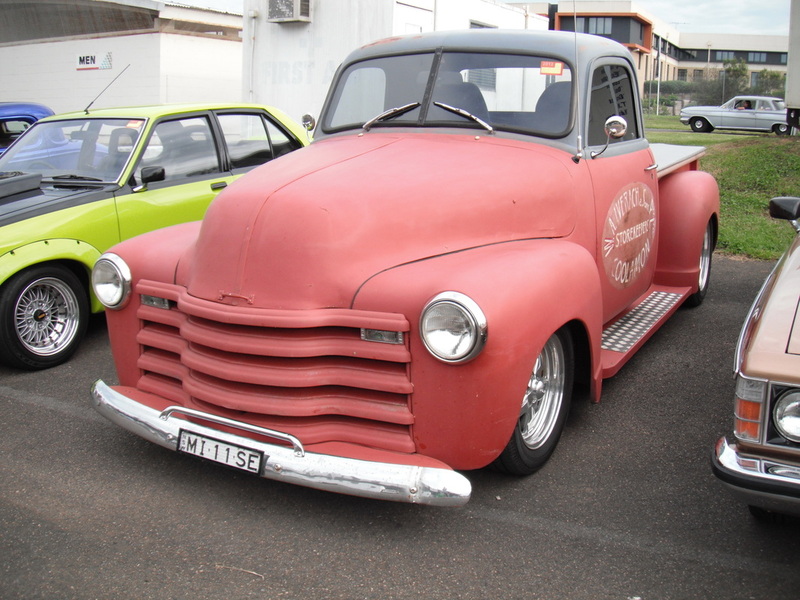 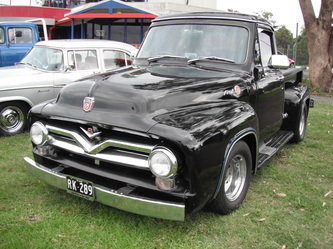 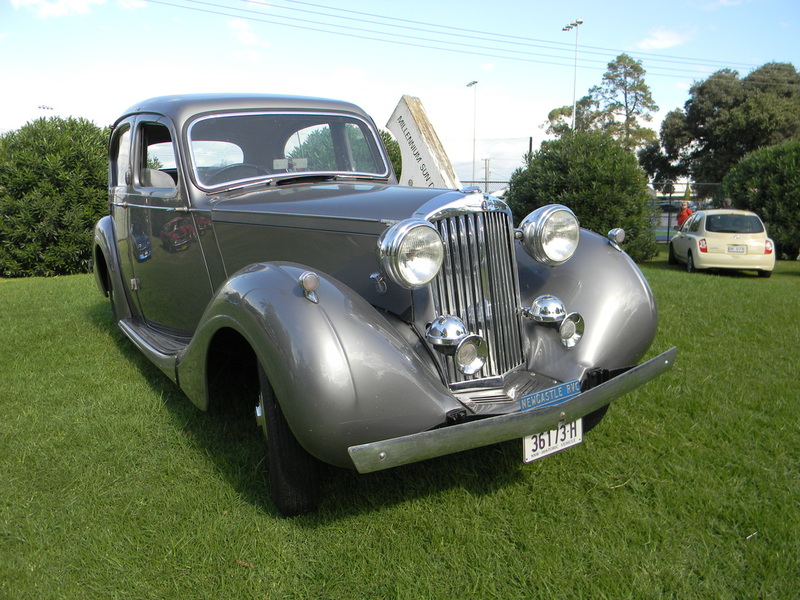 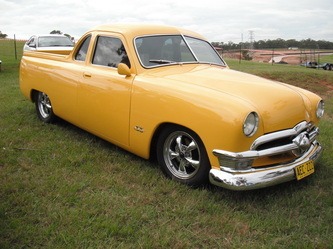 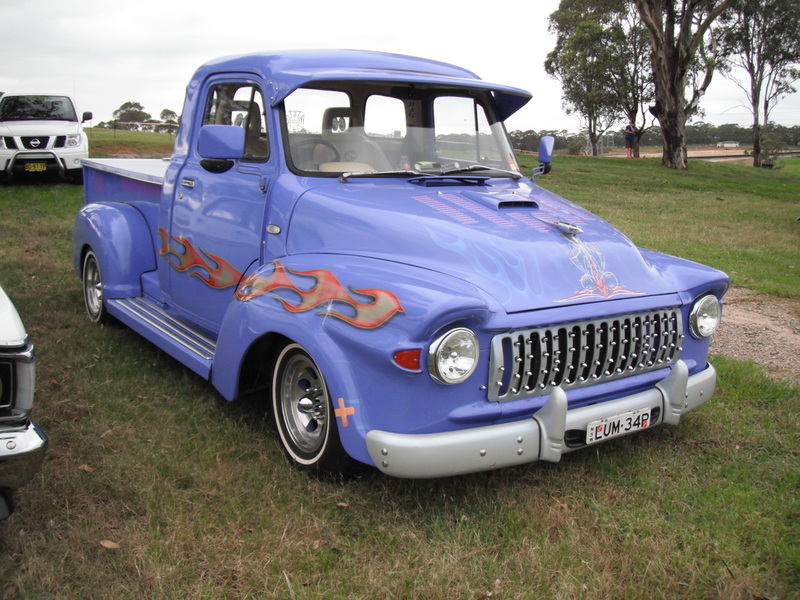 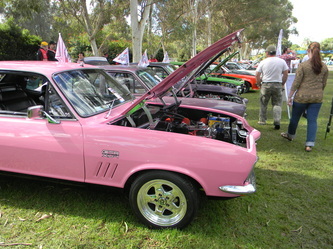 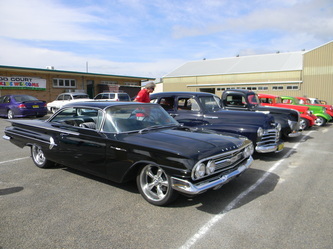 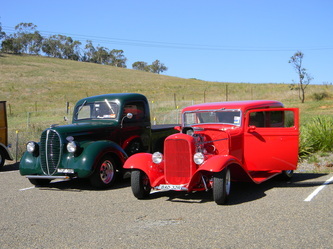 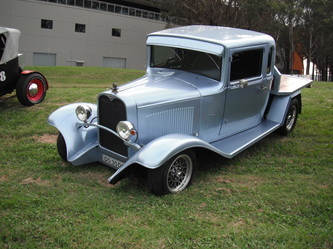 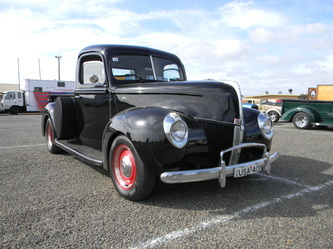 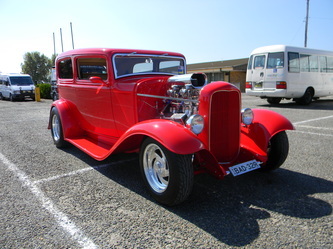 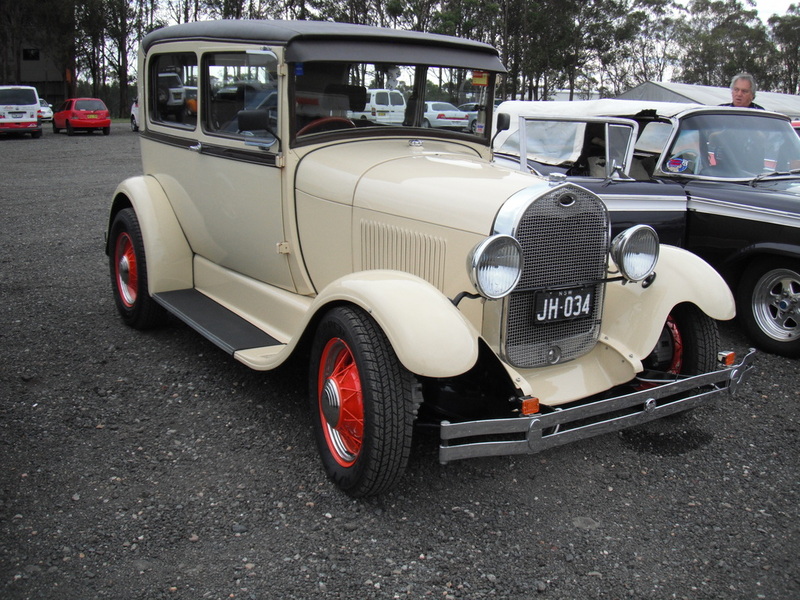 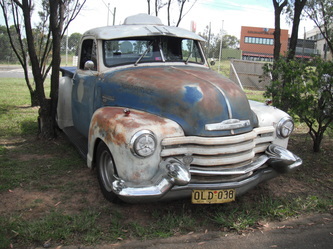 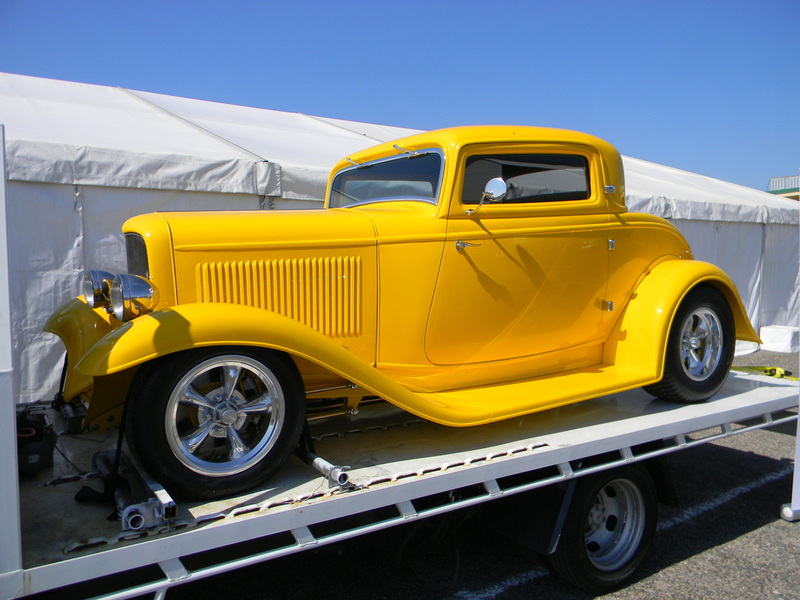 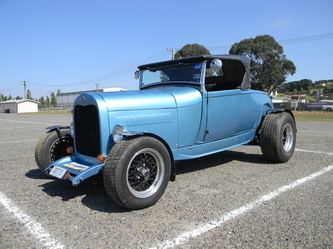 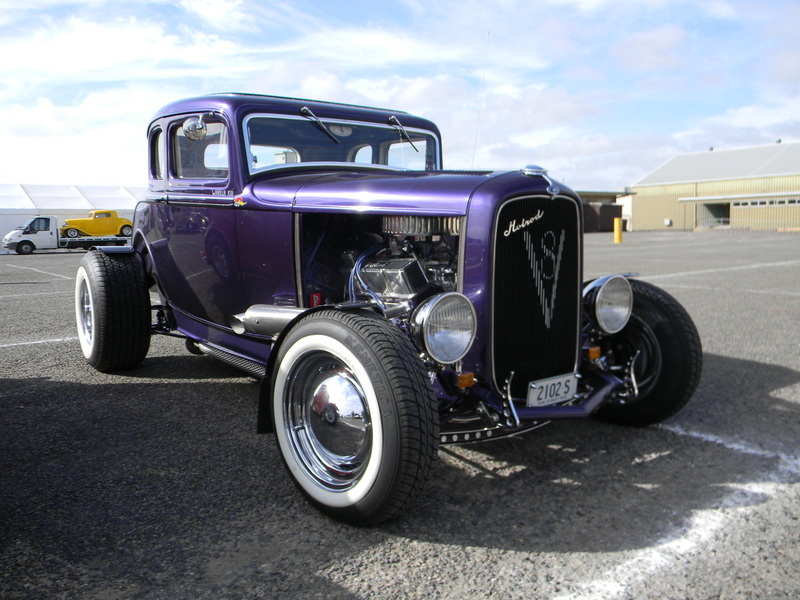 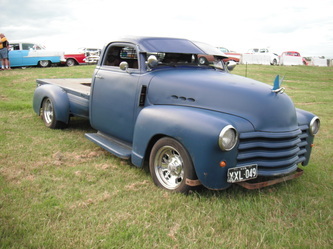 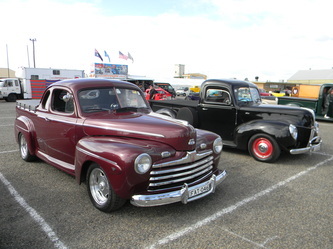 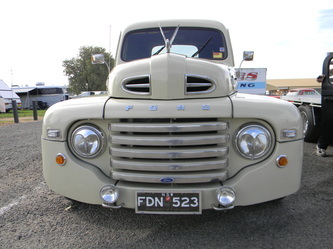 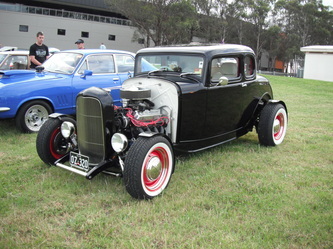 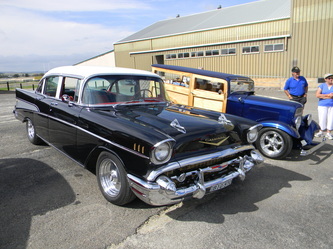 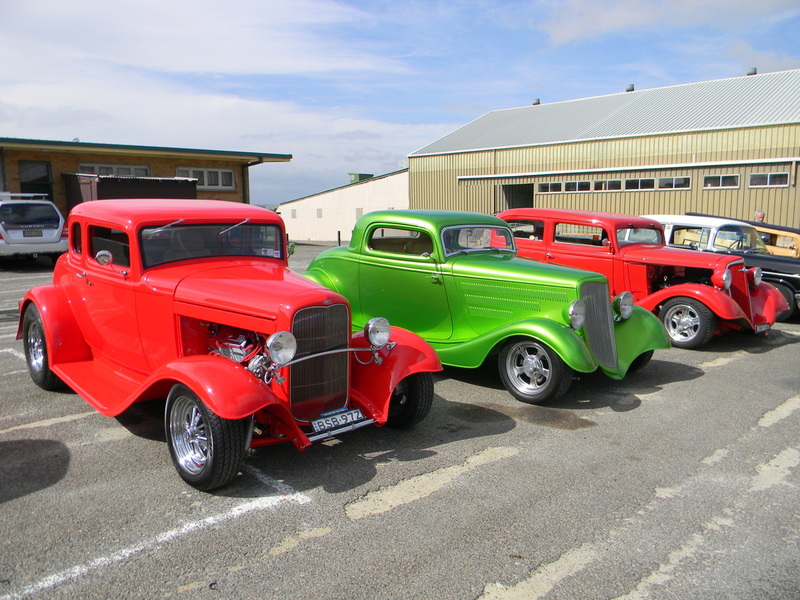 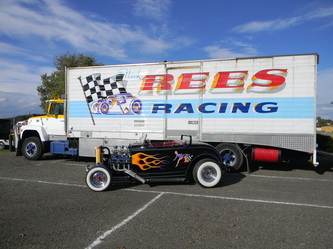 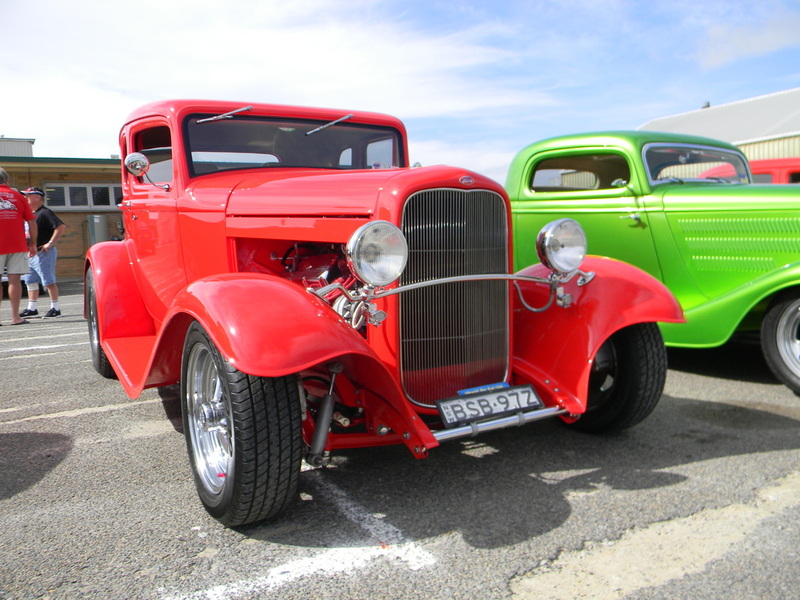 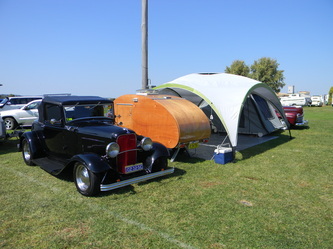 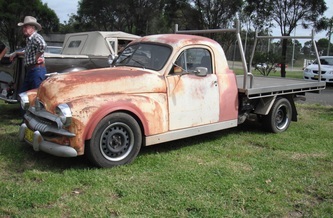 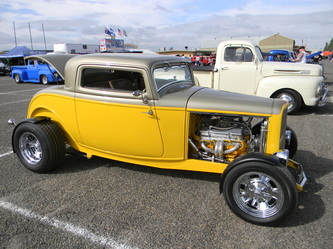 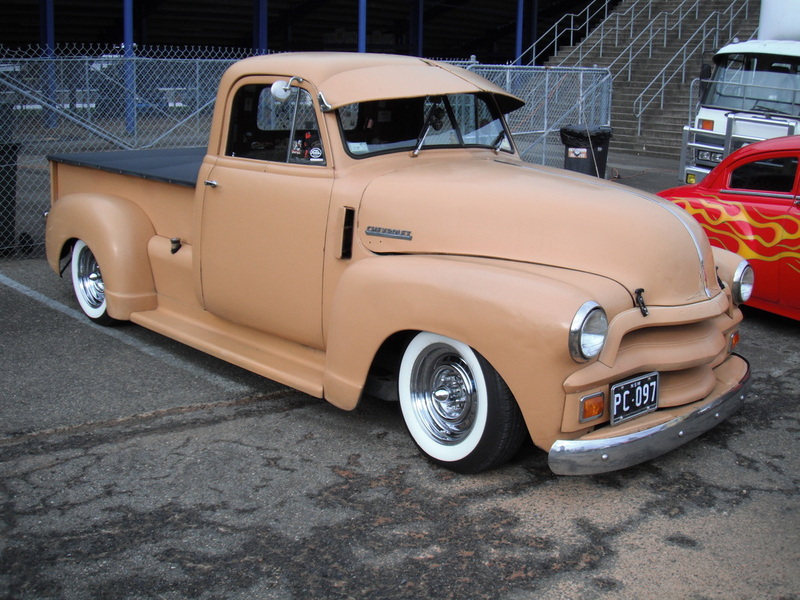 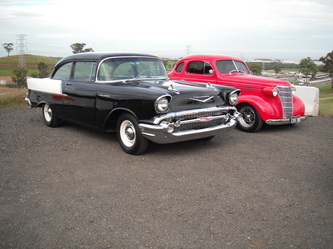 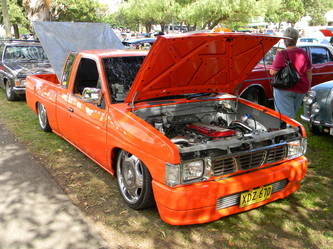 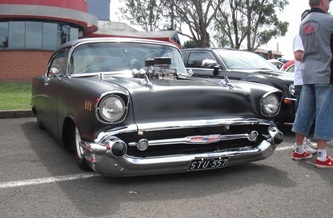 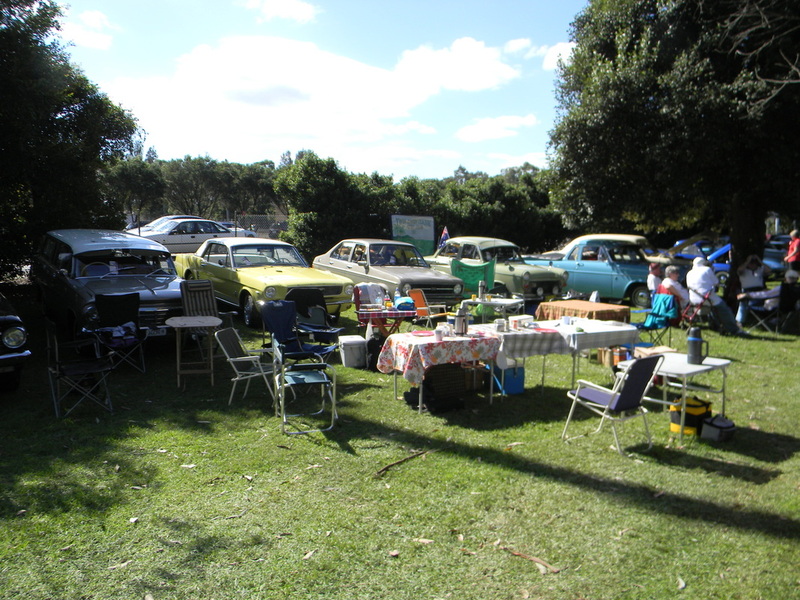 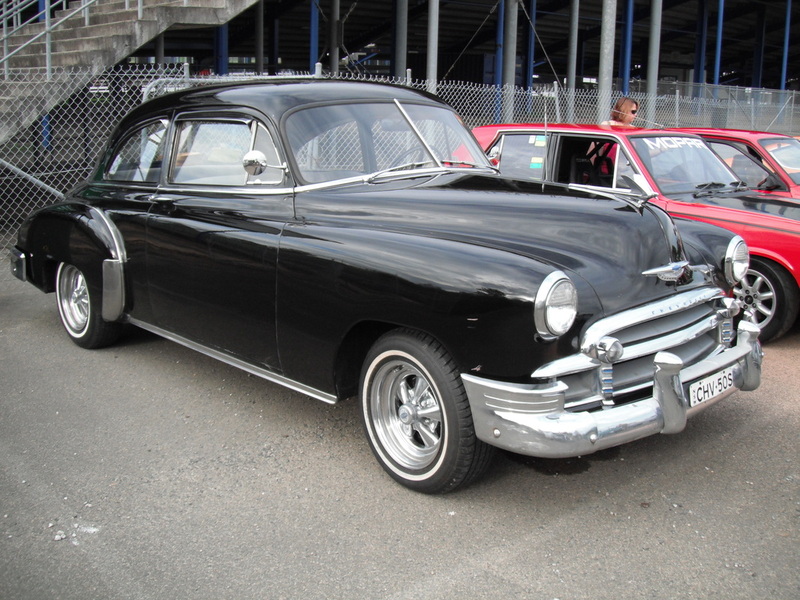 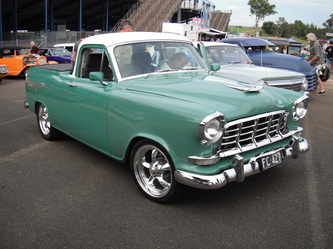 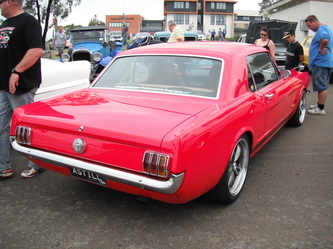 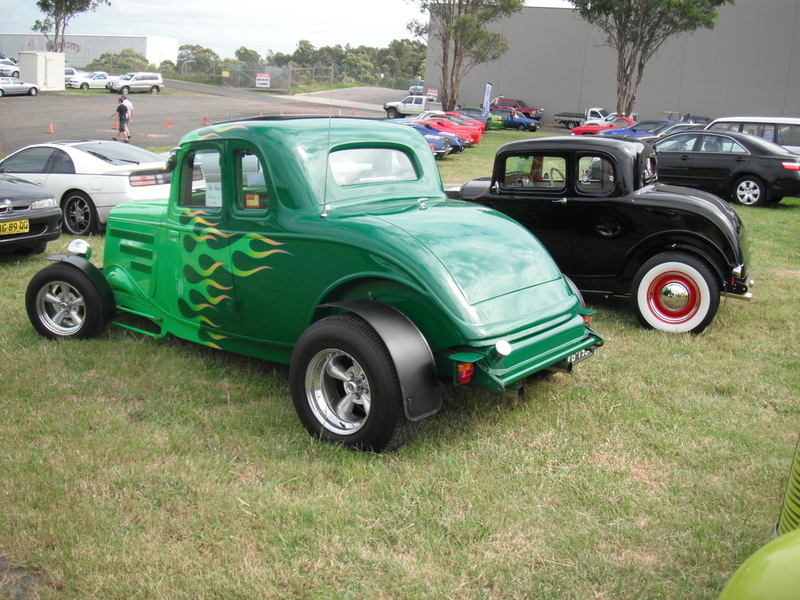 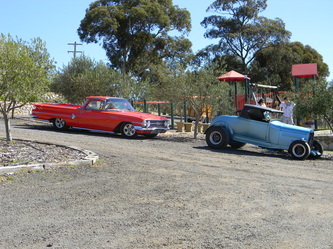 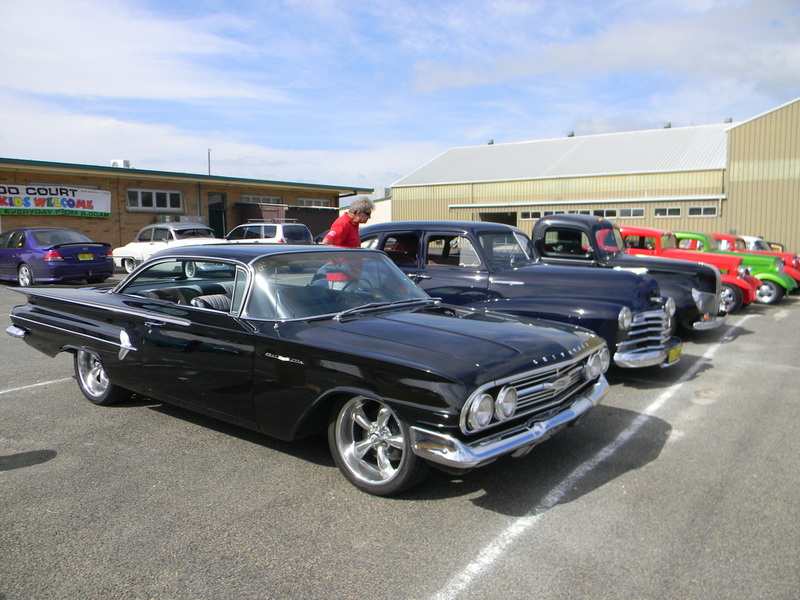 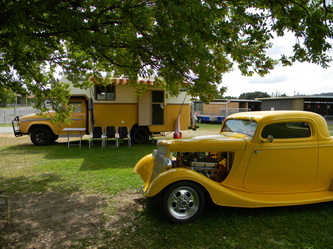 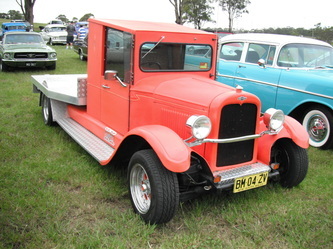 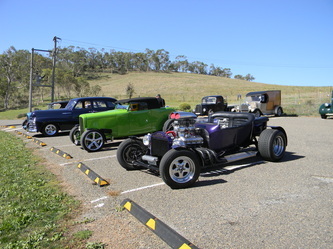 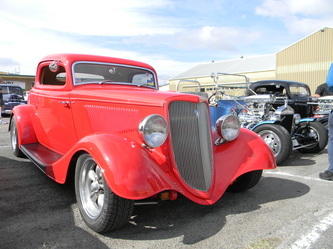 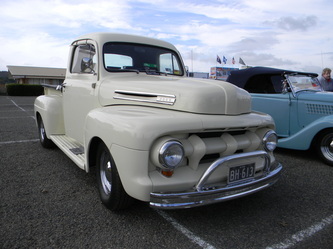 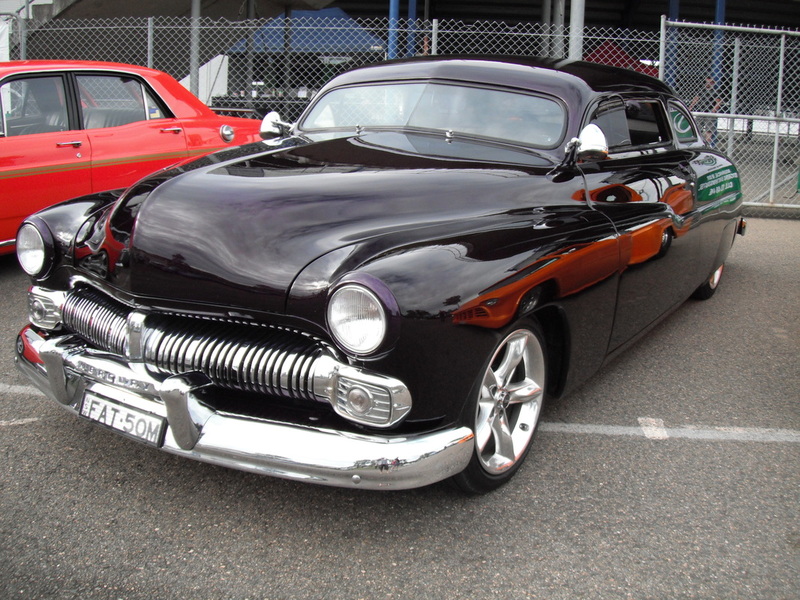 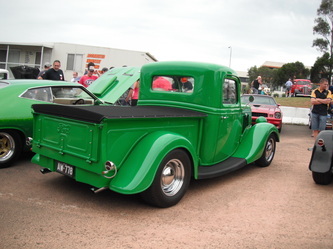 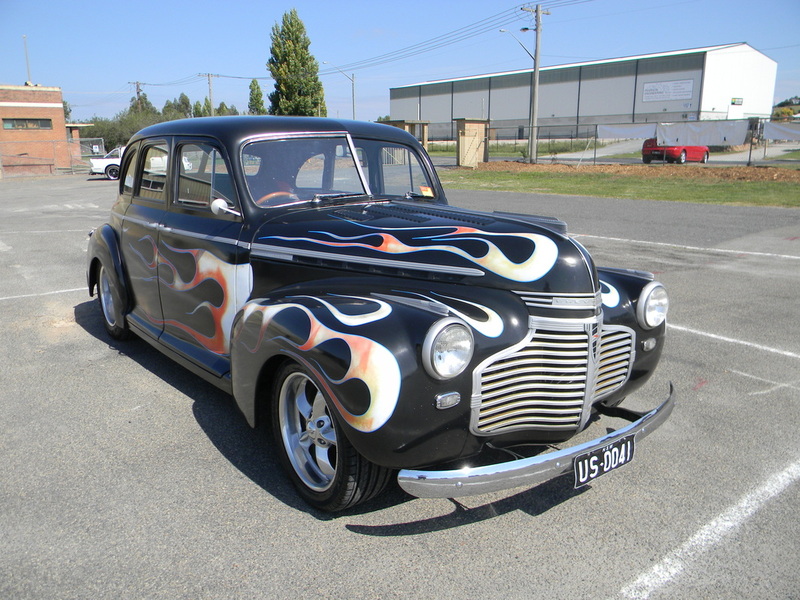 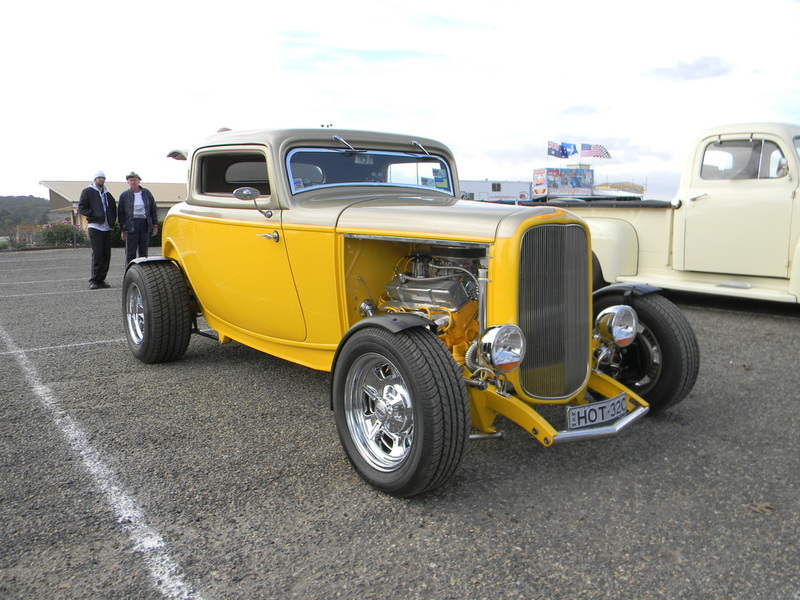 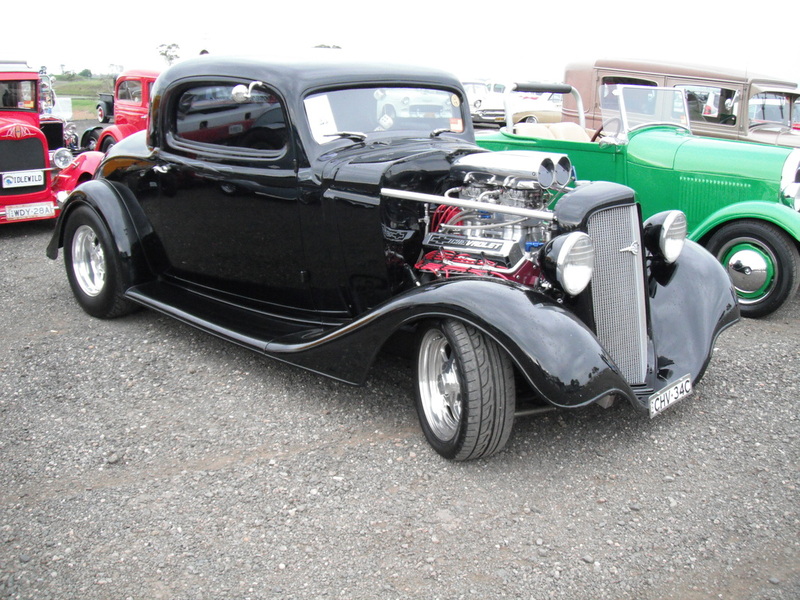 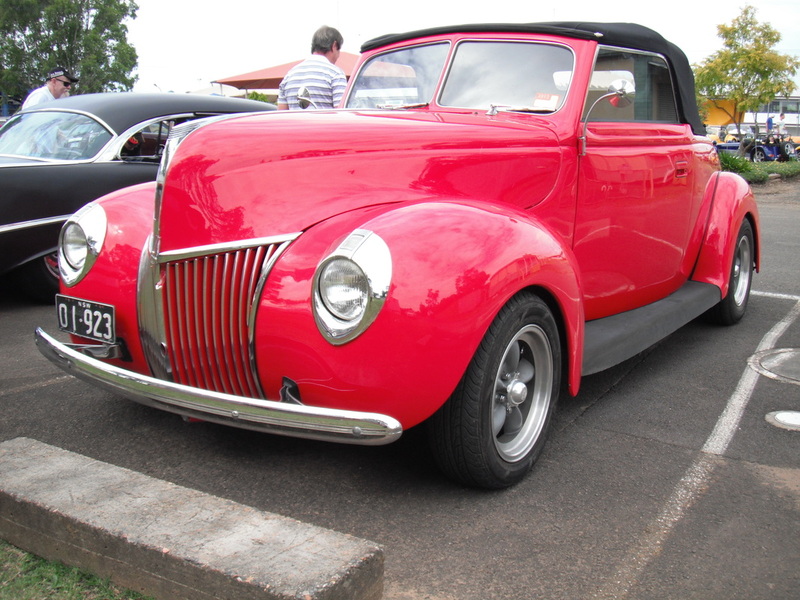 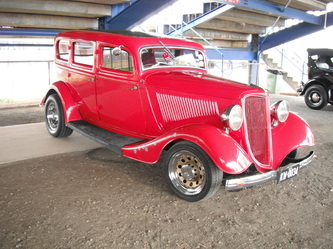 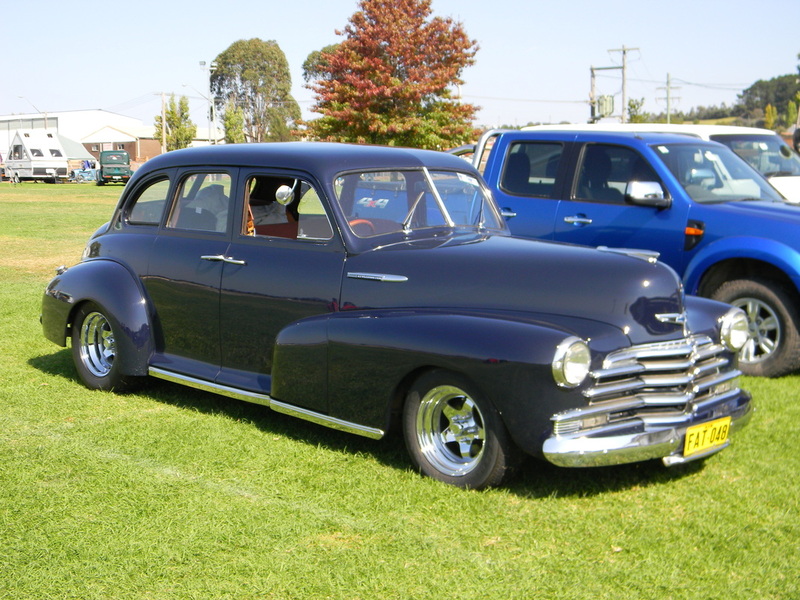 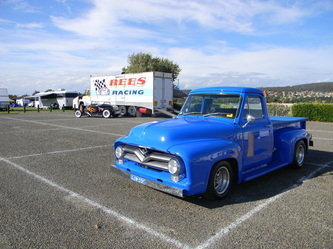 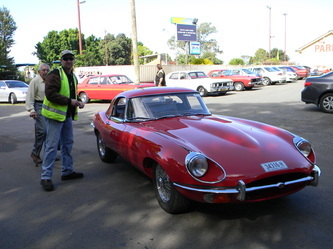 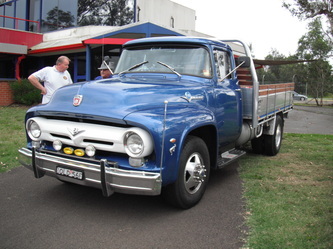 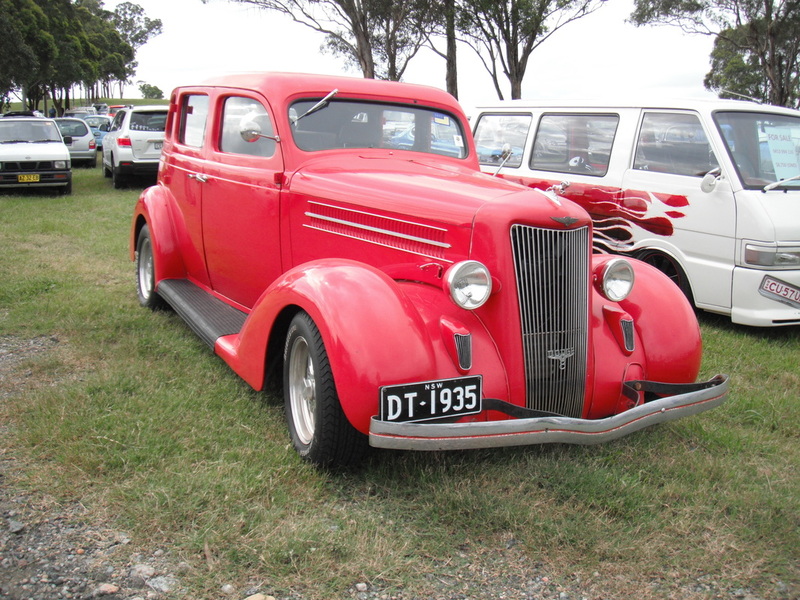 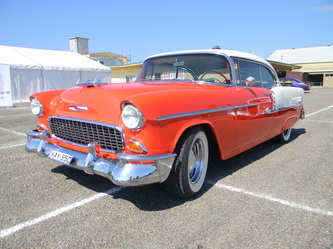 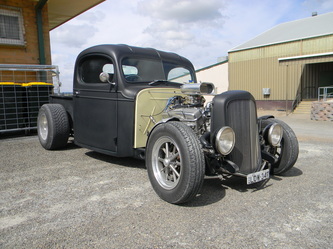 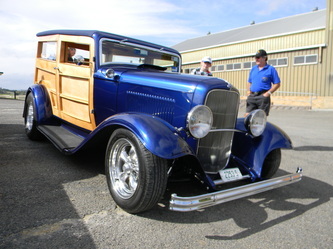 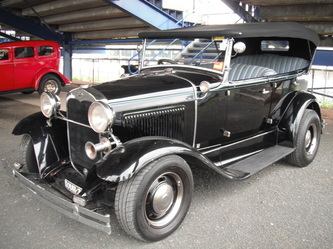 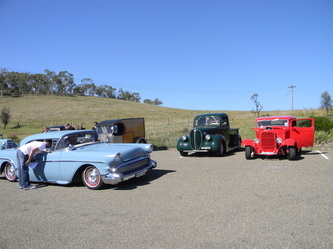 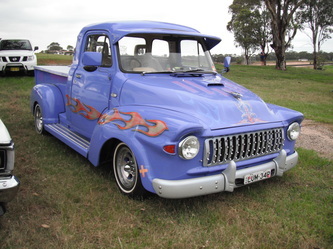 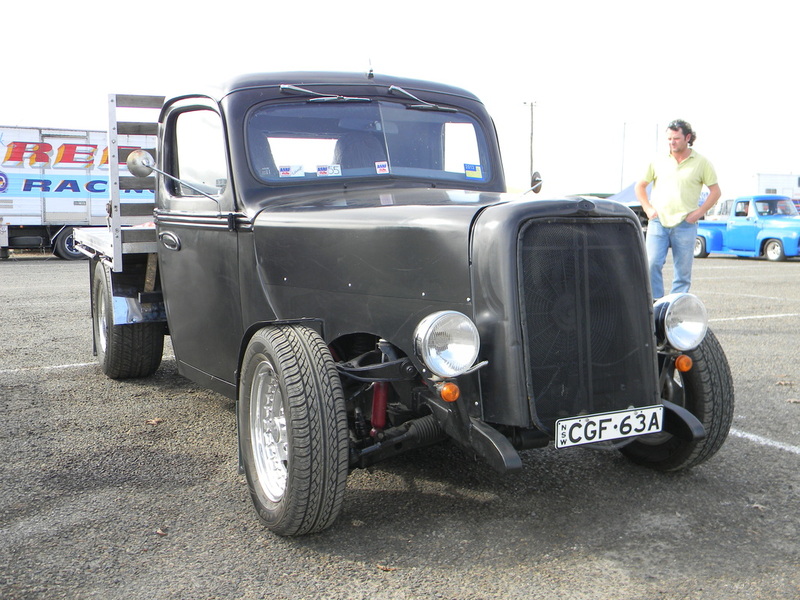 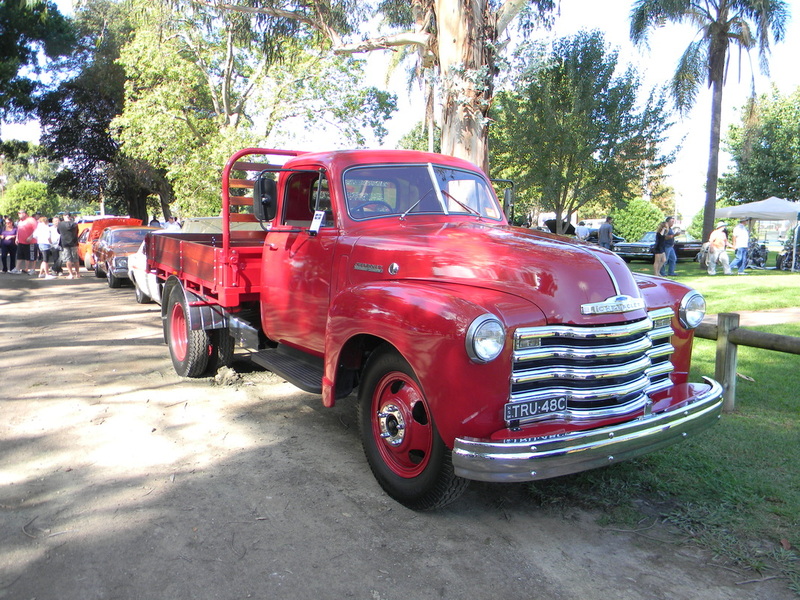 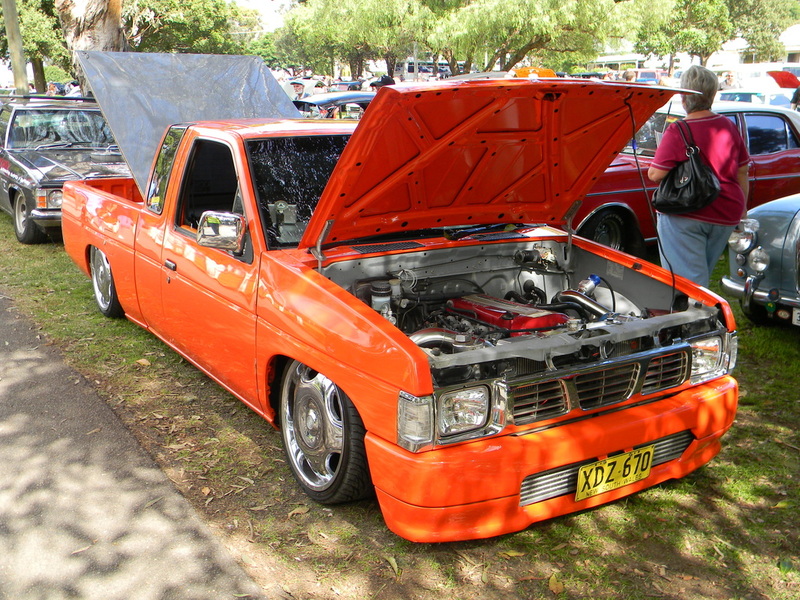 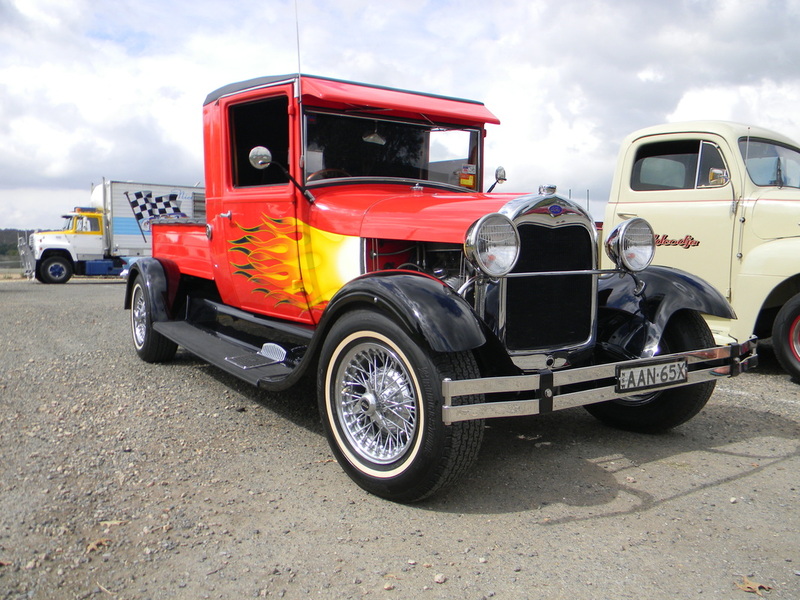 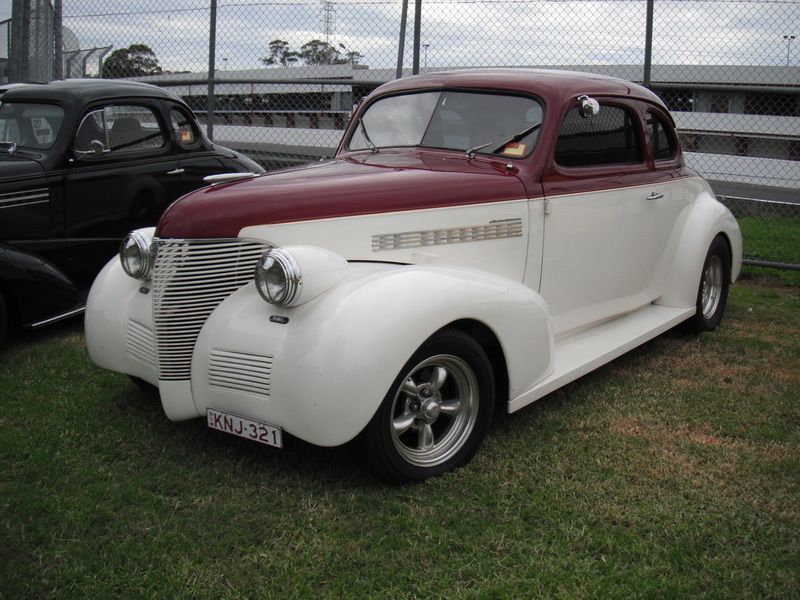 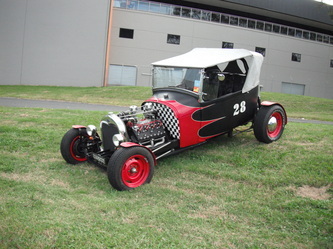 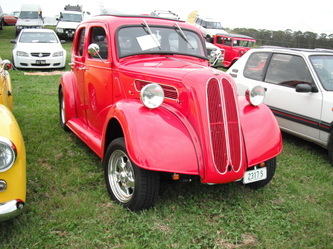 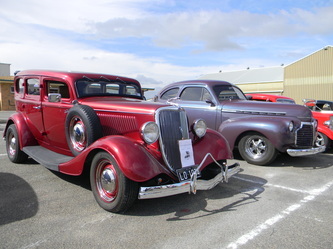 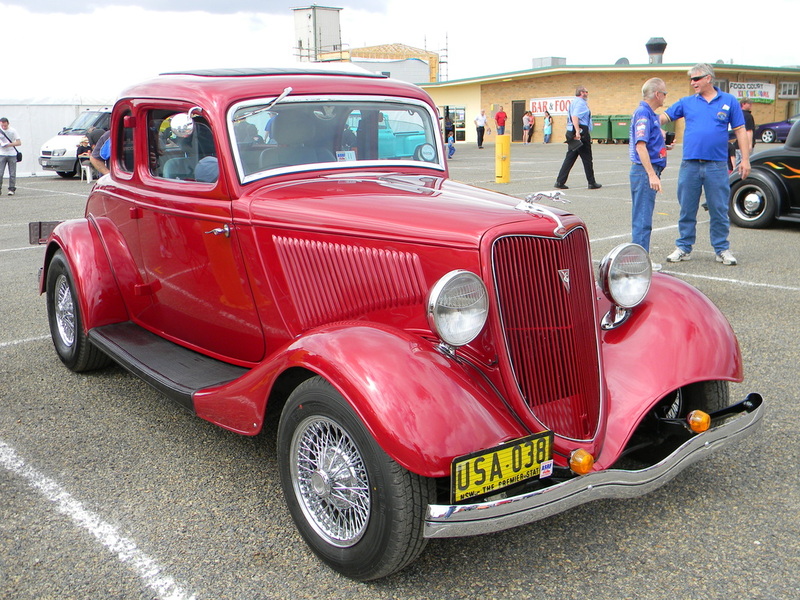 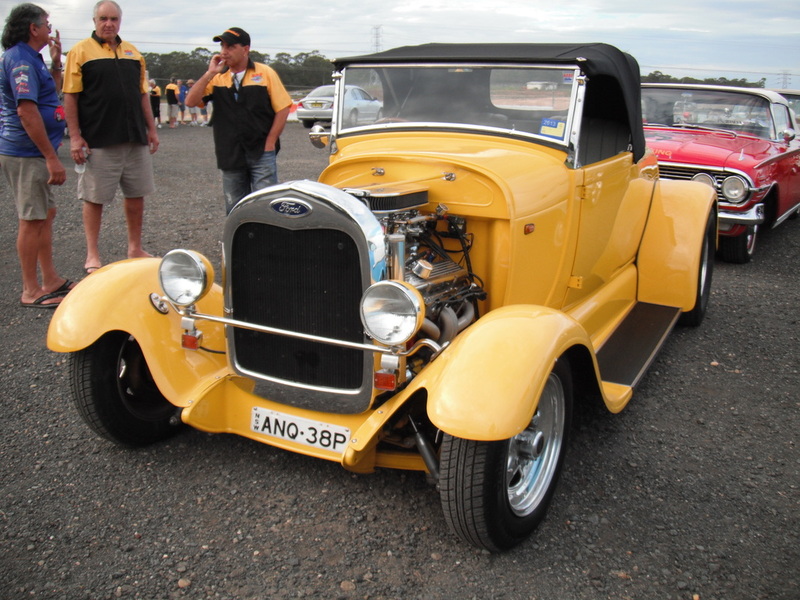 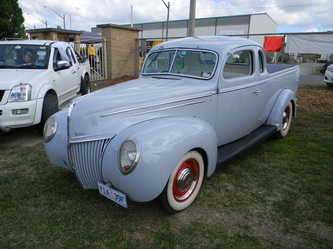 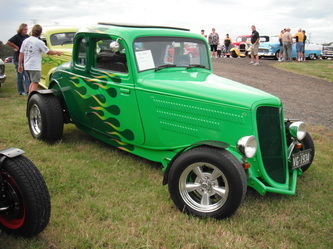 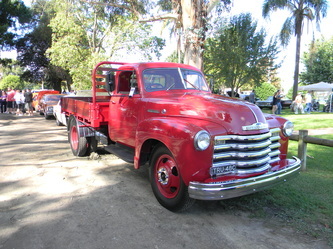 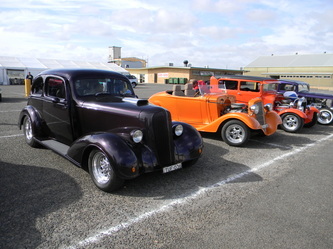 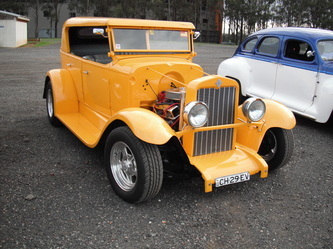 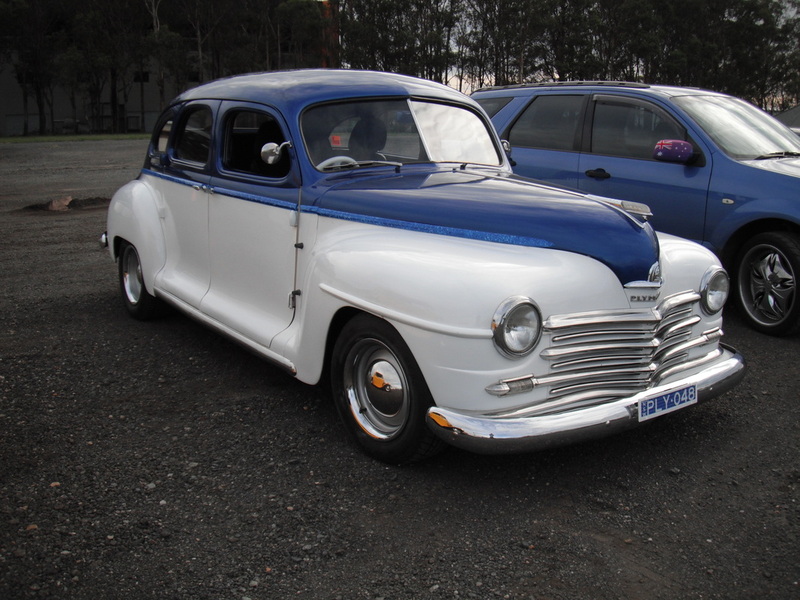 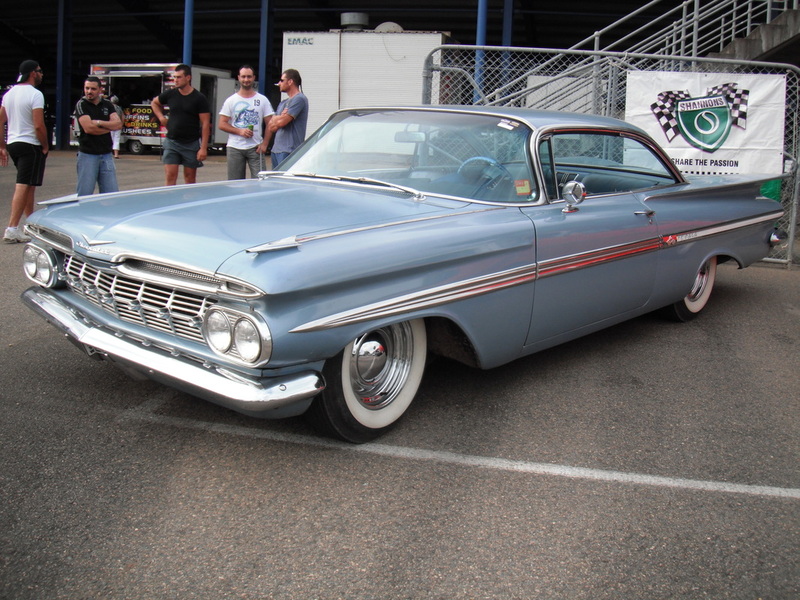 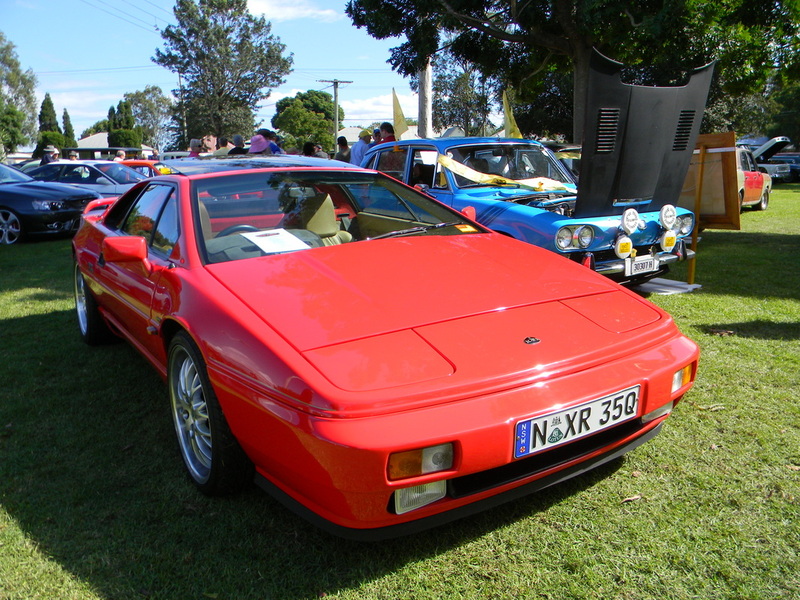 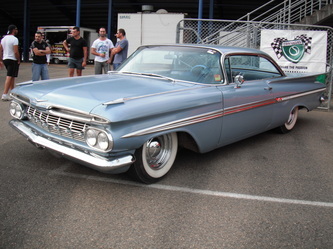 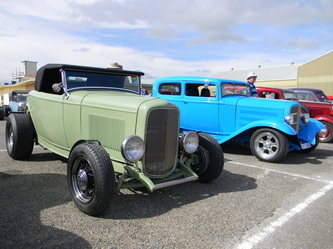 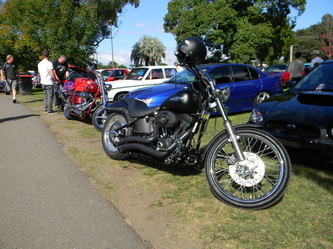 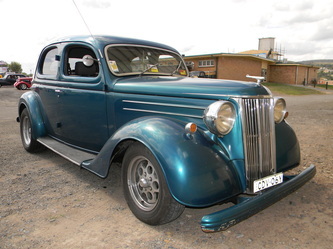 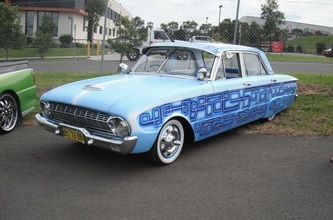 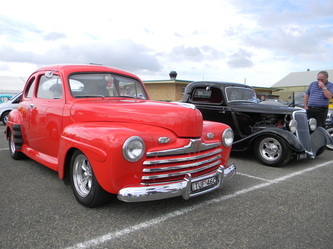 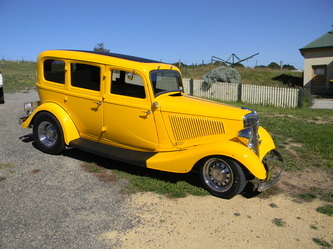 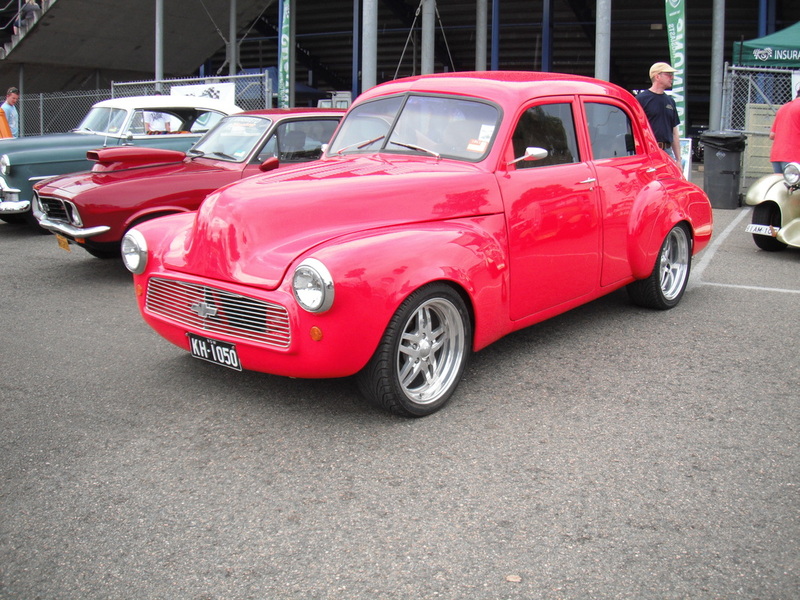 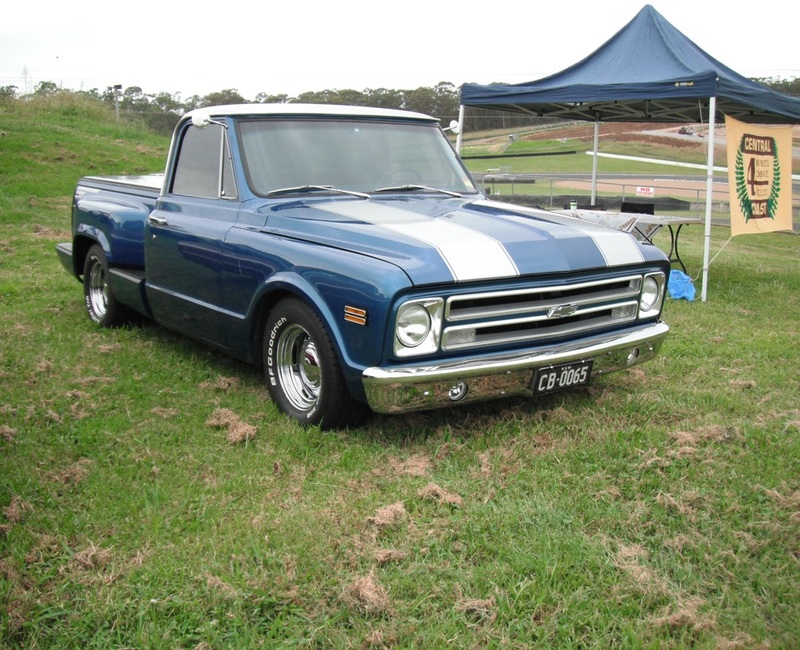 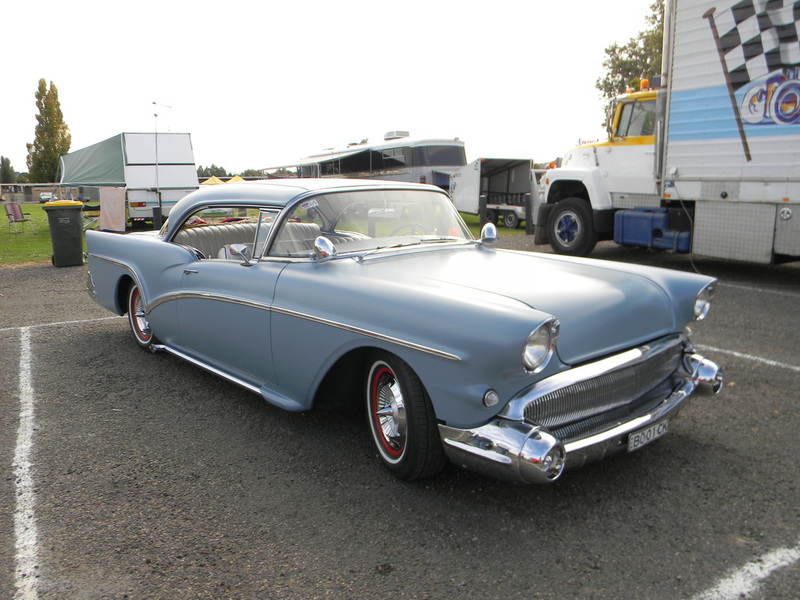 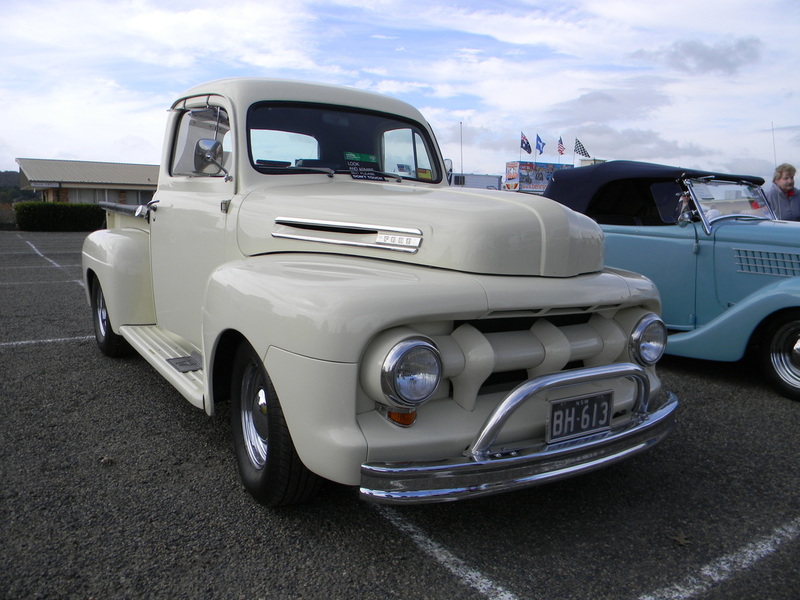 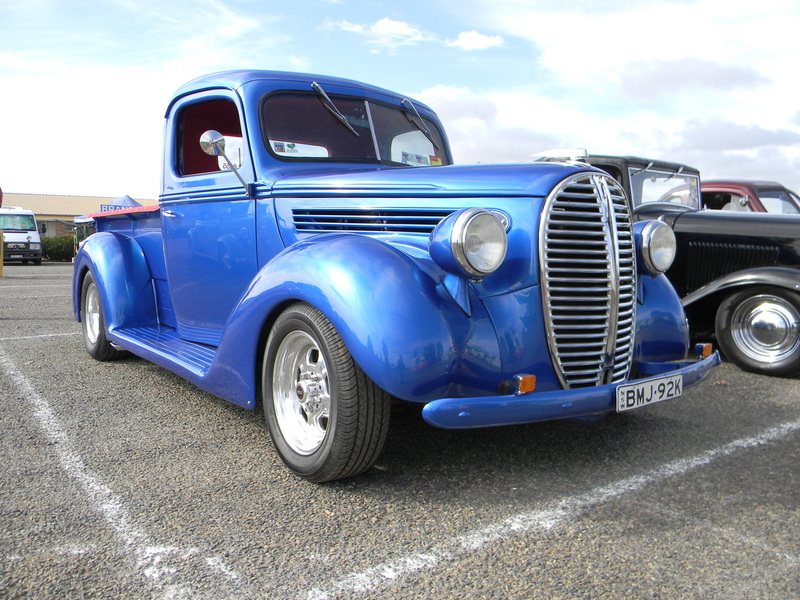 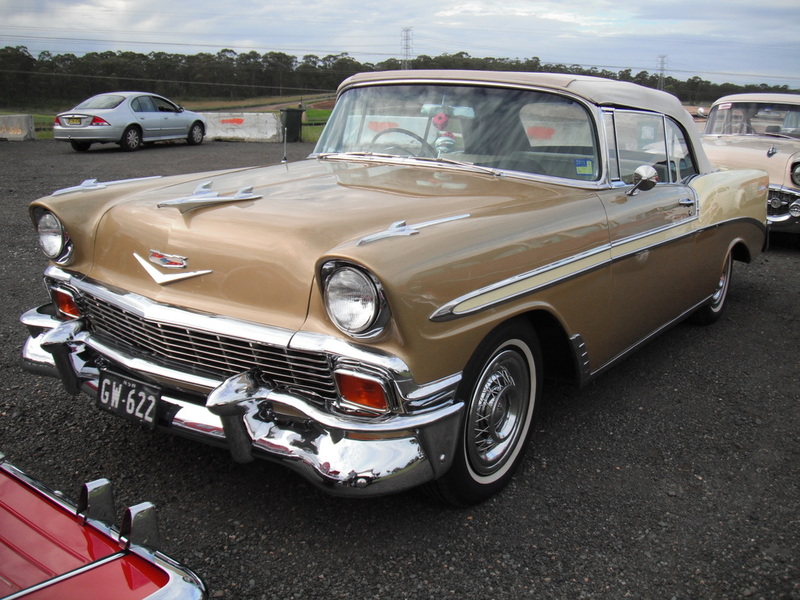 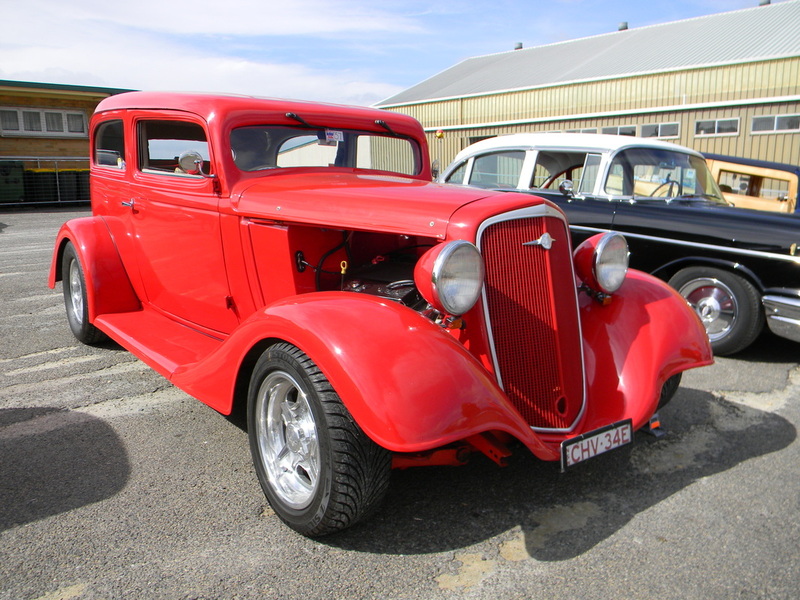 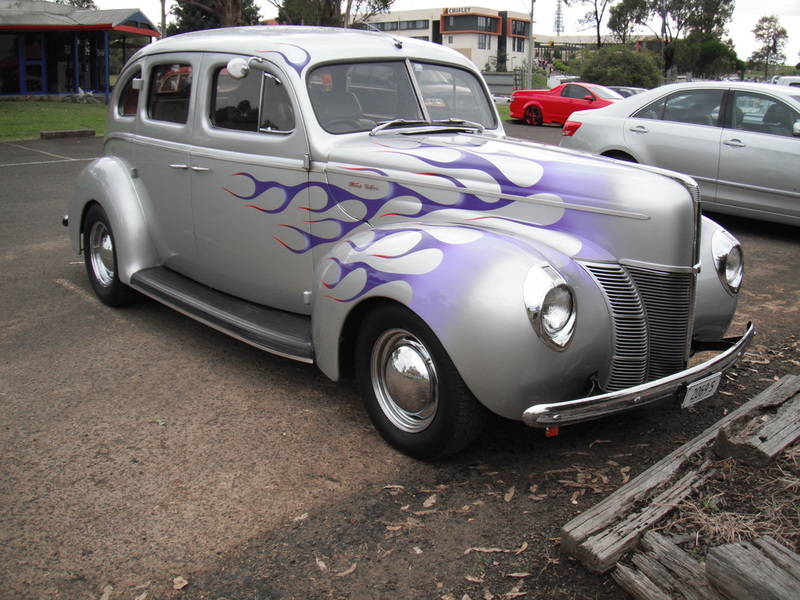 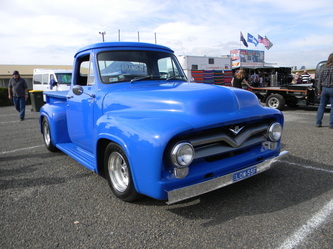 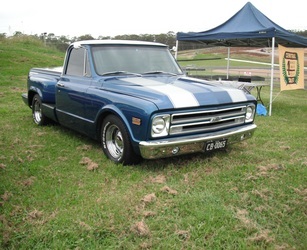 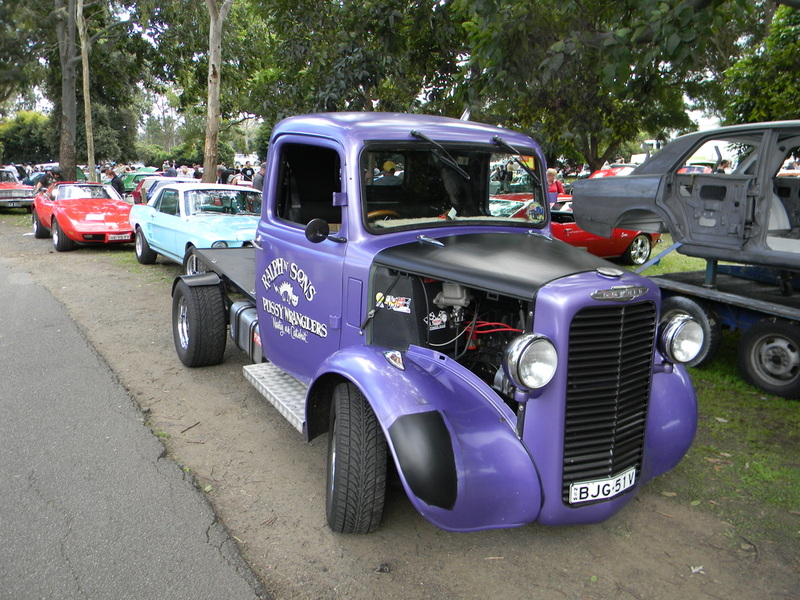 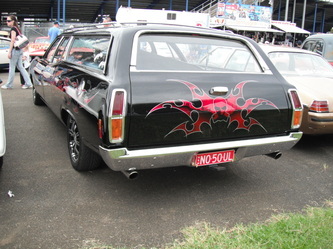 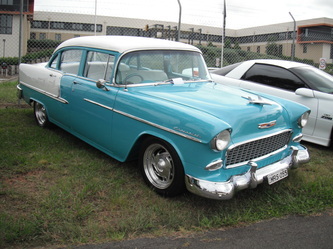 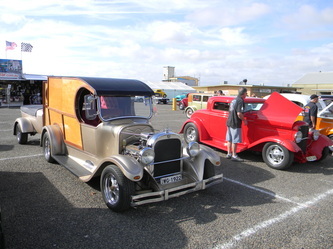 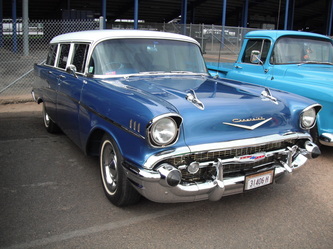 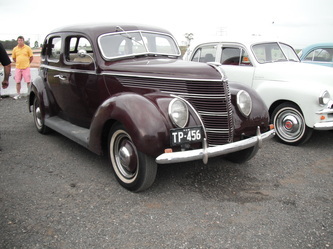 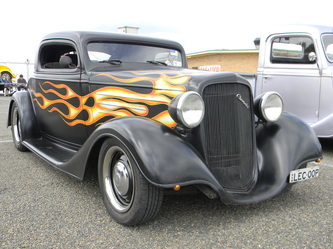 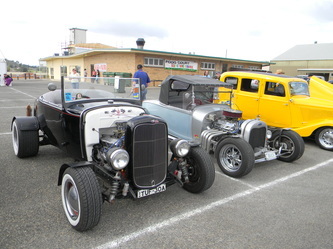 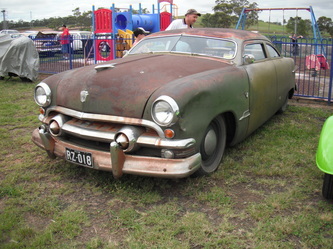 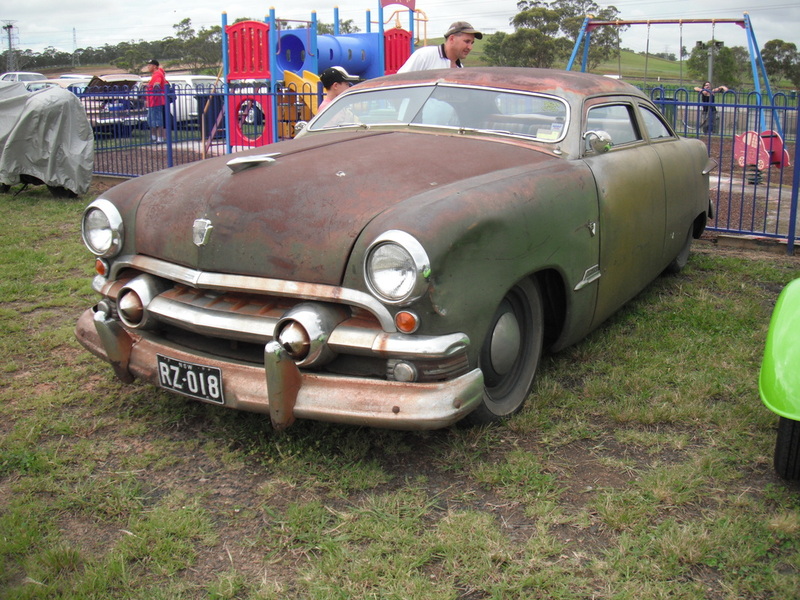 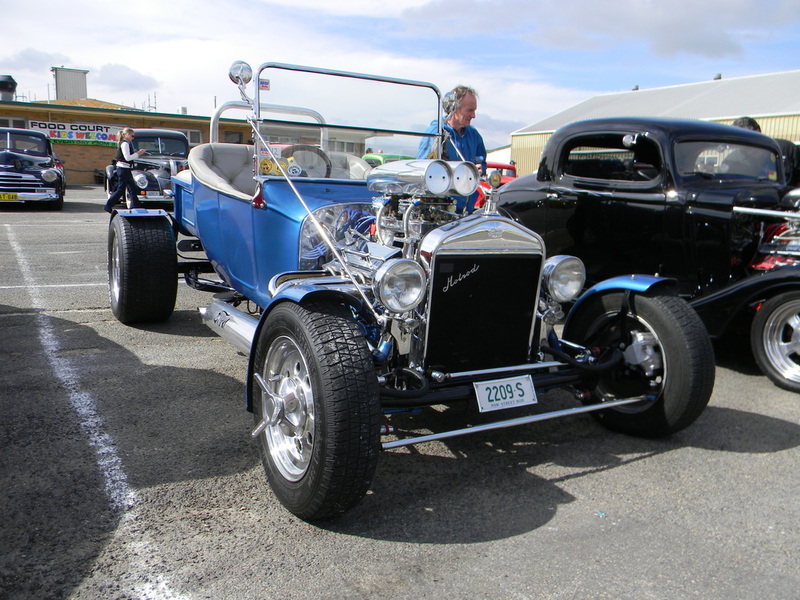 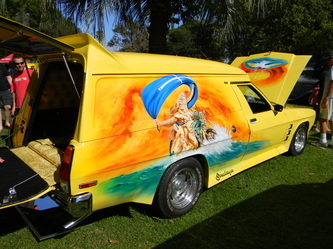 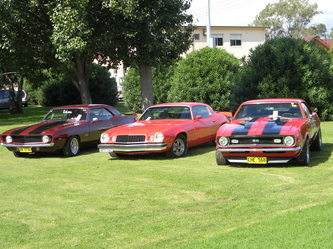 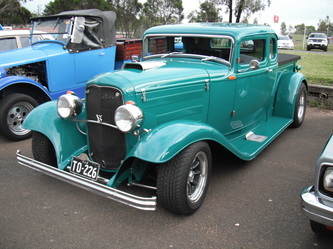 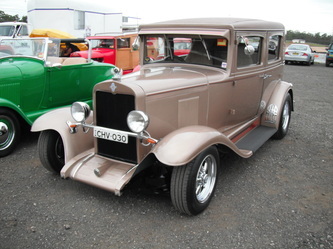 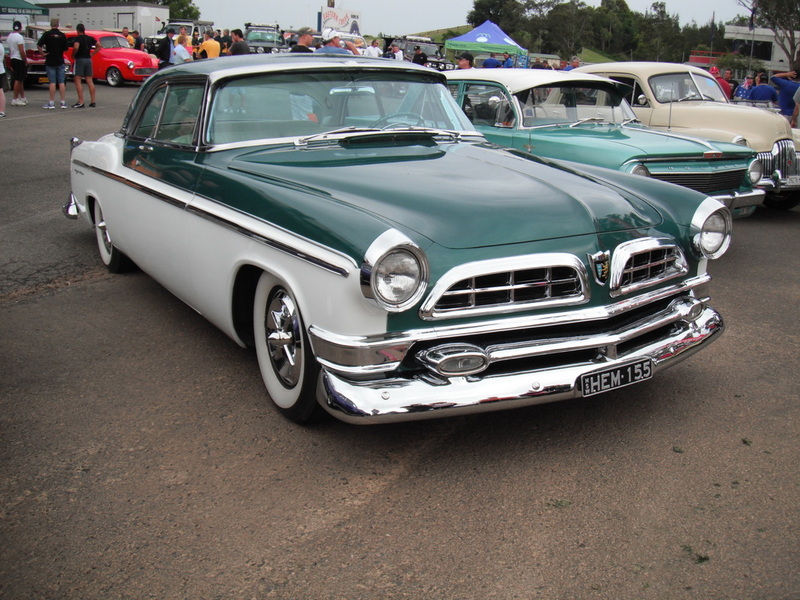 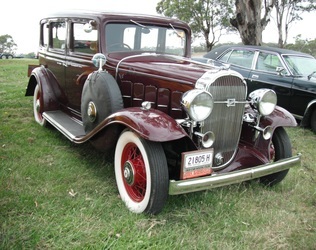 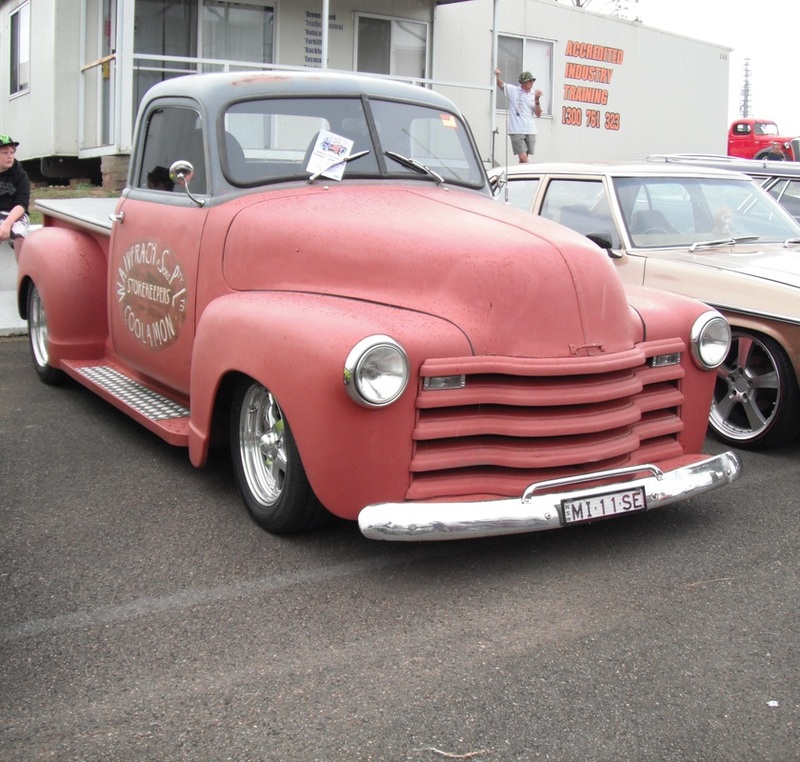 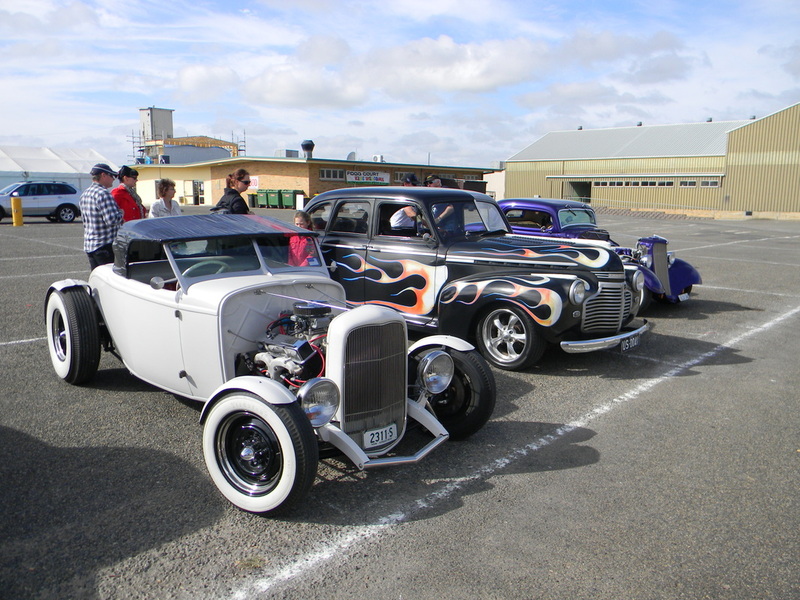 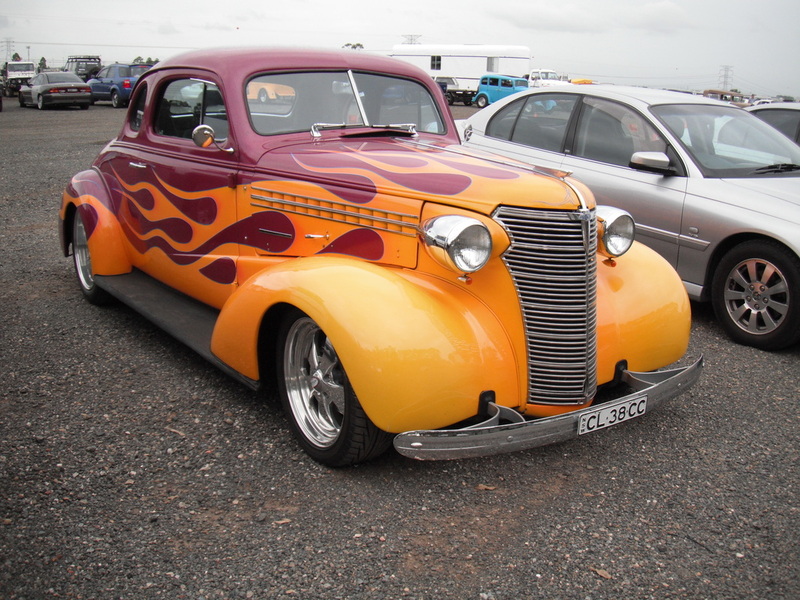 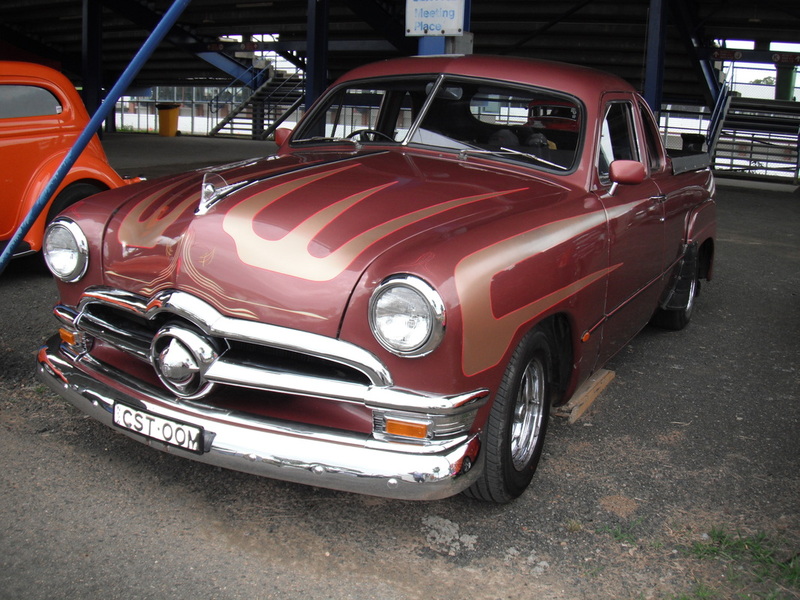 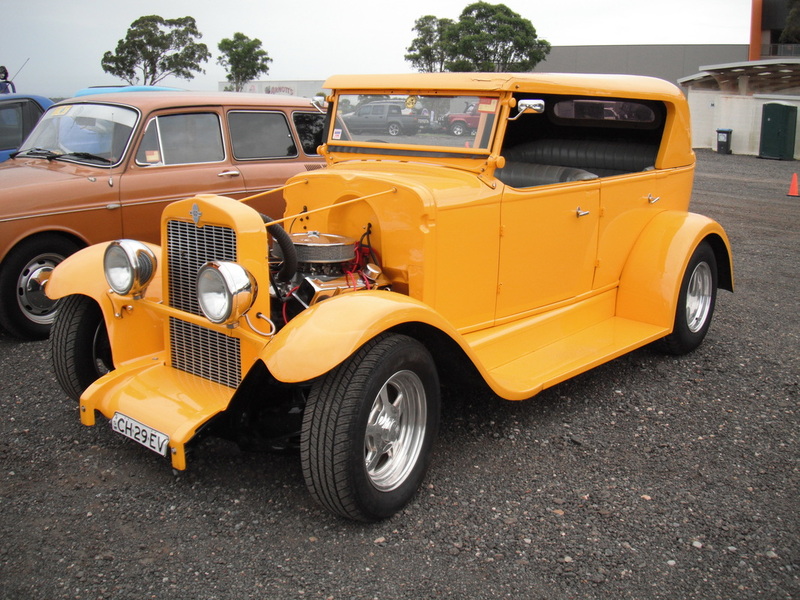 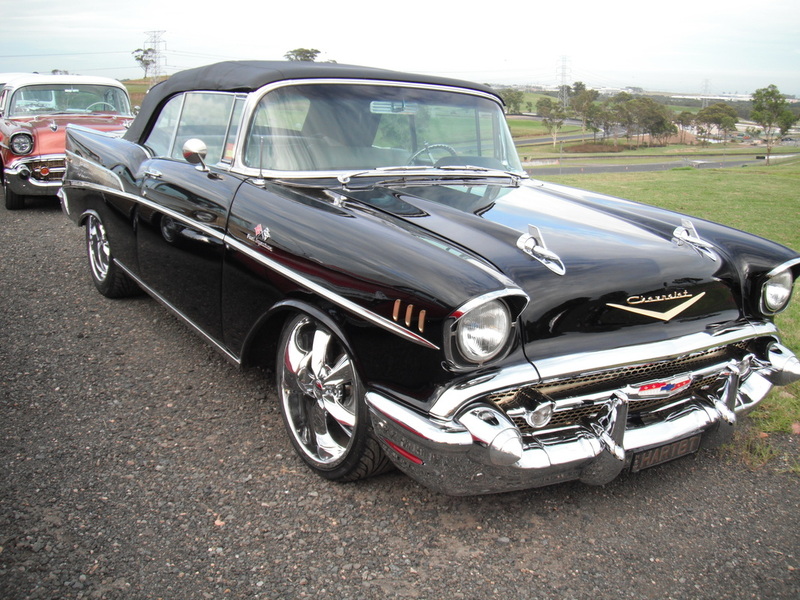 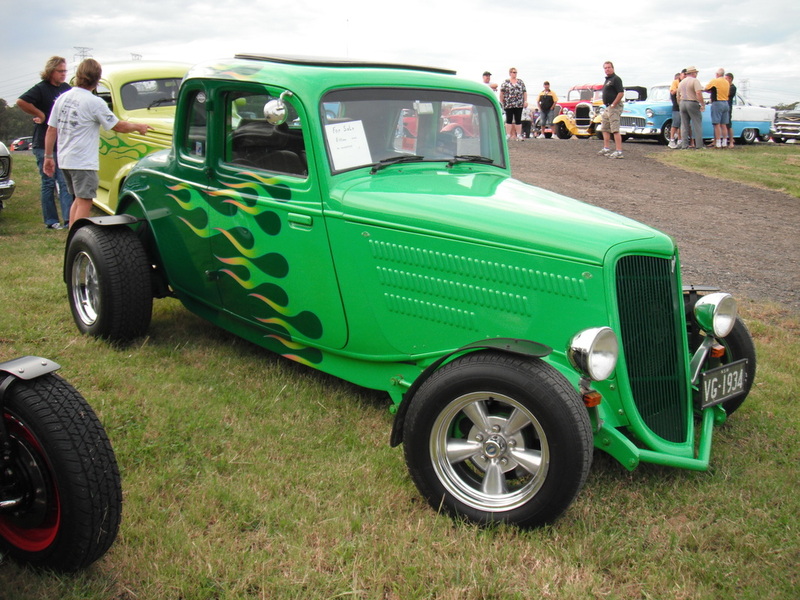 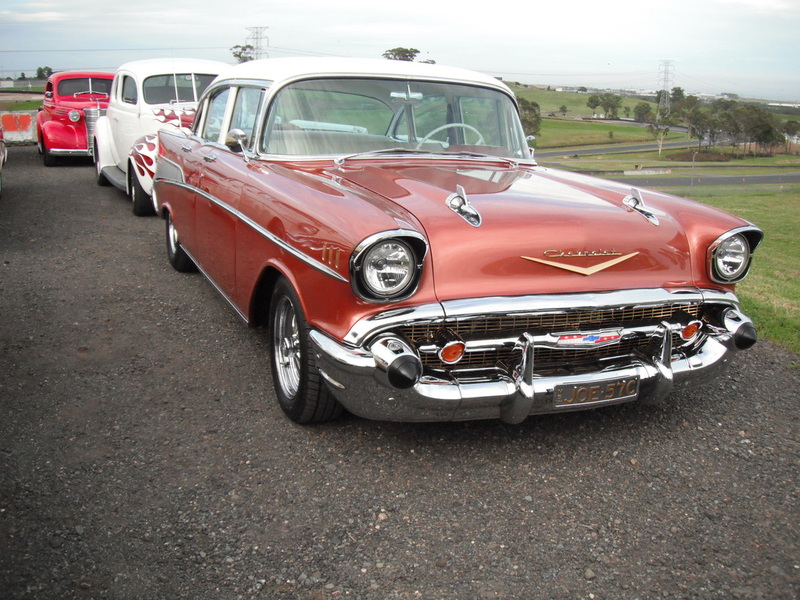 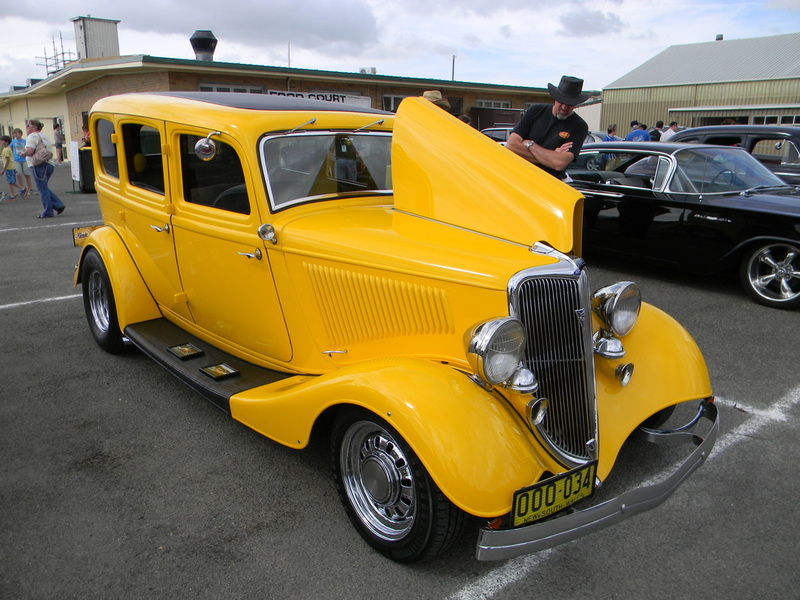 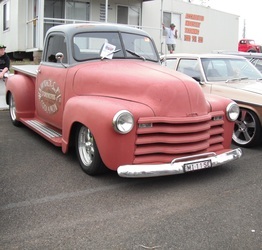 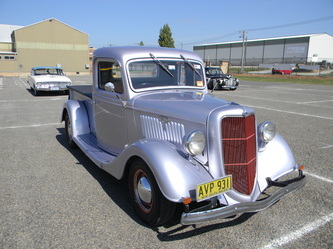 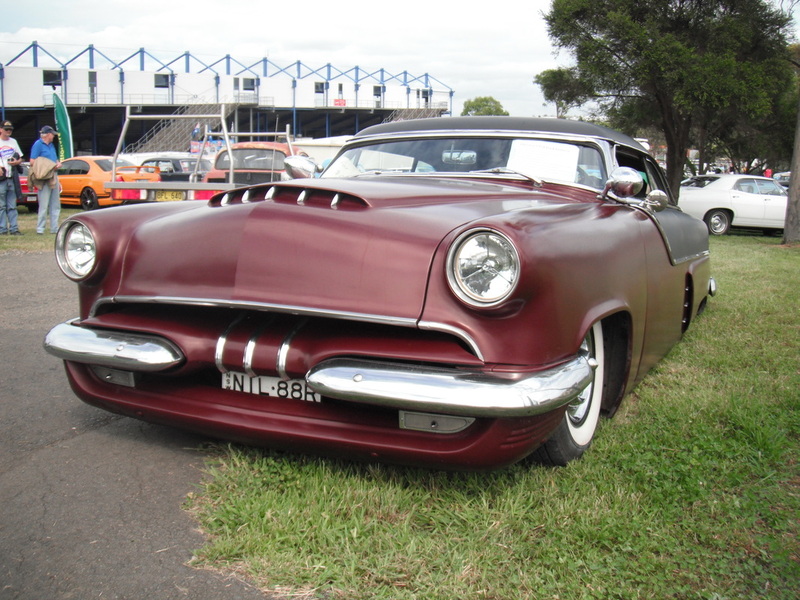 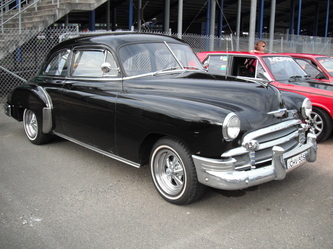 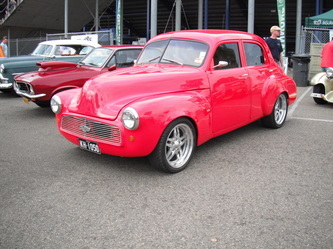 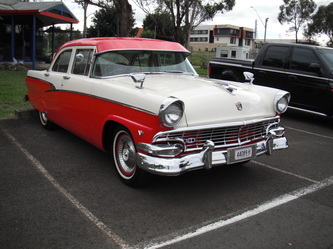 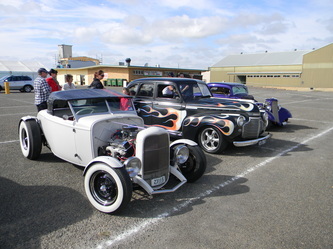 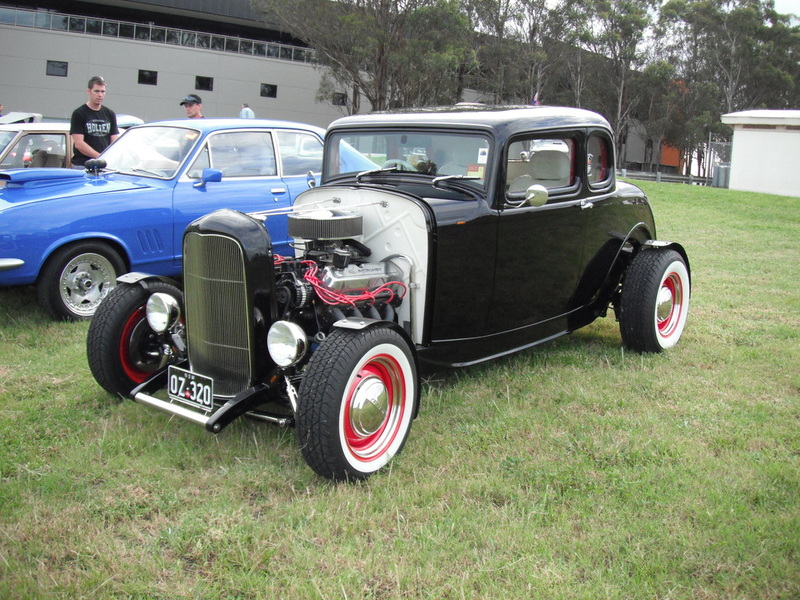 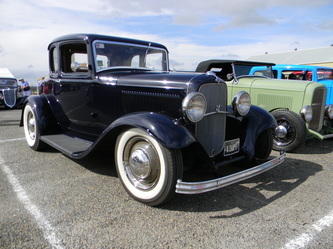 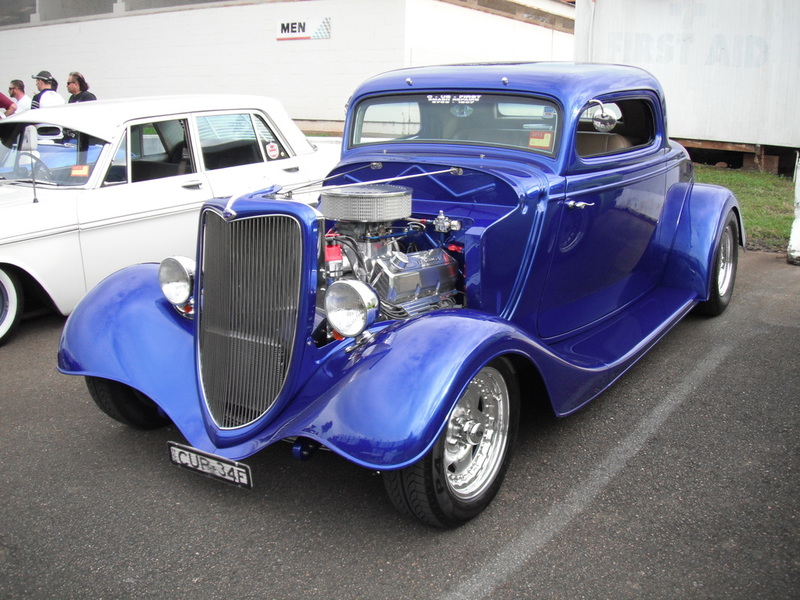 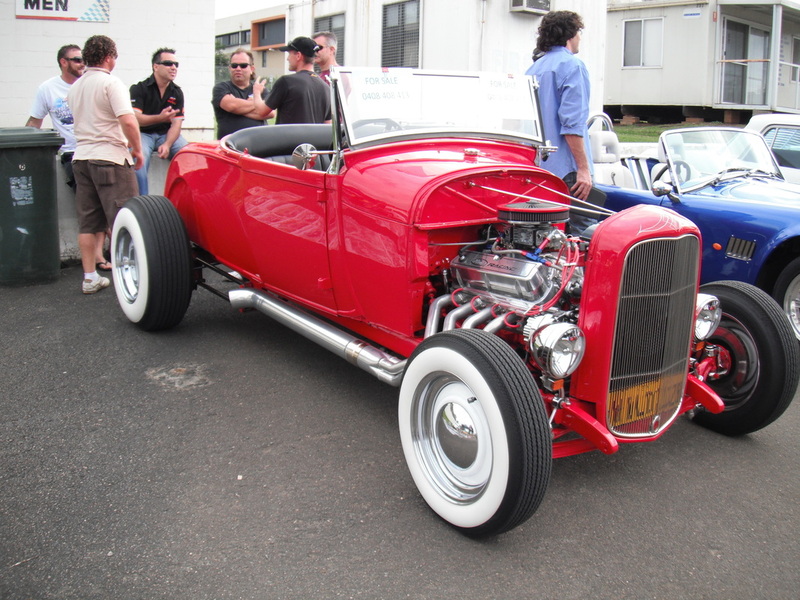 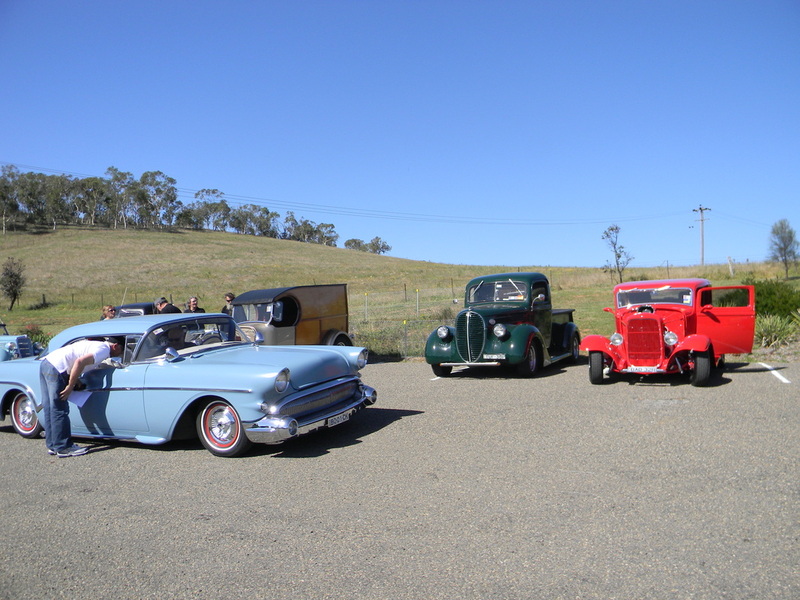 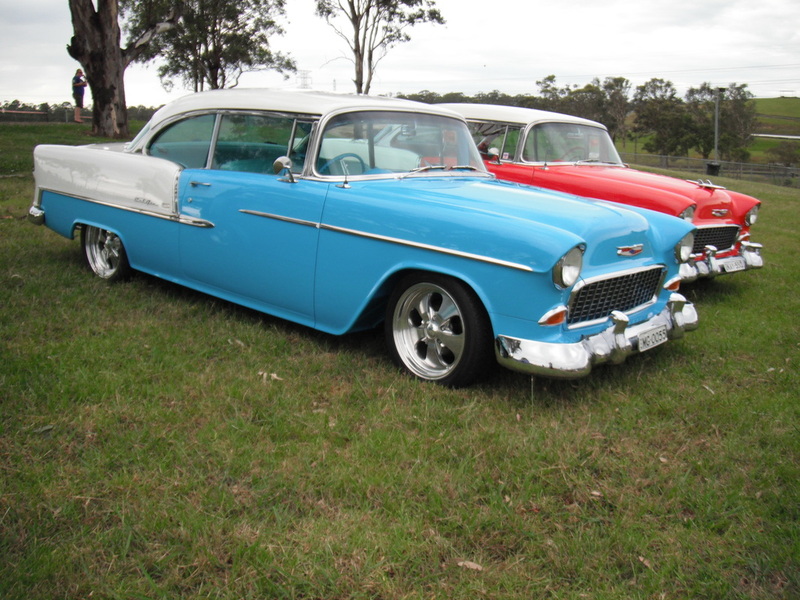 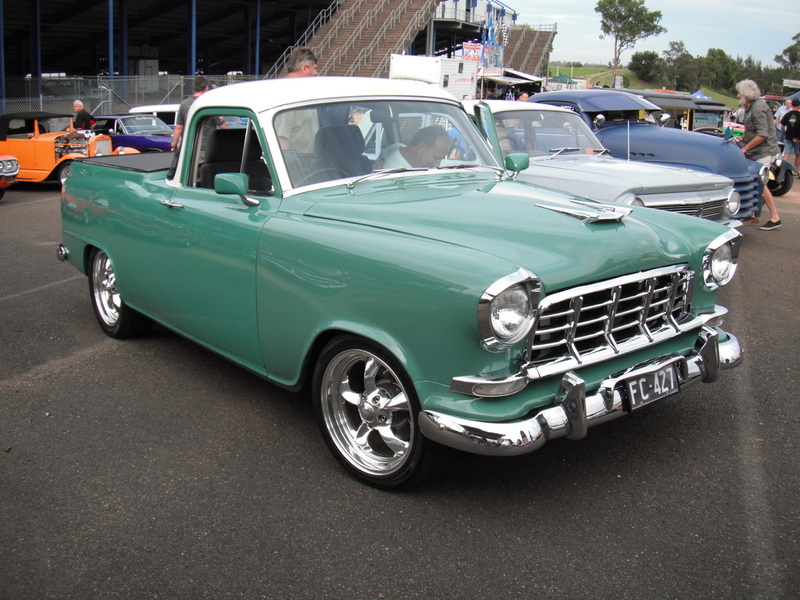 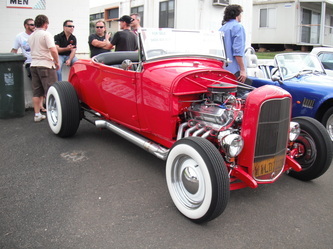 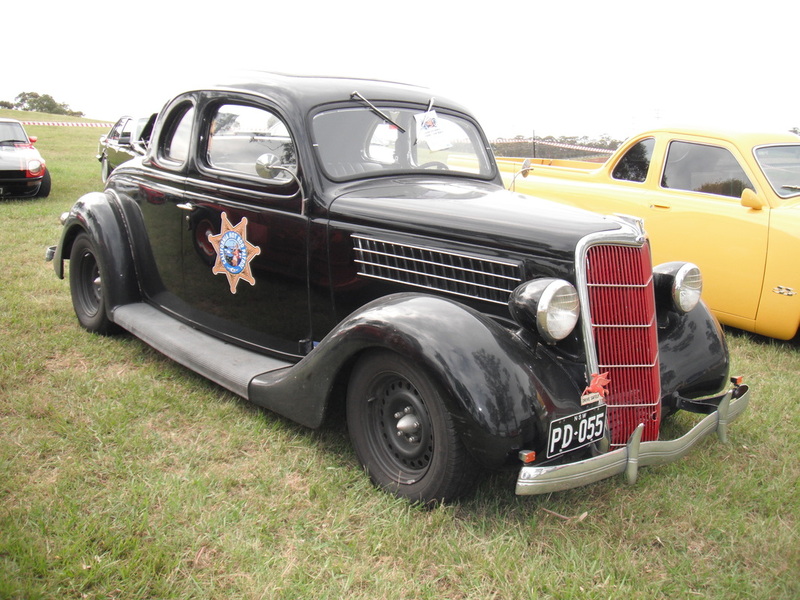 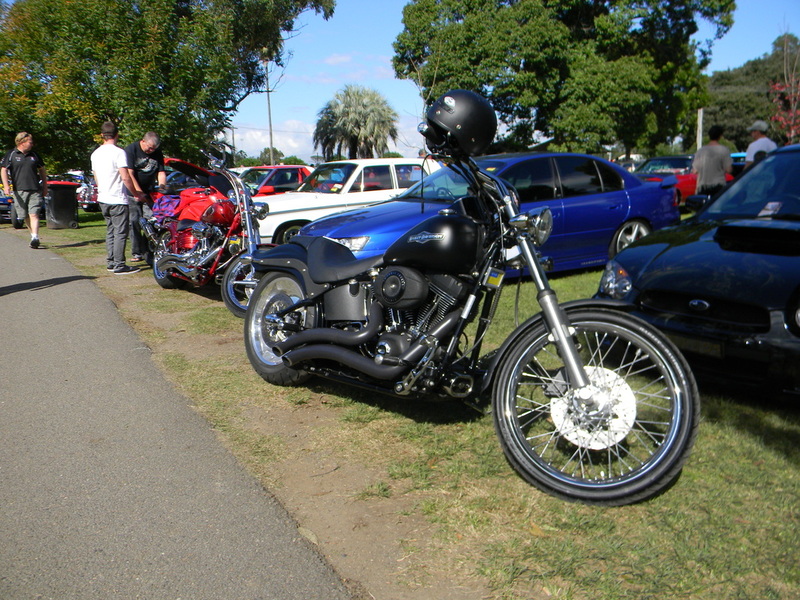 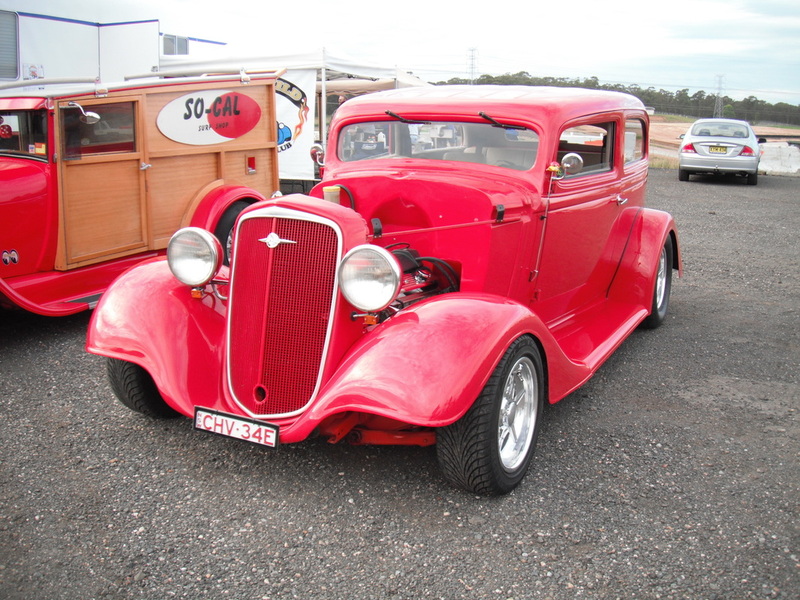 There was plenty to do with observation runs, show and shine, markets and a great meal at the presentation dinner. 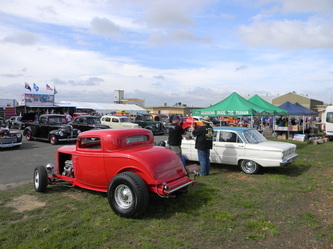 Thanks to the ASRF and all who assisted with making this run a great time for all entrants. 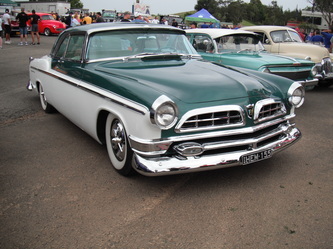 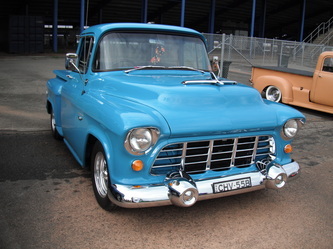 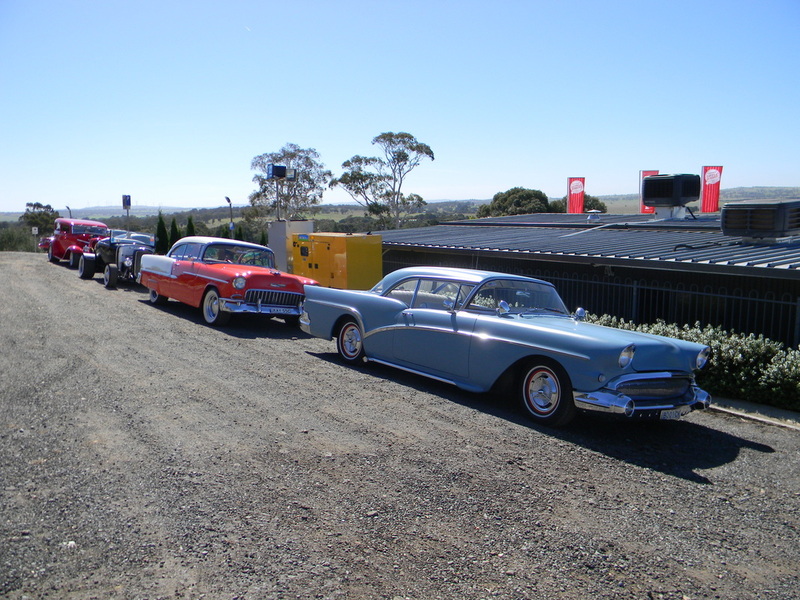 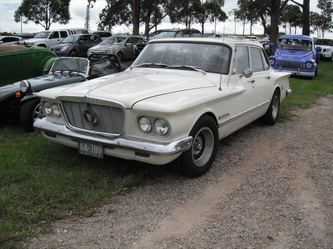 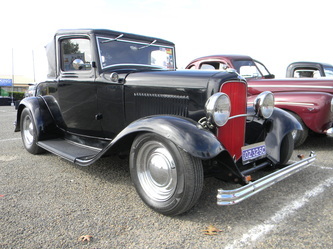 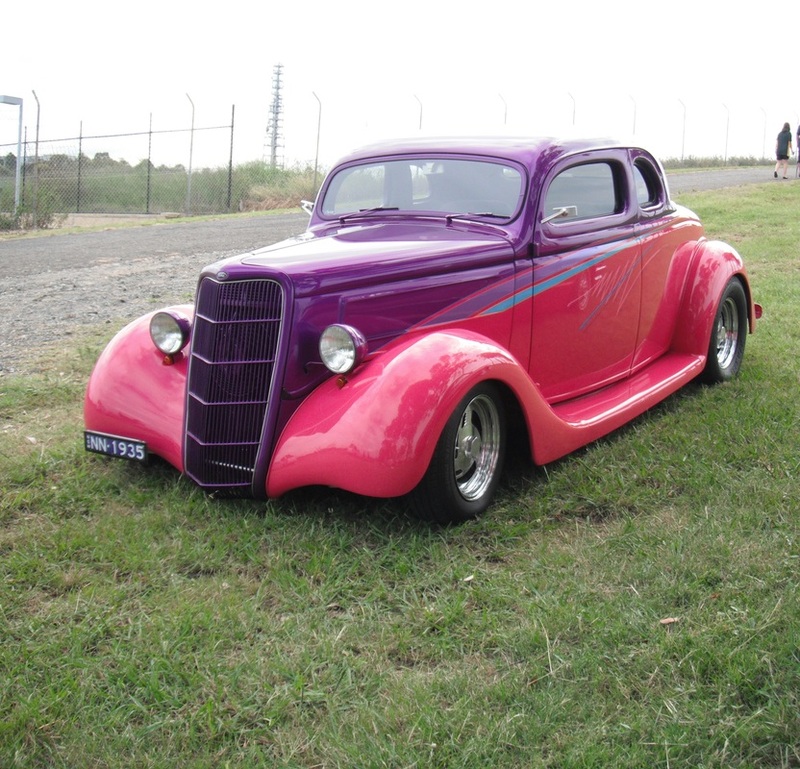 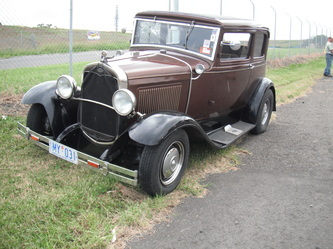 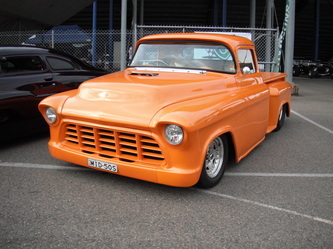 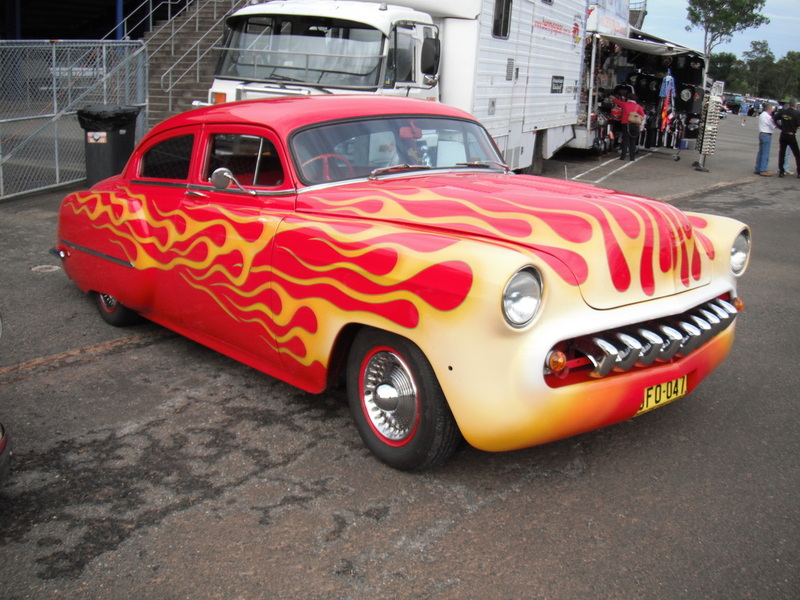 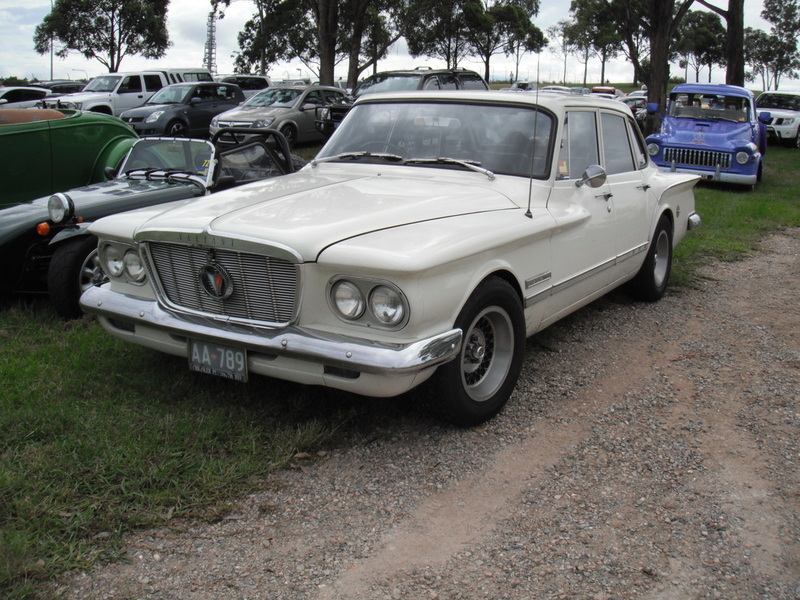 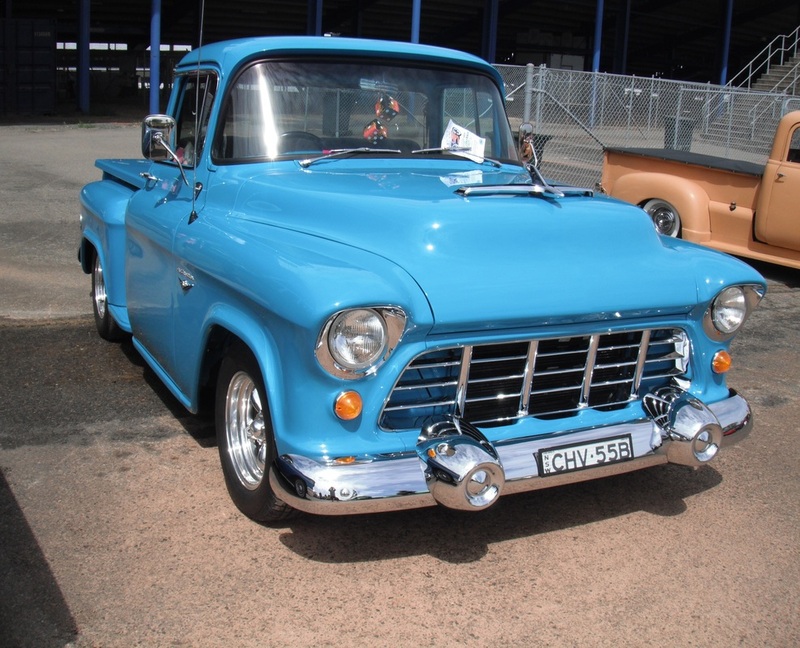 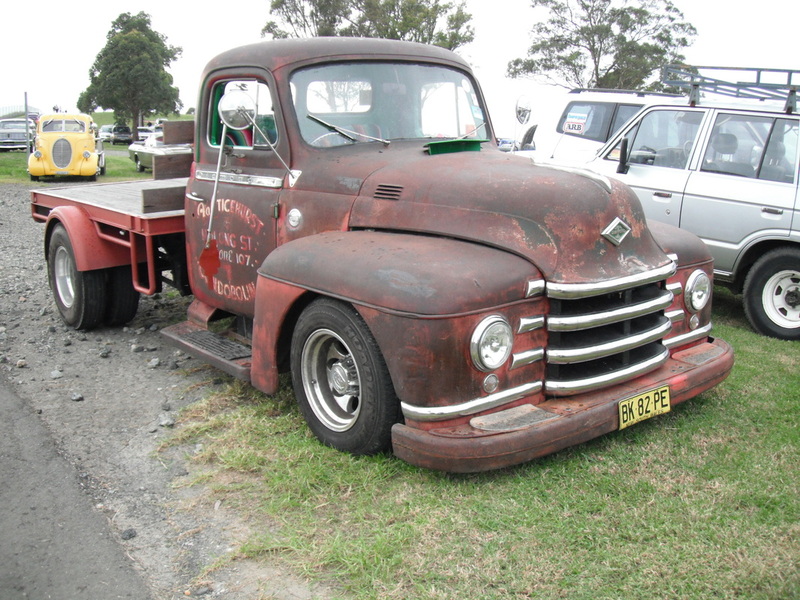 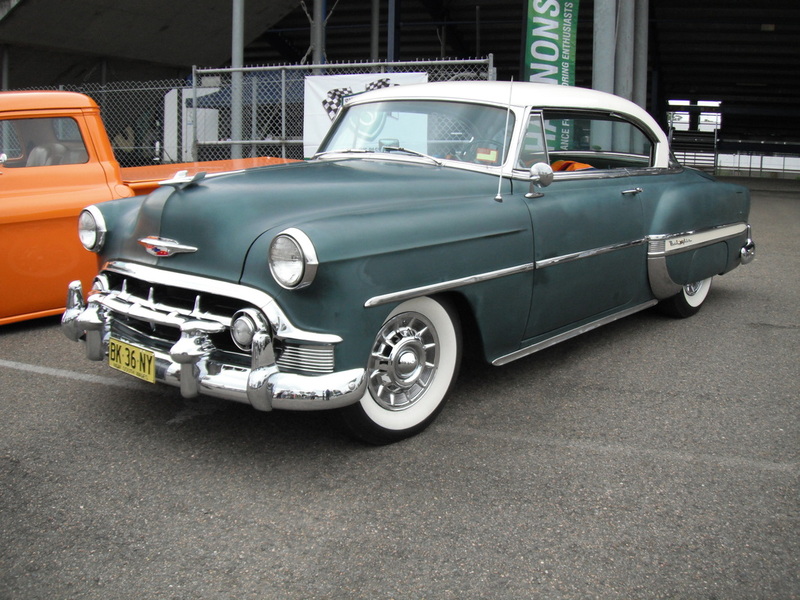 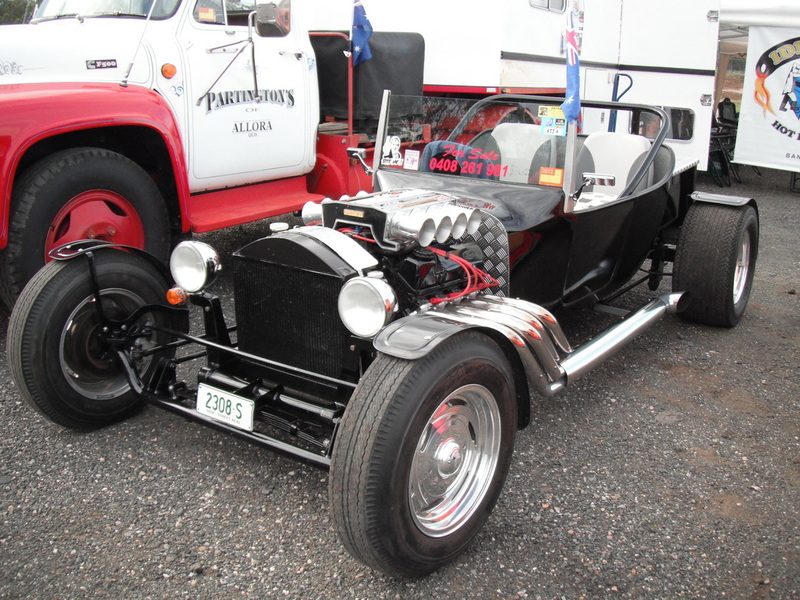 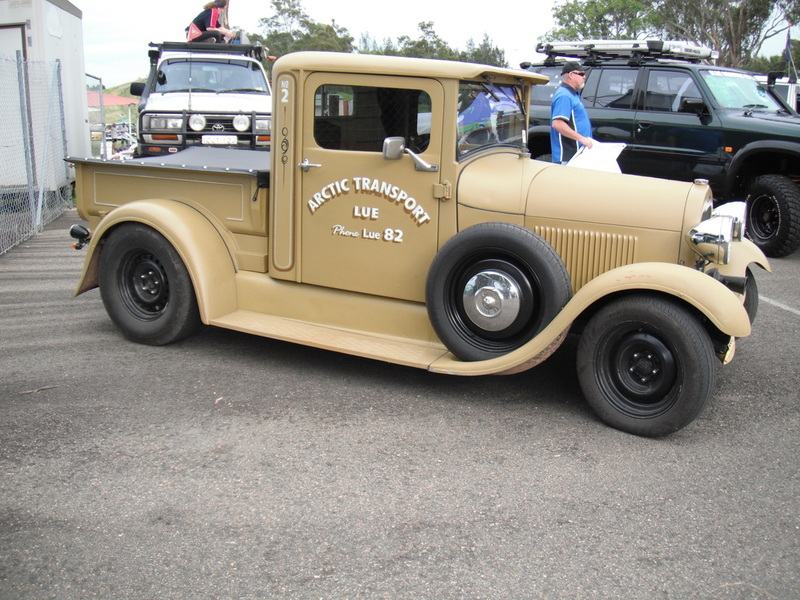 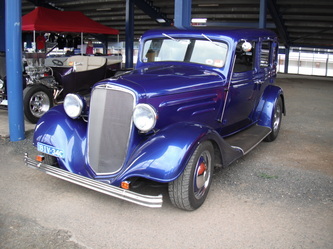 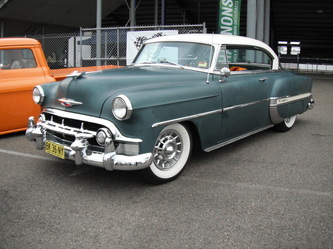 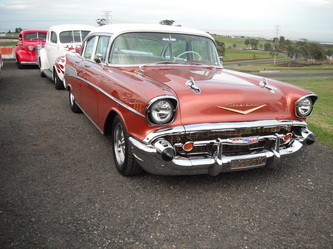 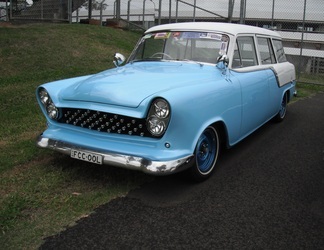 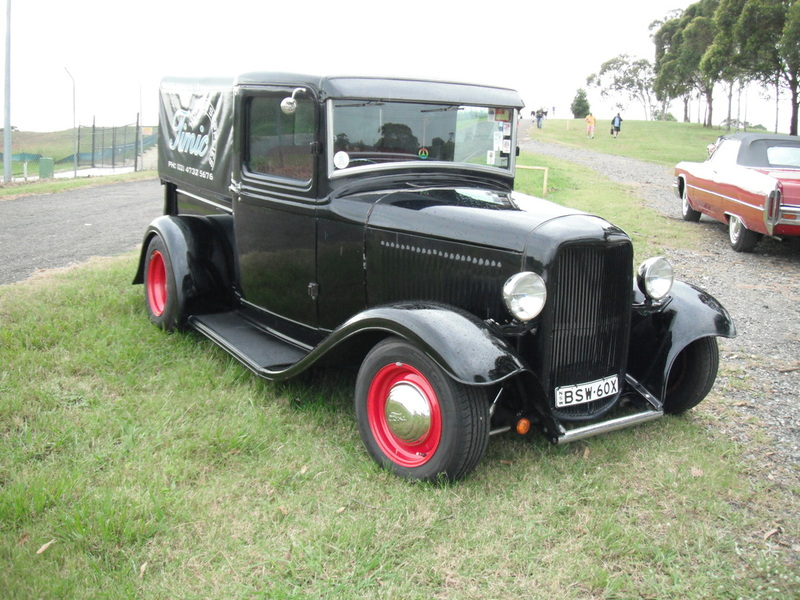 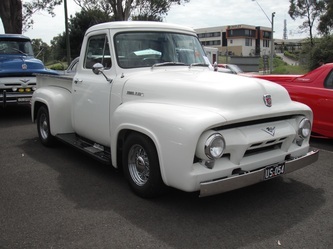 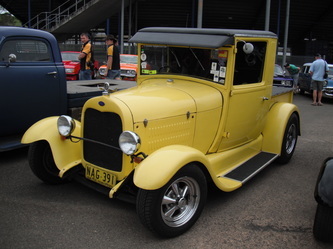 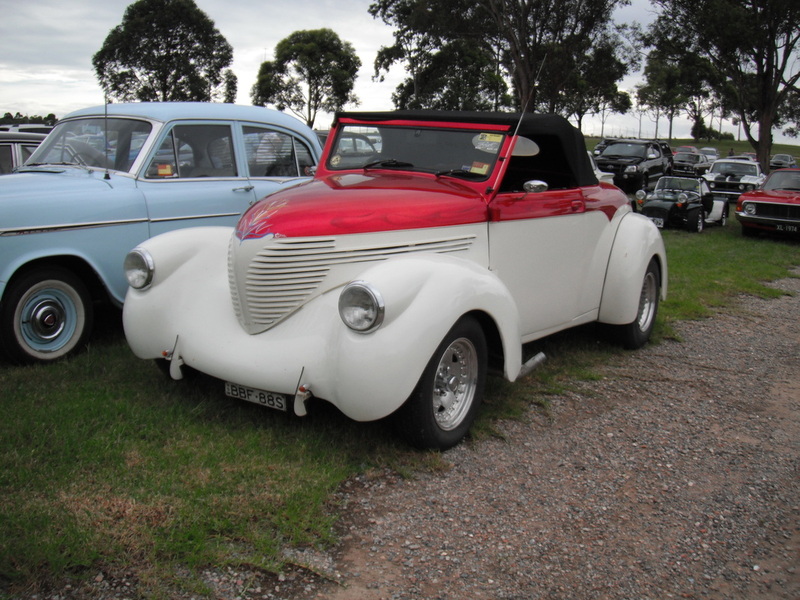 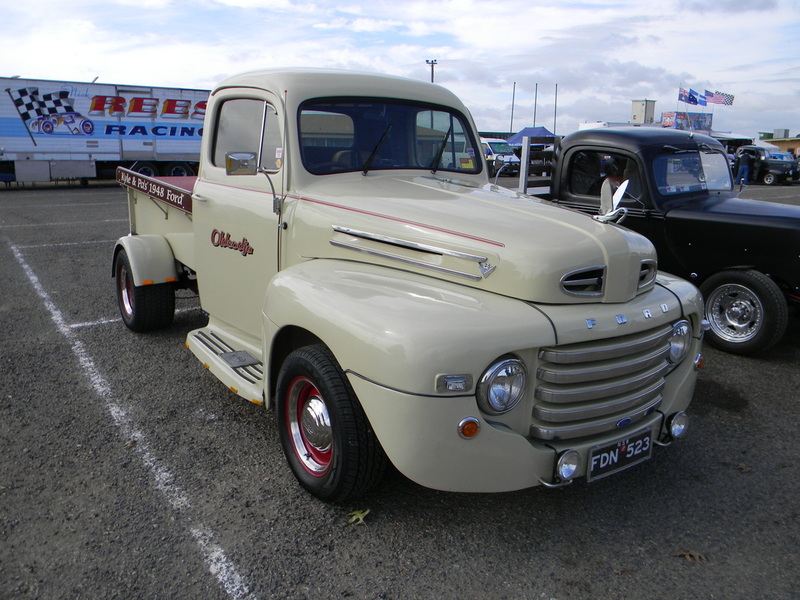 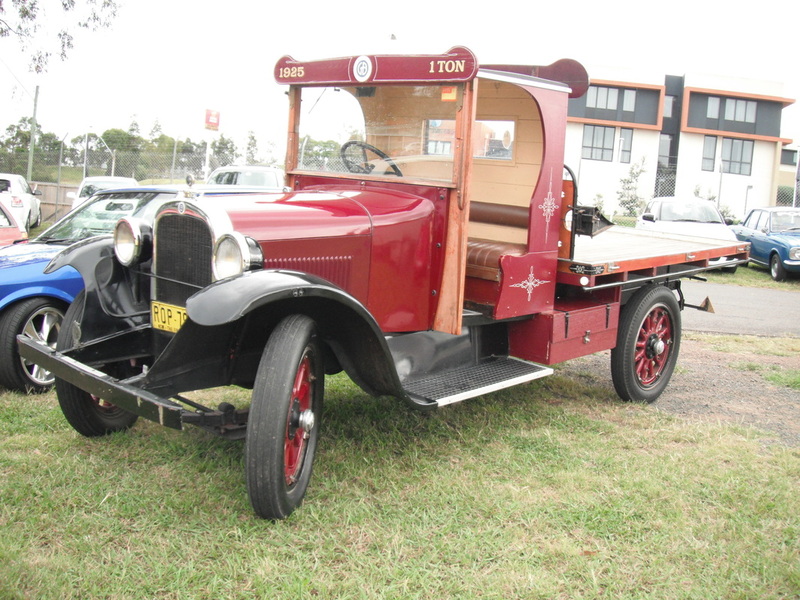 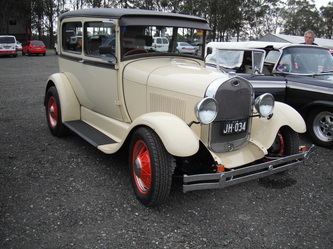 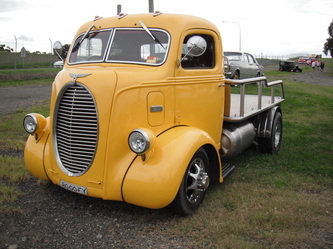 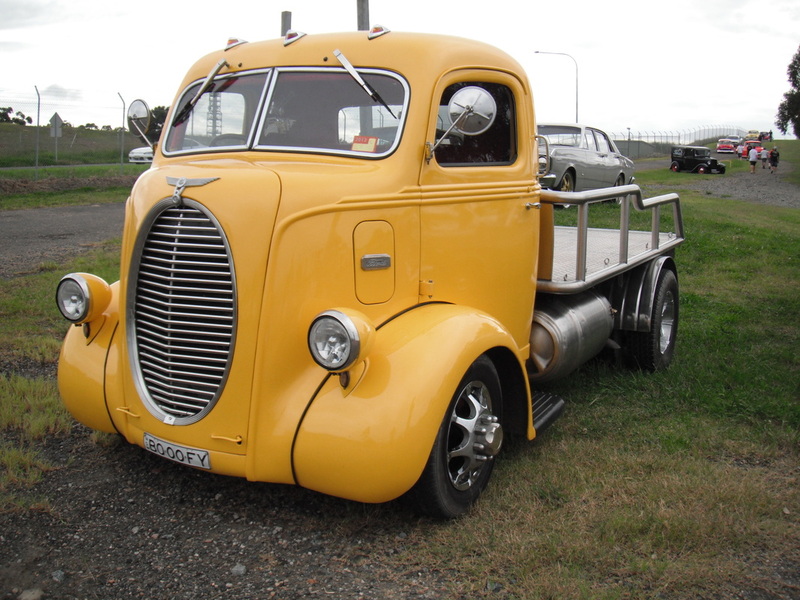 Mick attended the Motor Enthusiast's Conference at Eastern Creek and advised that there were over 400 cars not including the 4 wheel drives and there would have been just as many of them. 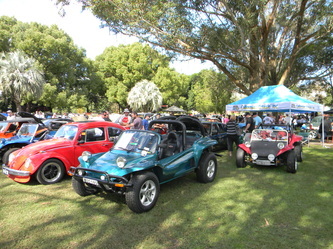 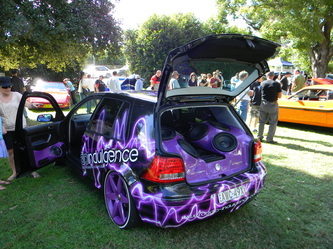 The day was a great success and some very good results for modified vehicles came from the conference. 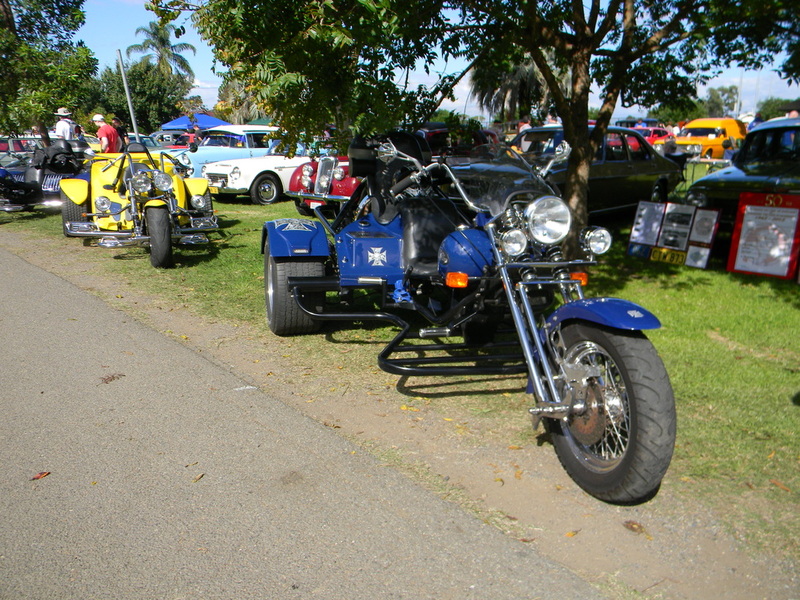 Below are some of the vehicles that attended.